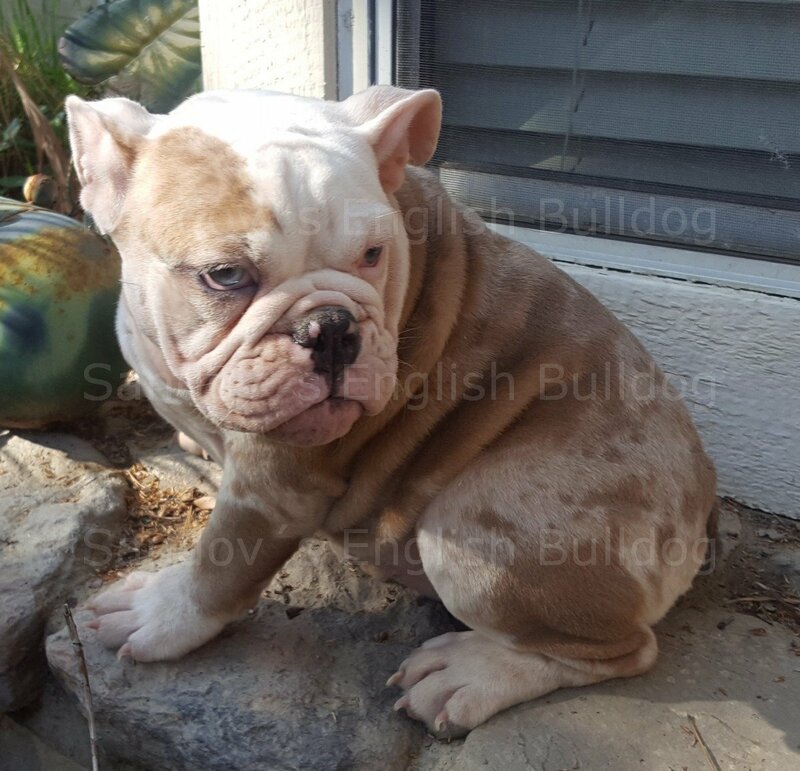 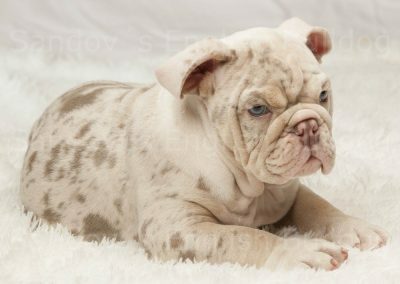 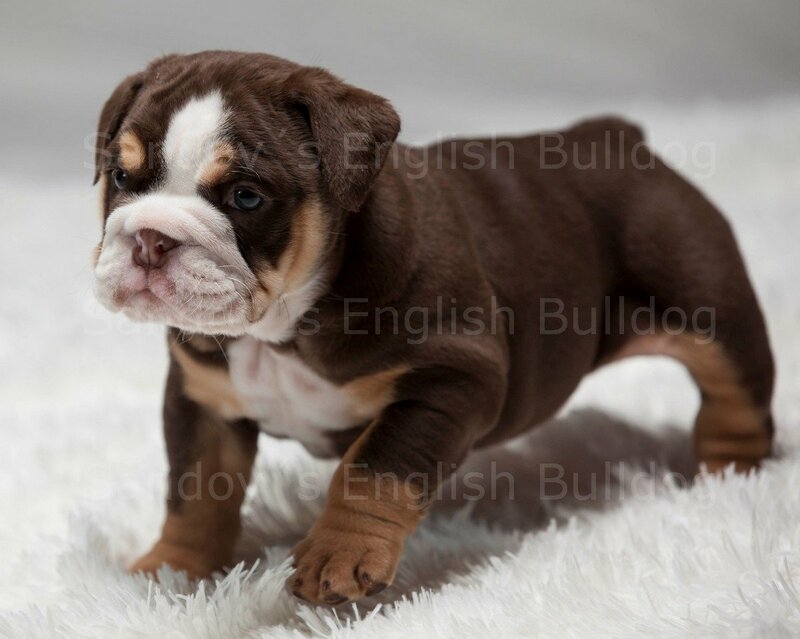 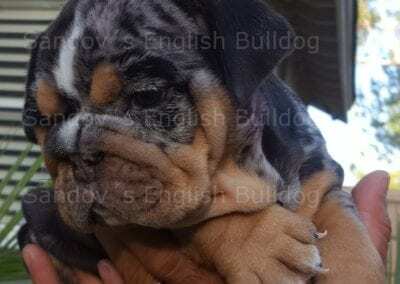 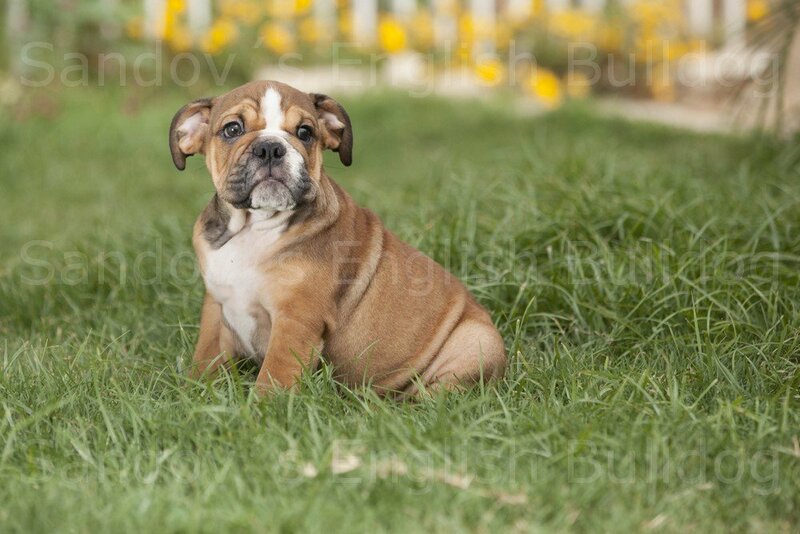 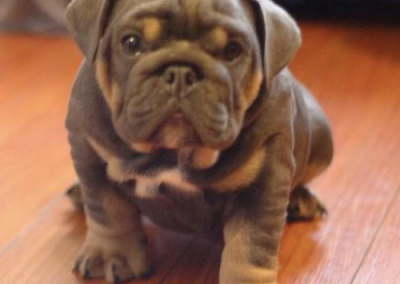 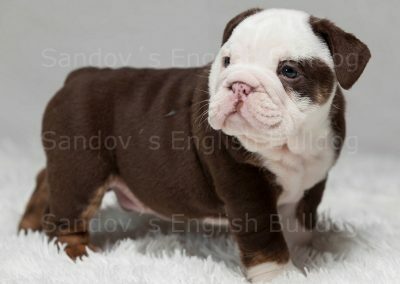 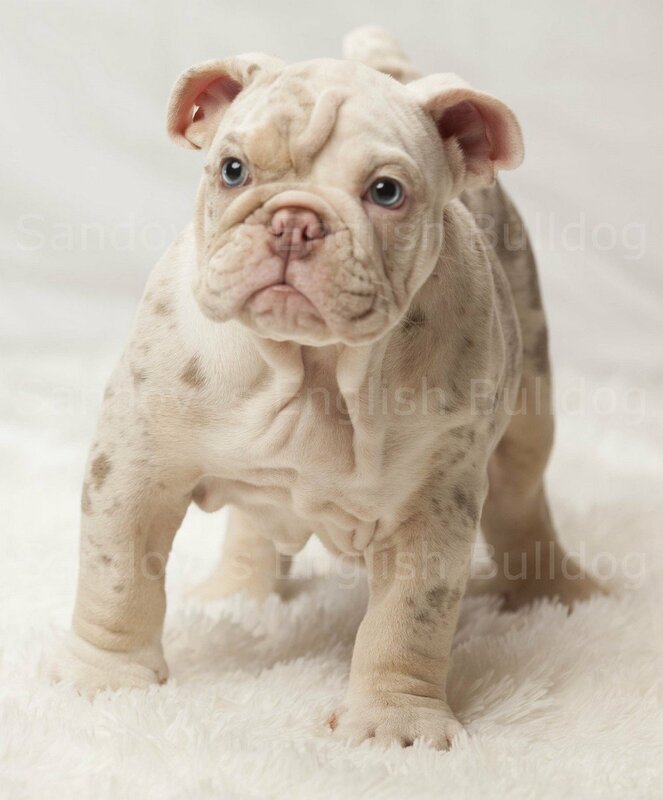 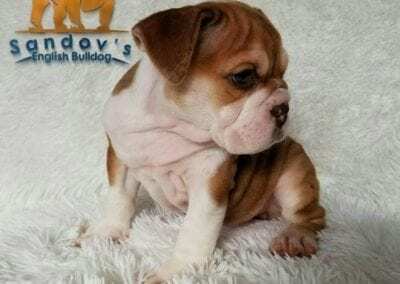 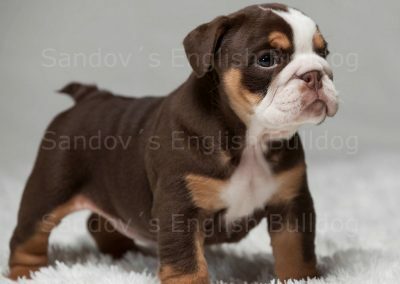 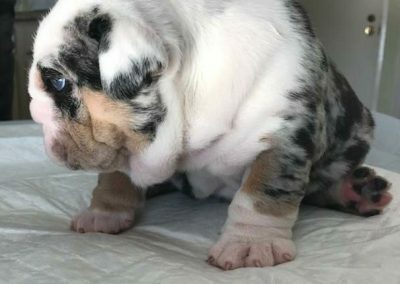 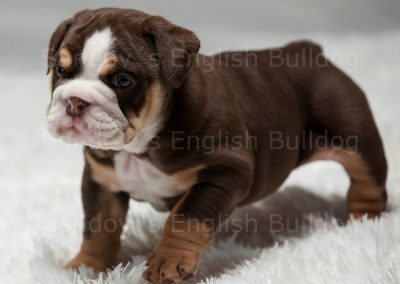 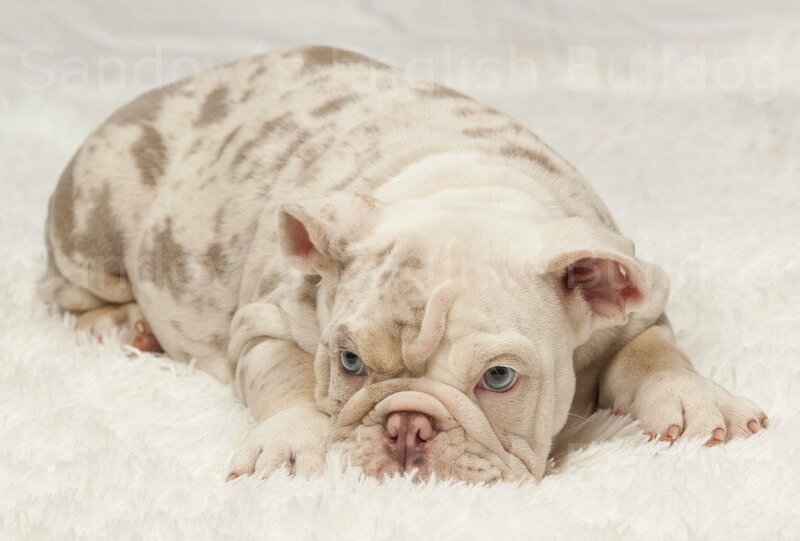 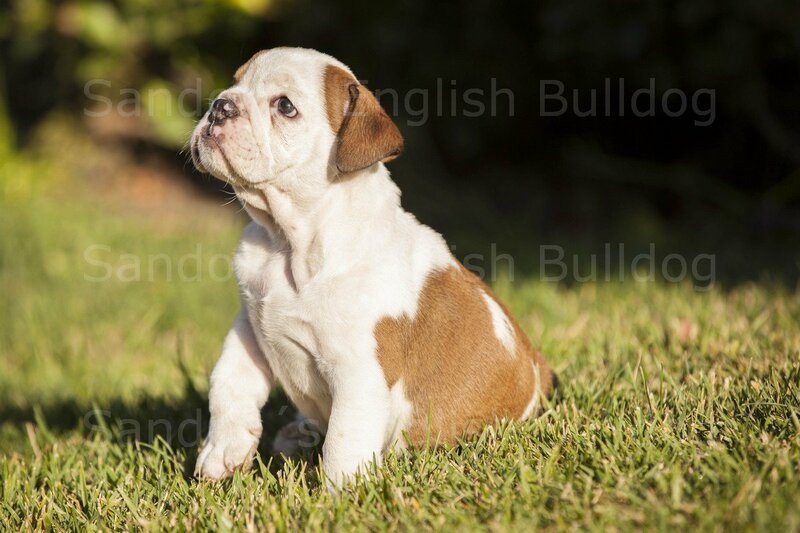 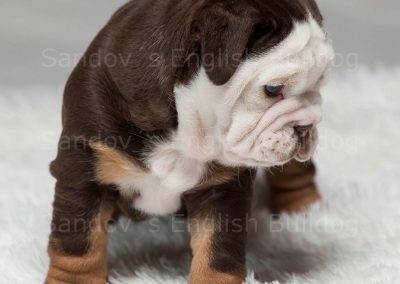 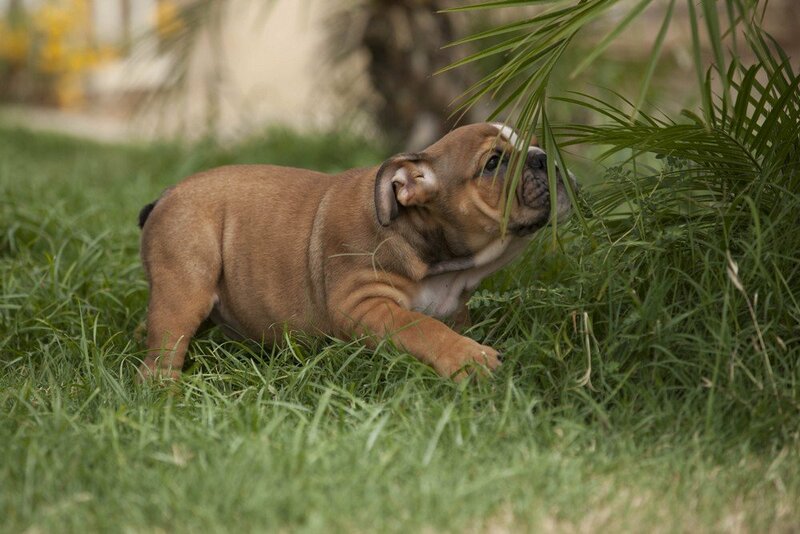 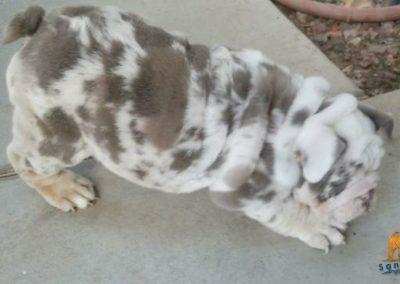 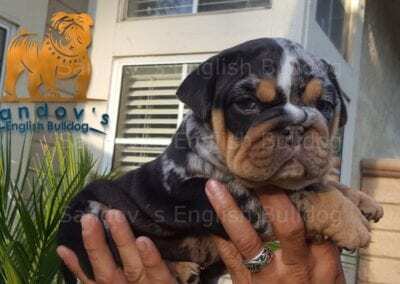 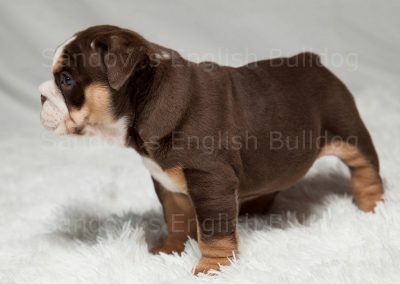 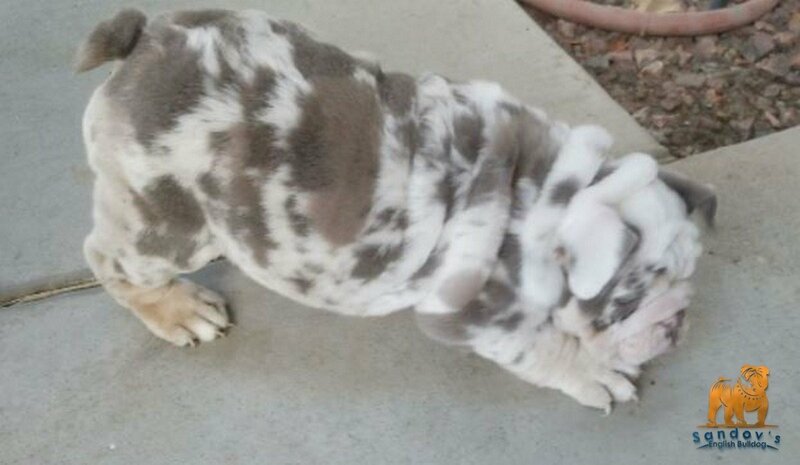 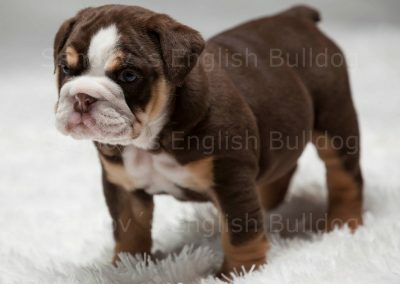 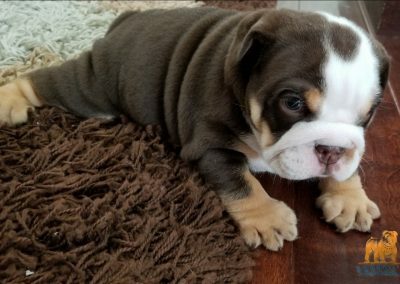 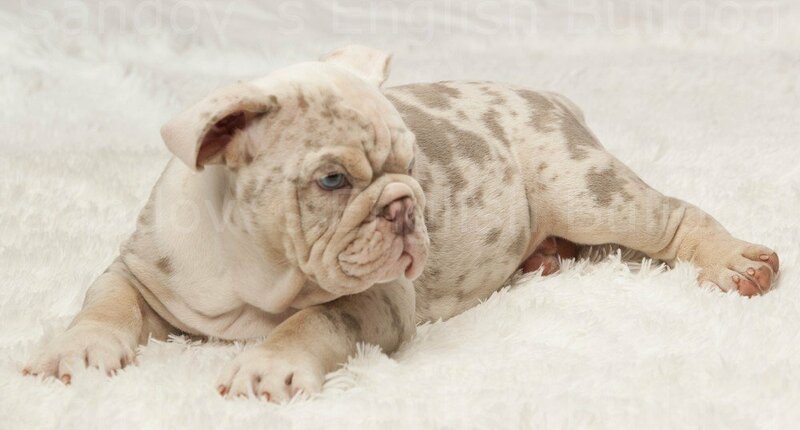 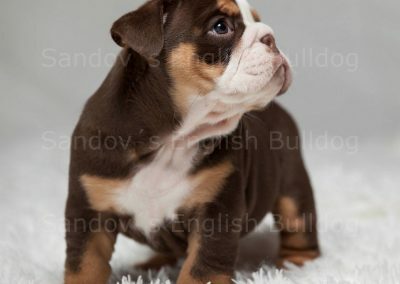 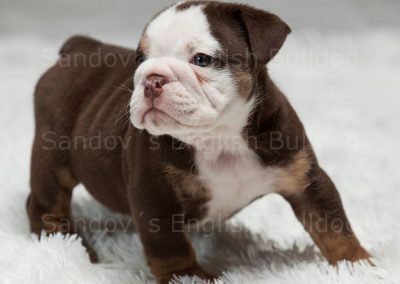 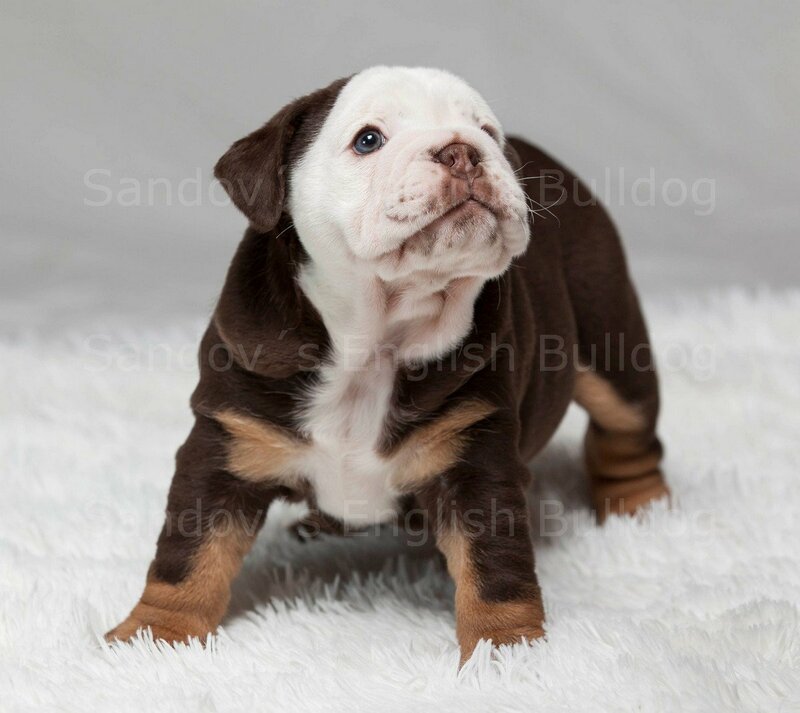 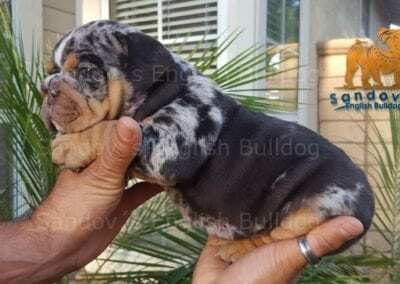 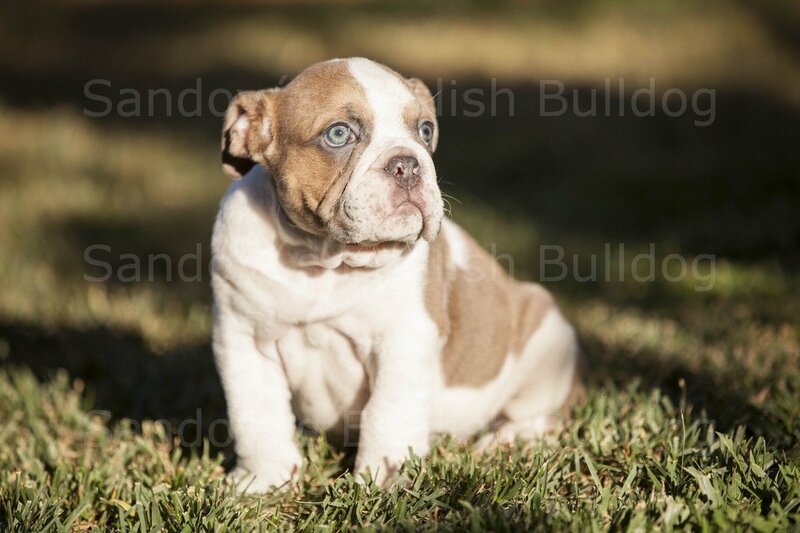 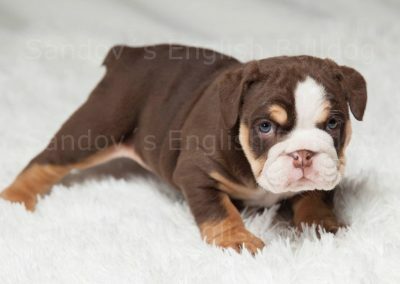 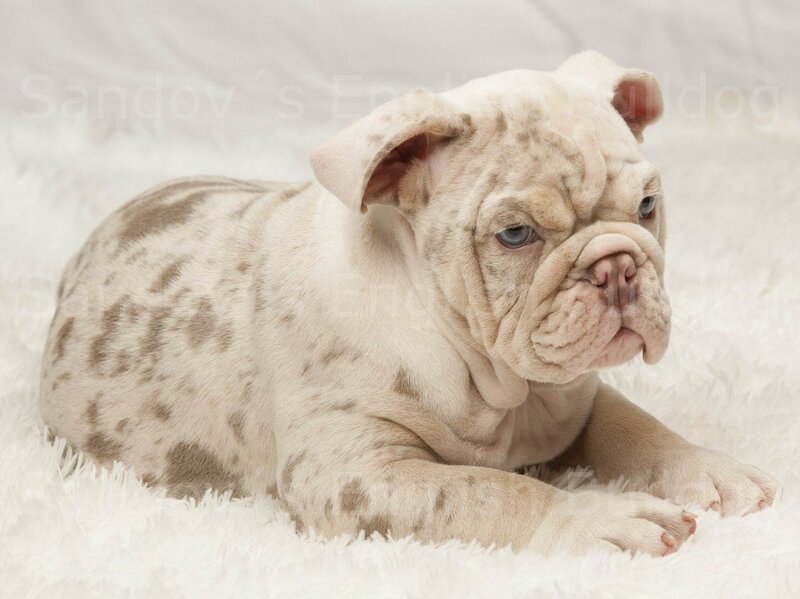 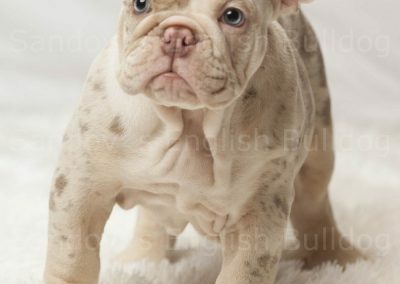 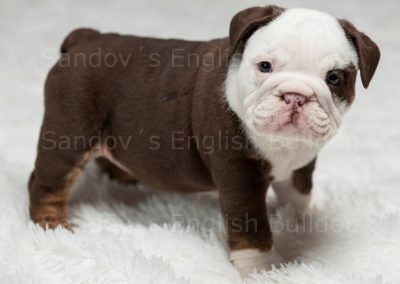 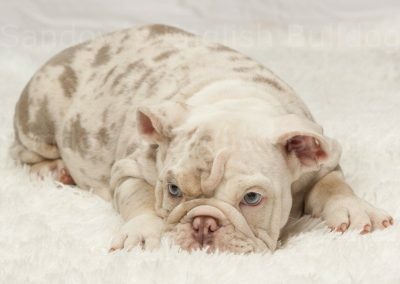 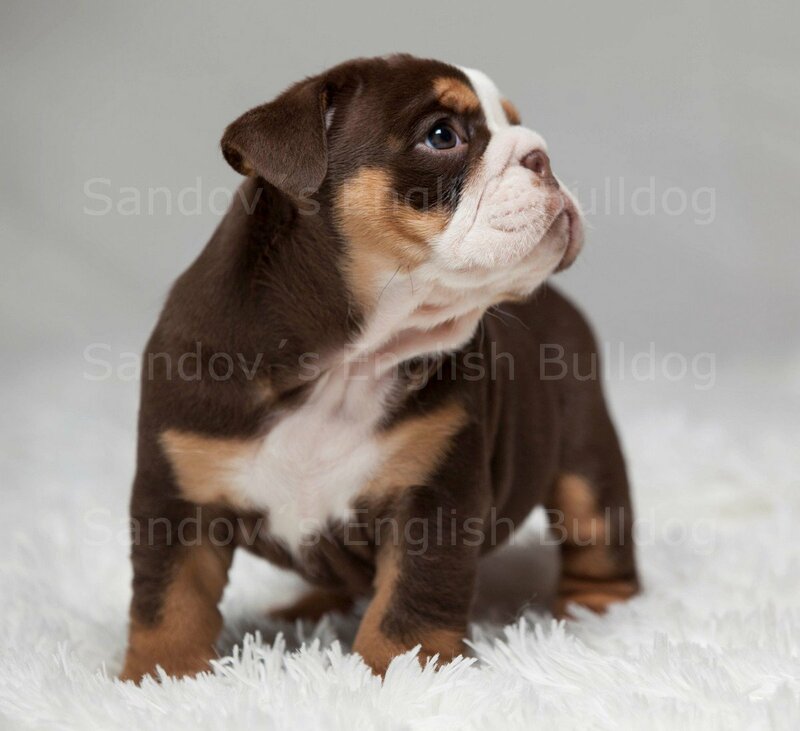 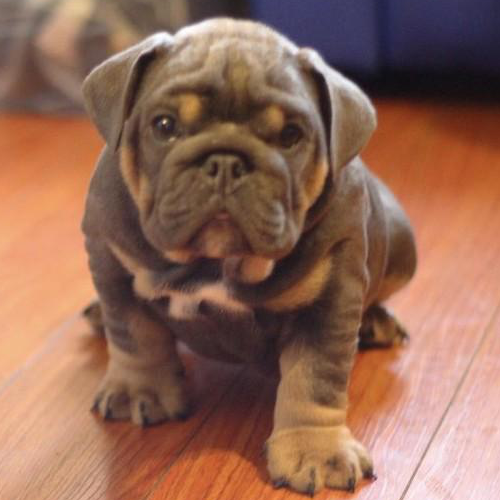 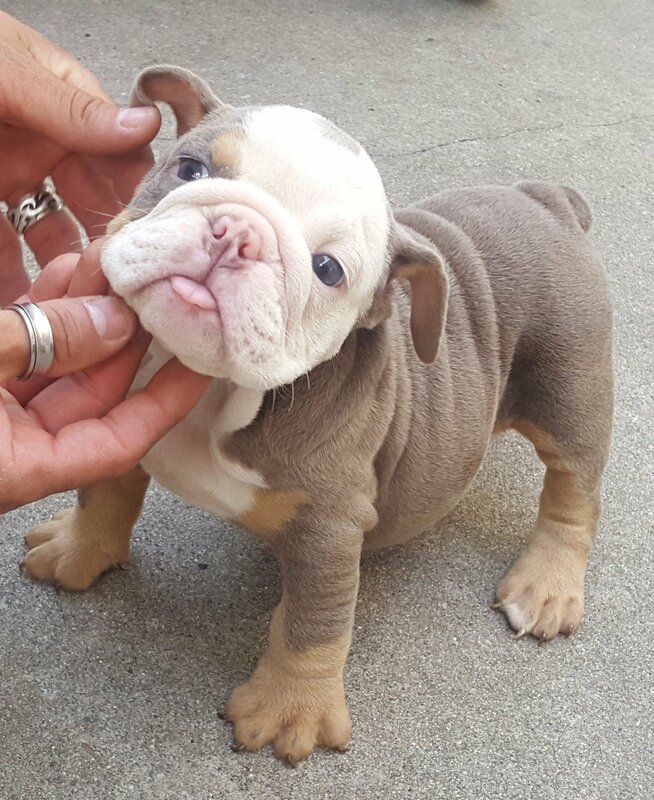 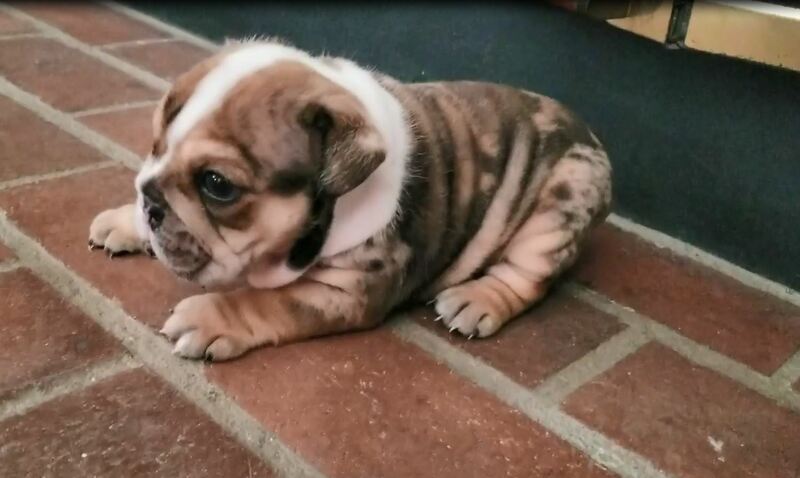 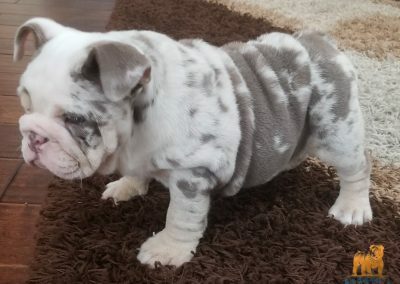 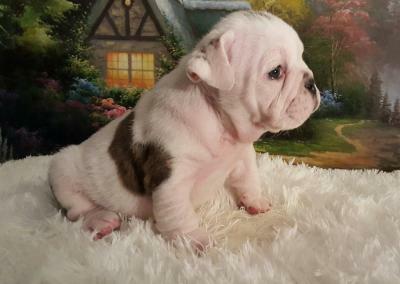 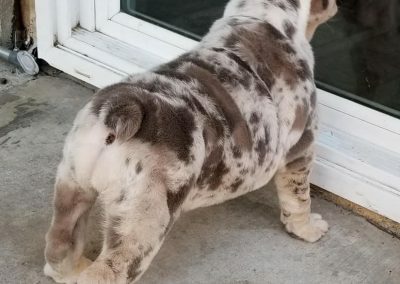 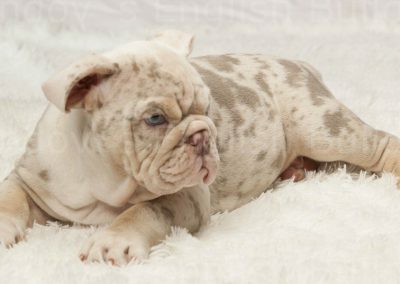 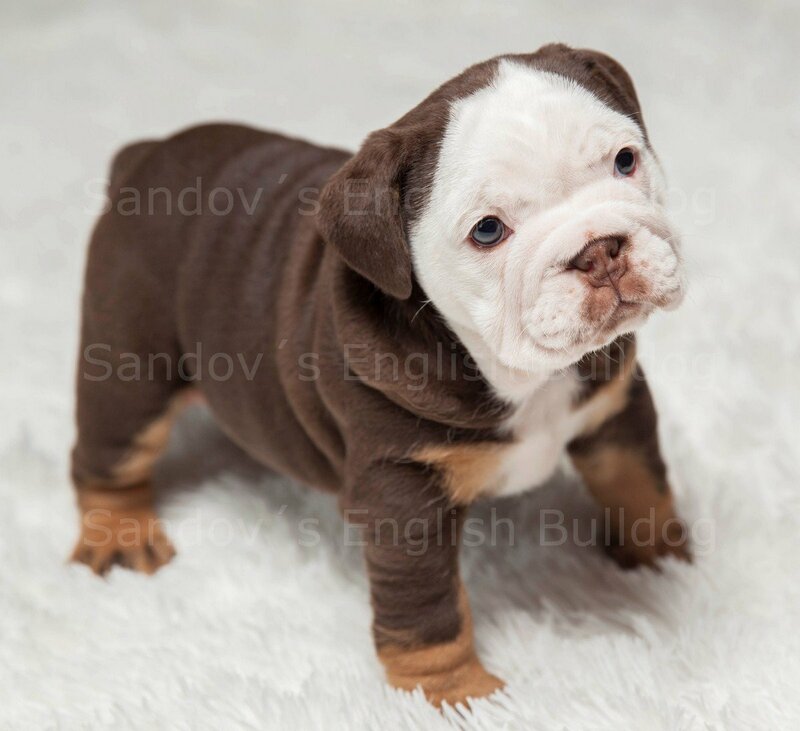 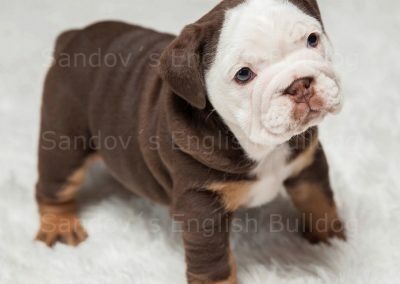 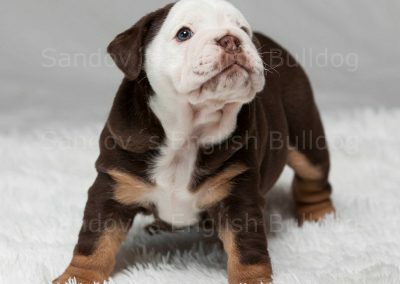 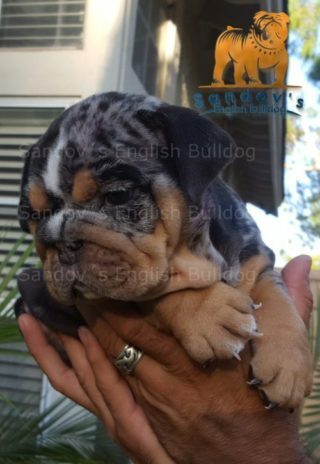 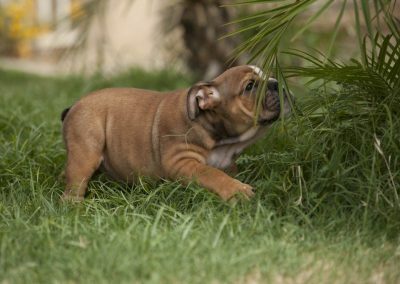 Exotics English Bulldogs are short faced puppies with beautiful wrinkly bodies. 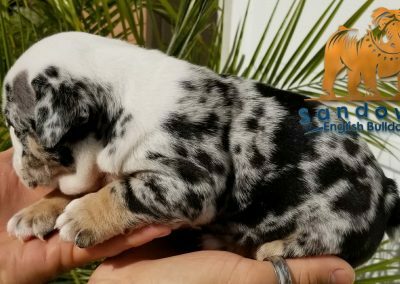 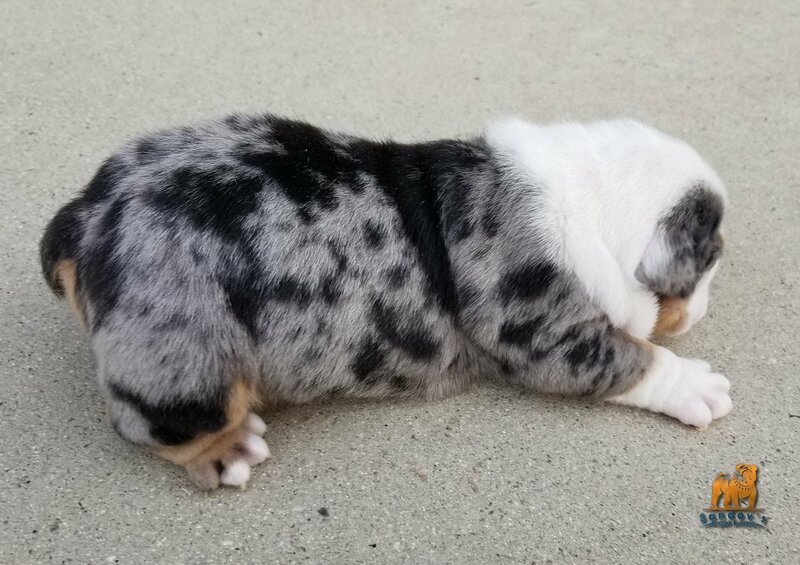 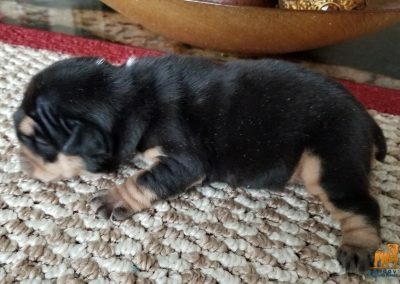 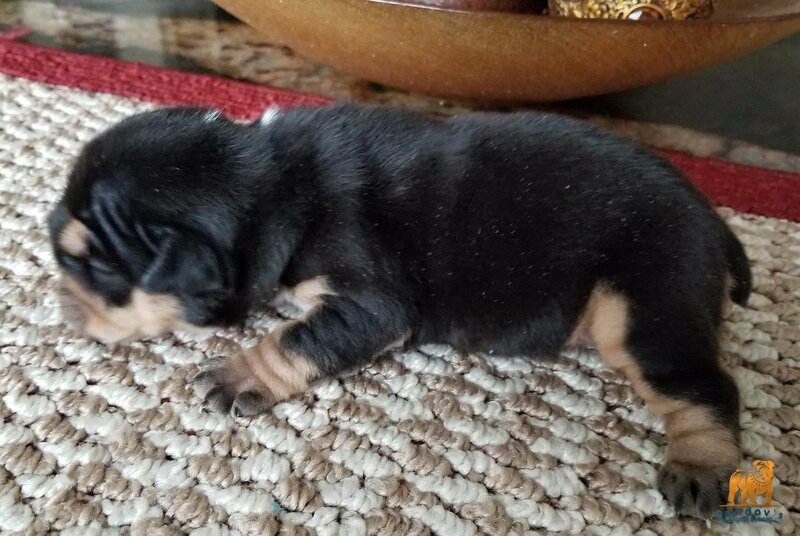 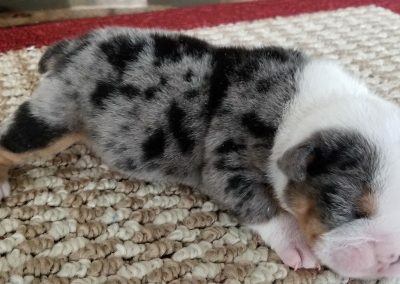 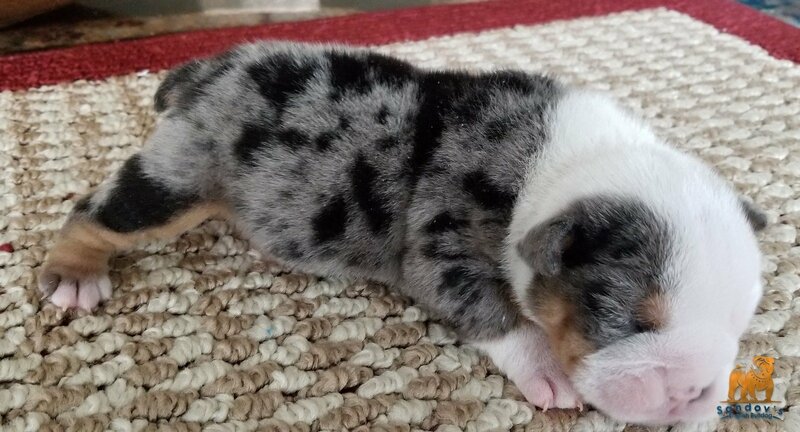 These puppies are amazing because they come in extremely rare color combinations. 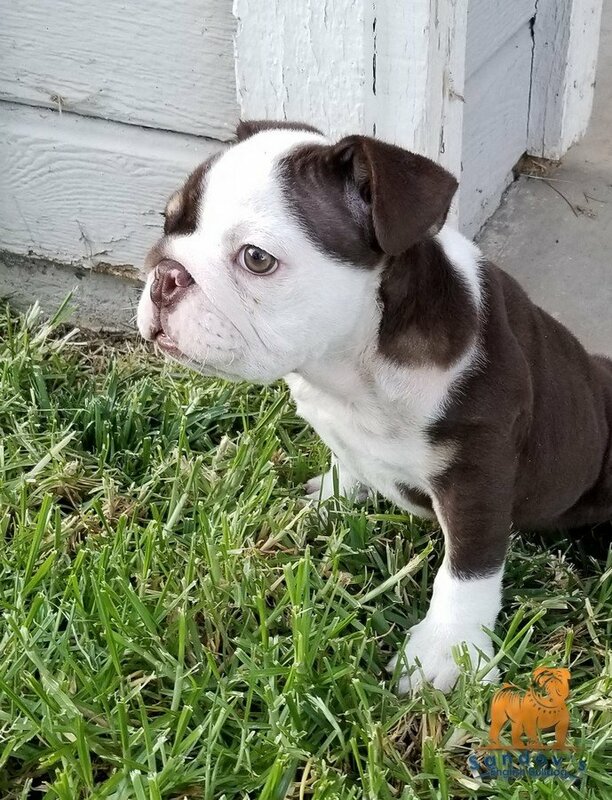 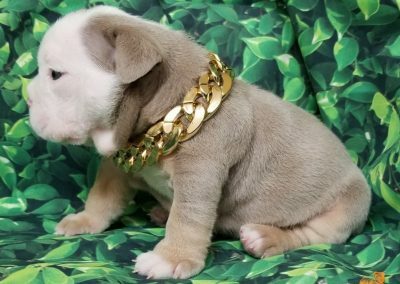 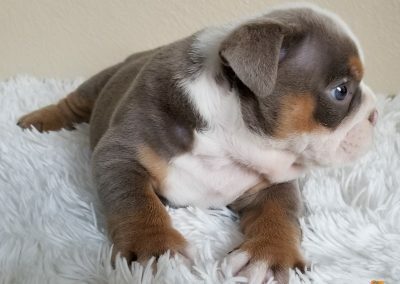 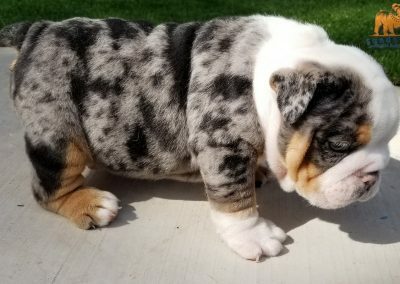 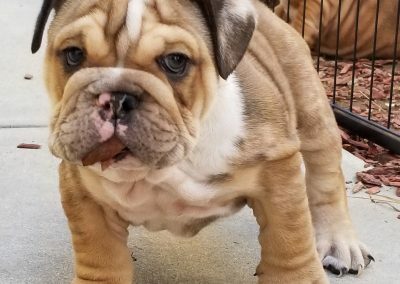 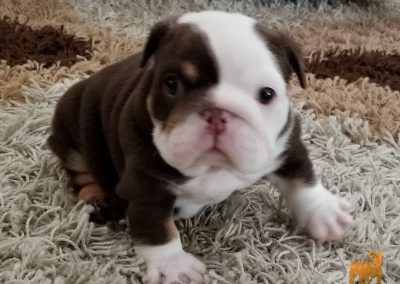 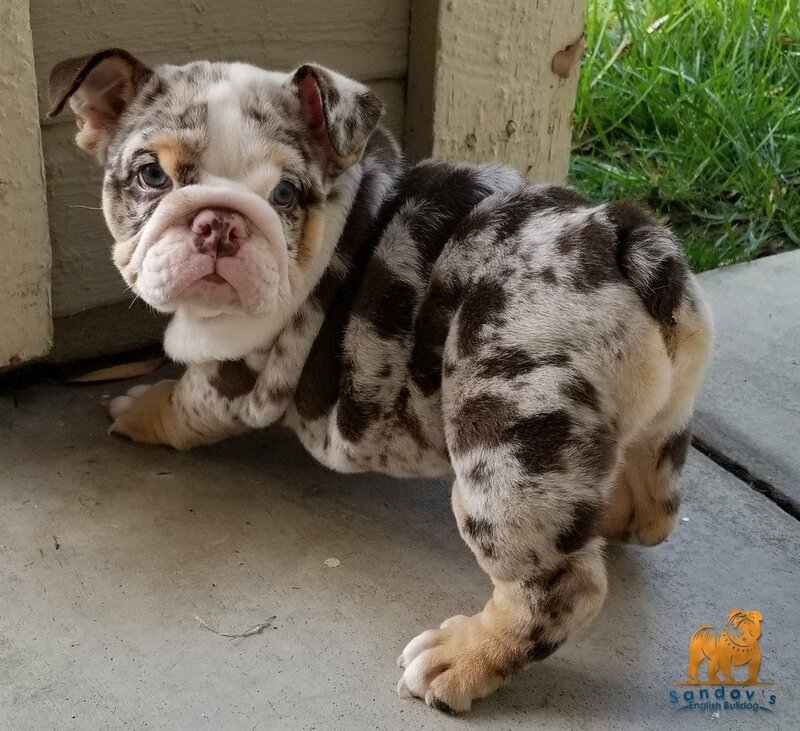 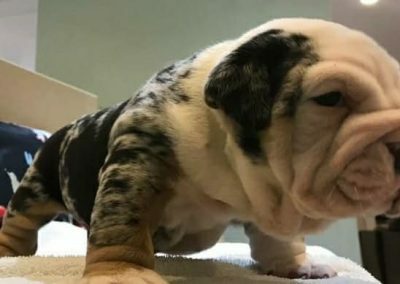 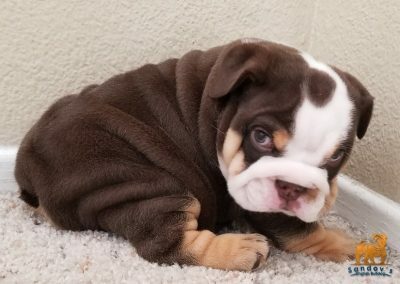 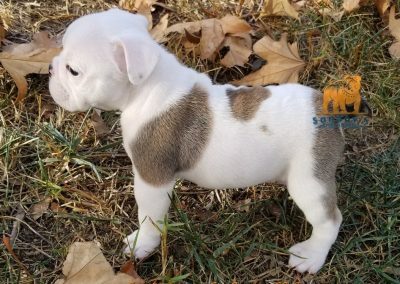 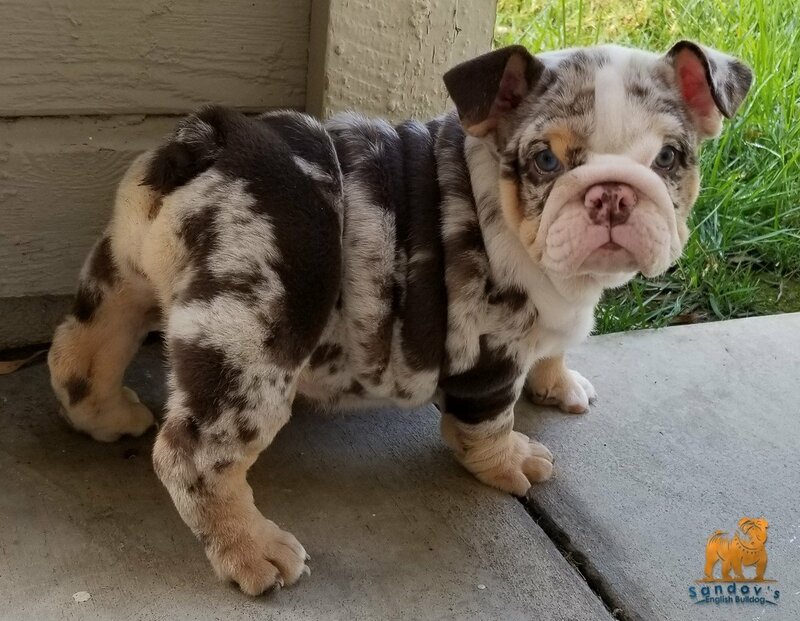 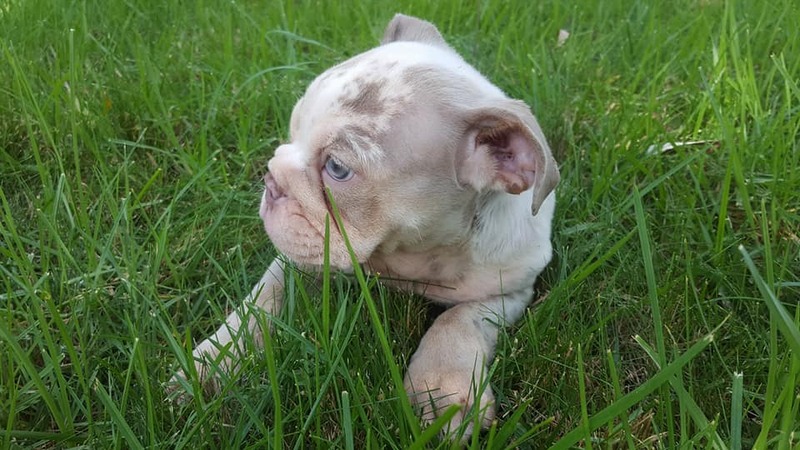 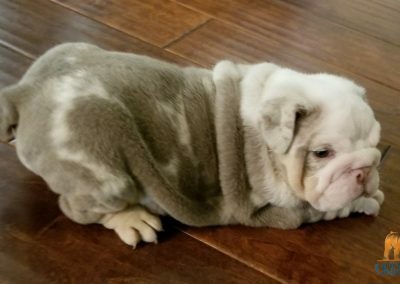 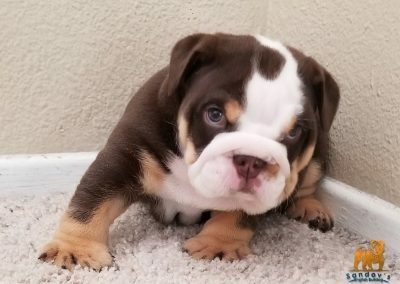 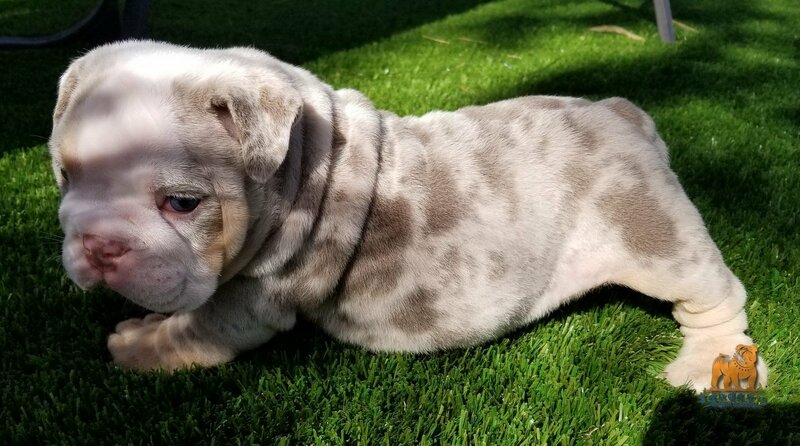 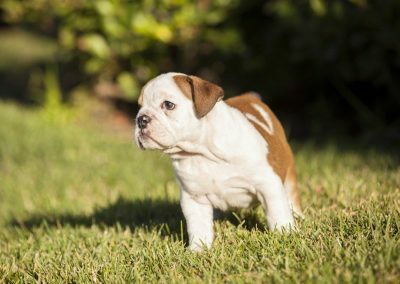 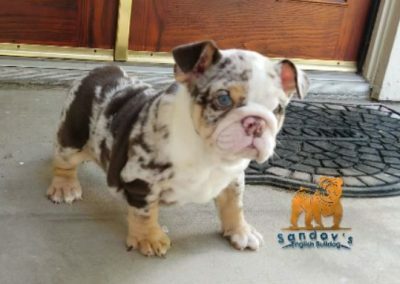 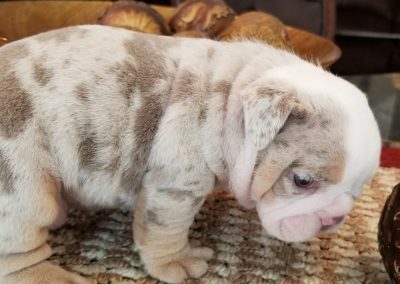 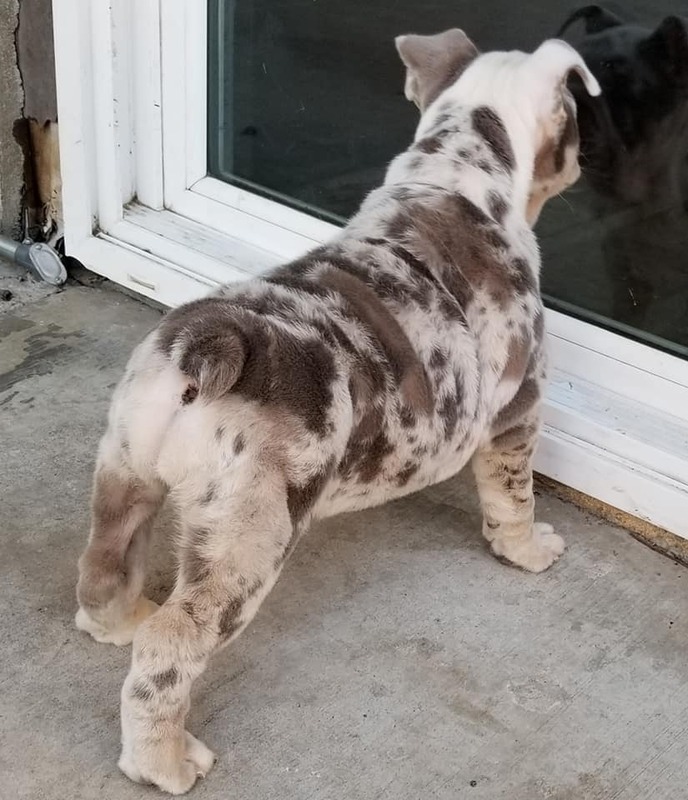 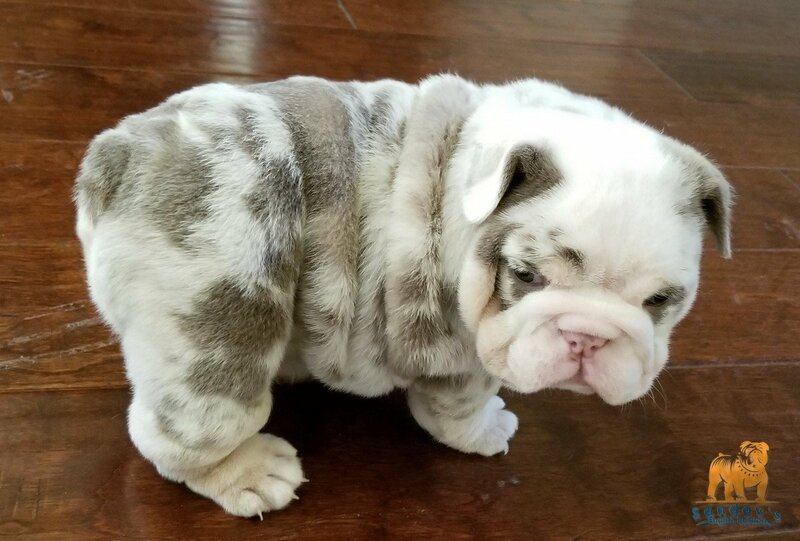 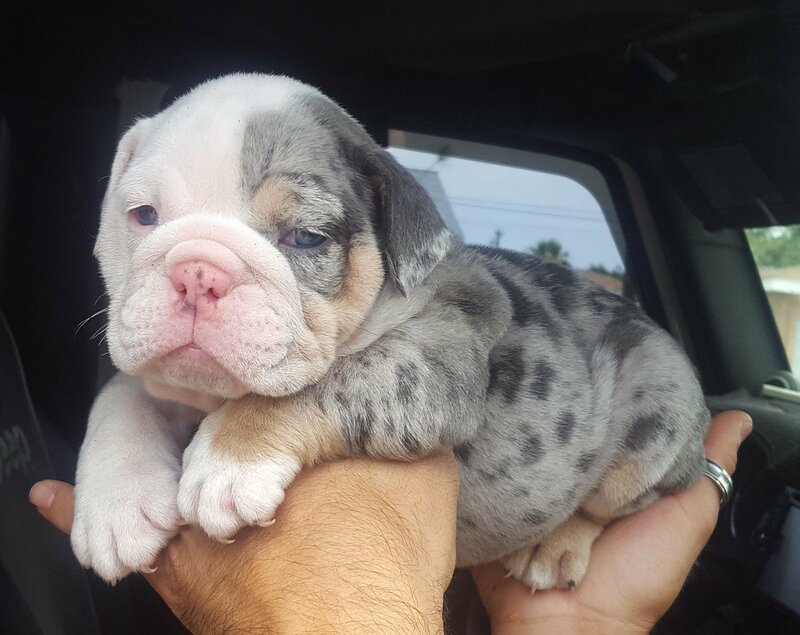 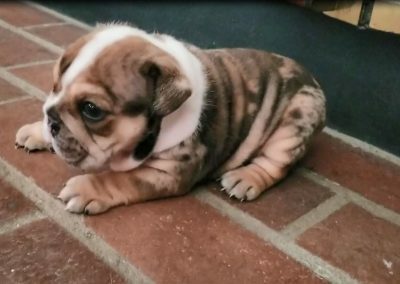 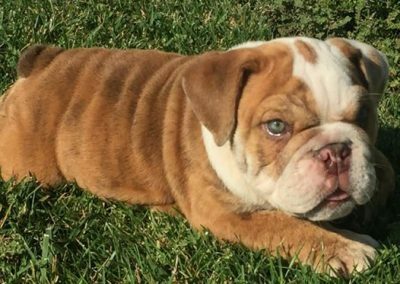 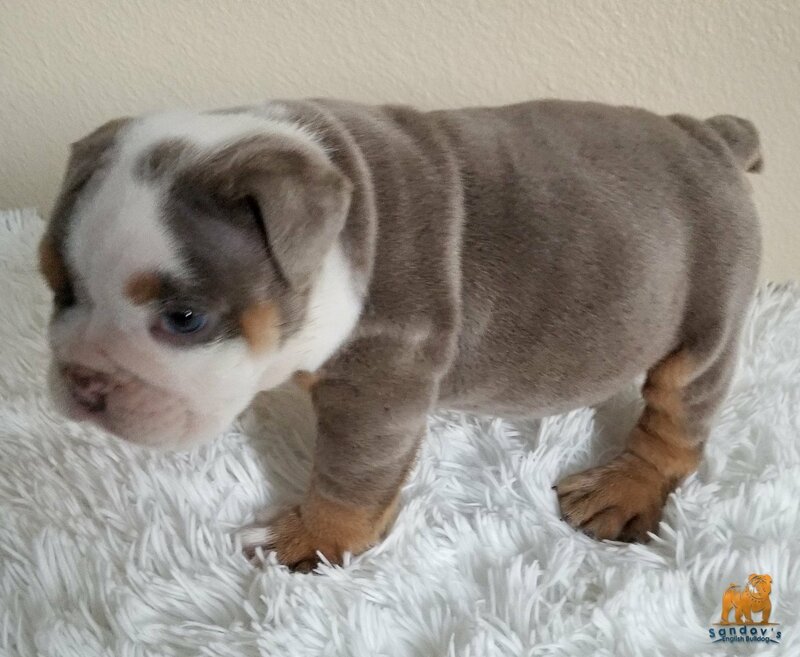 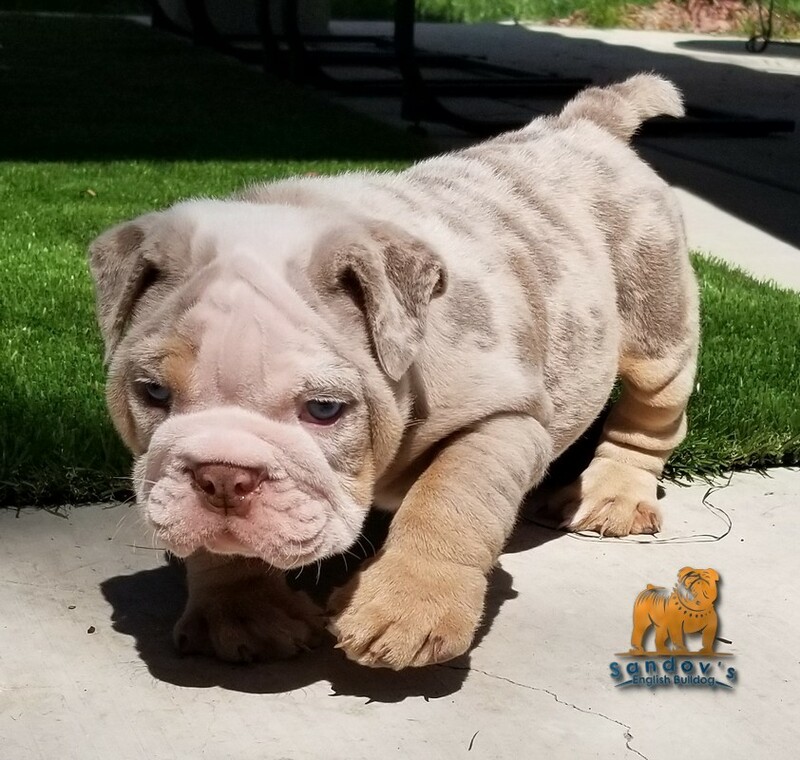 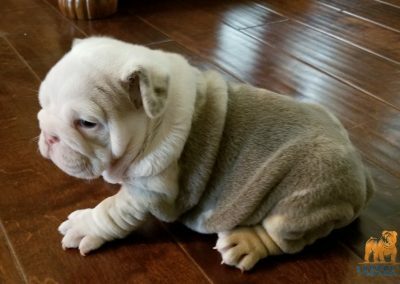 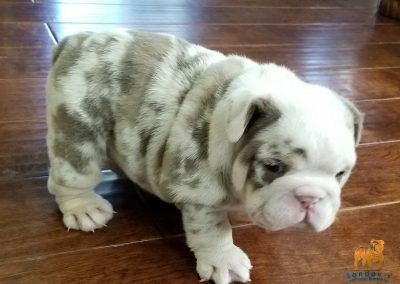 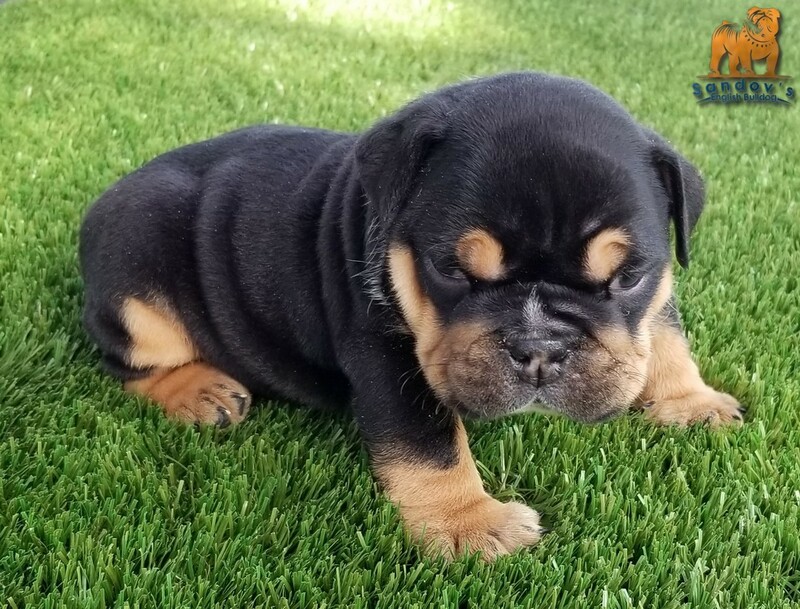 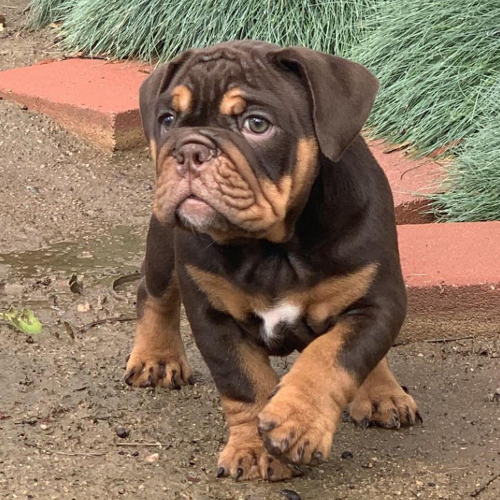 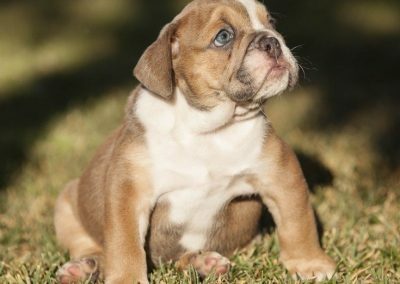 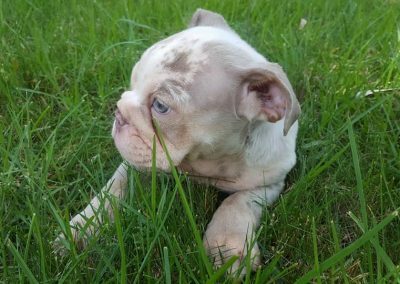 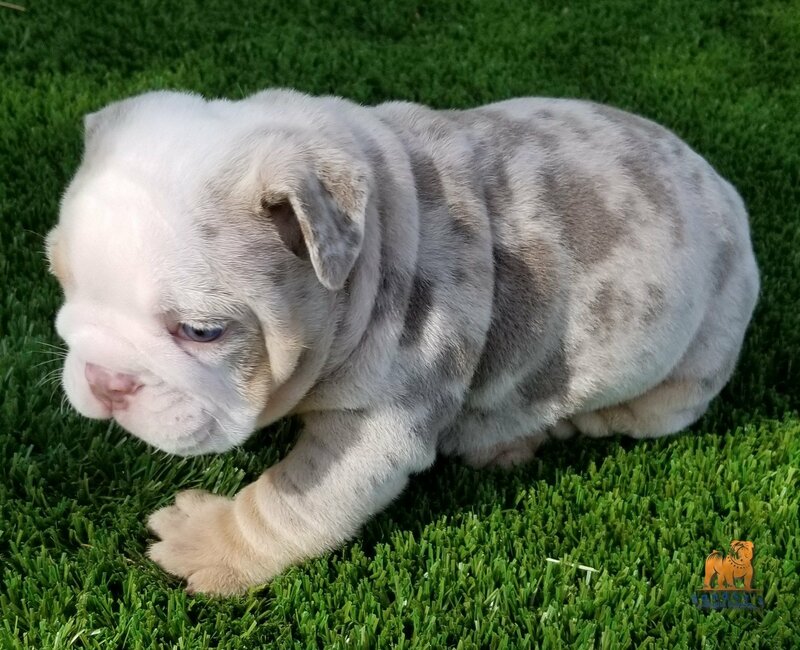 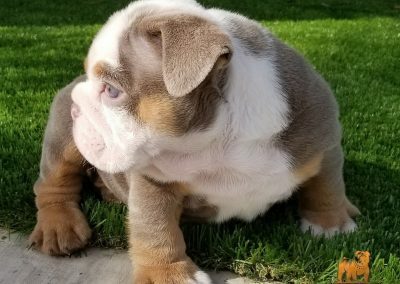 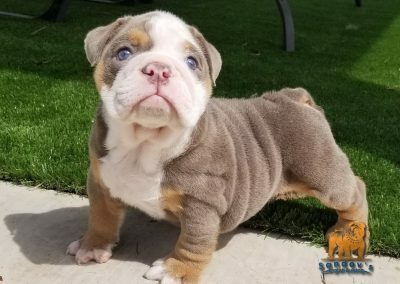 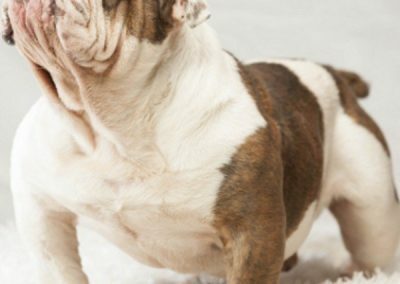 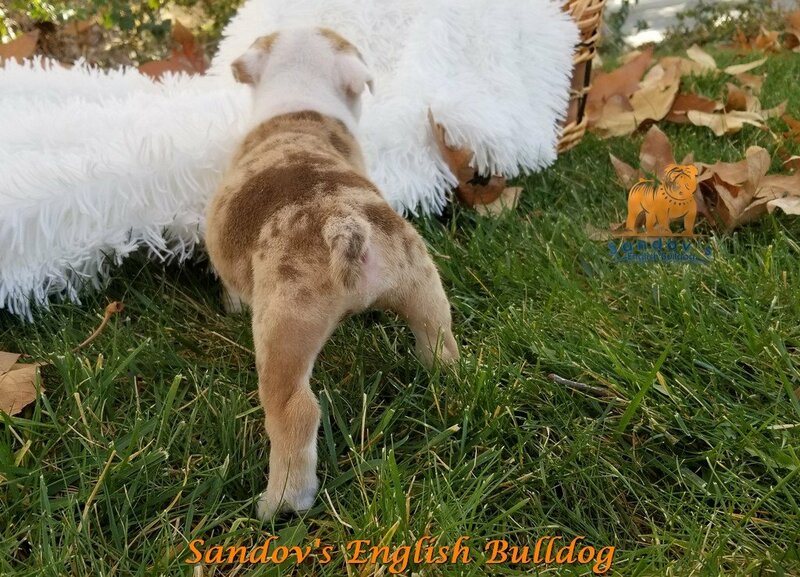 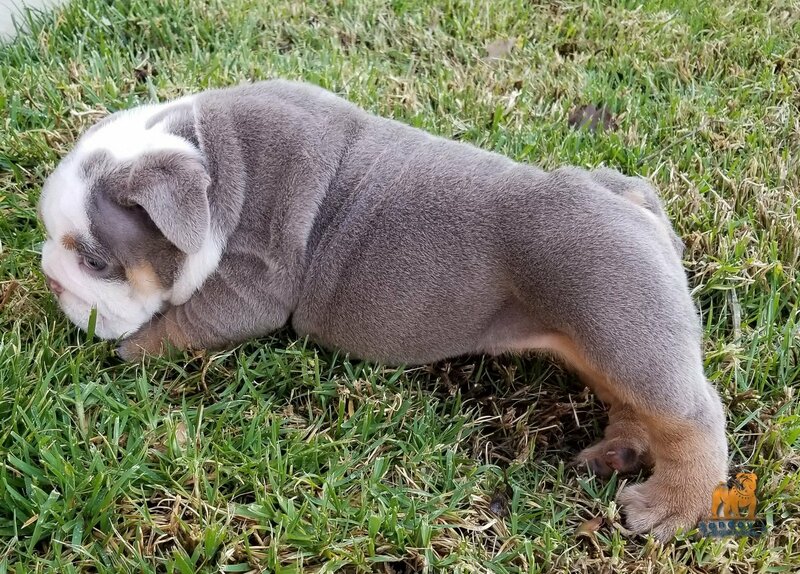 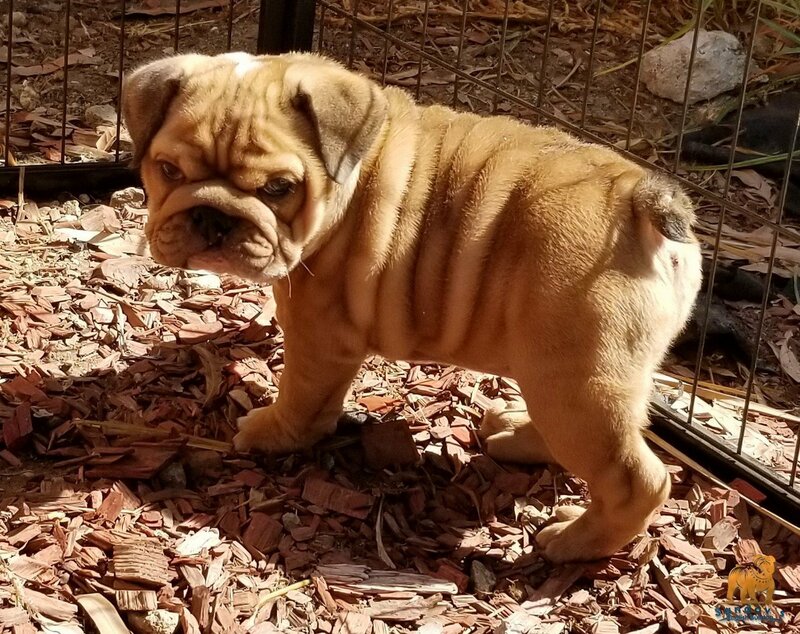 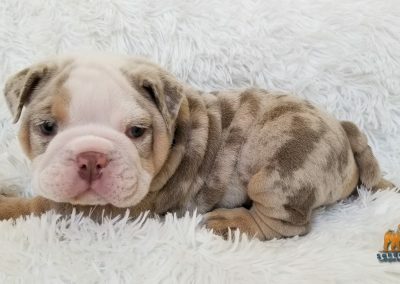 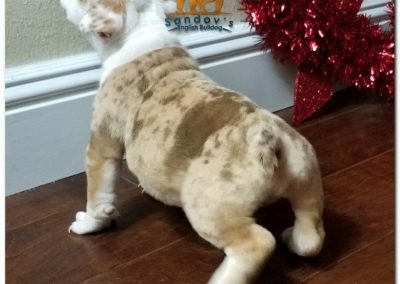 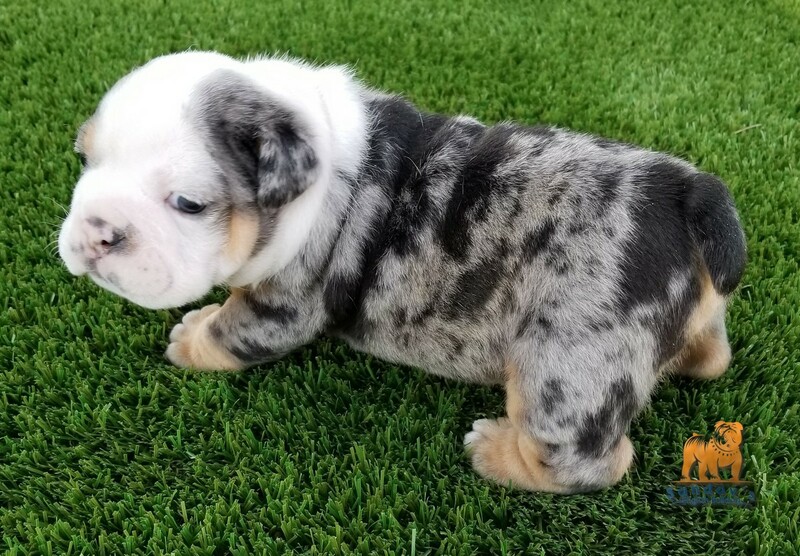 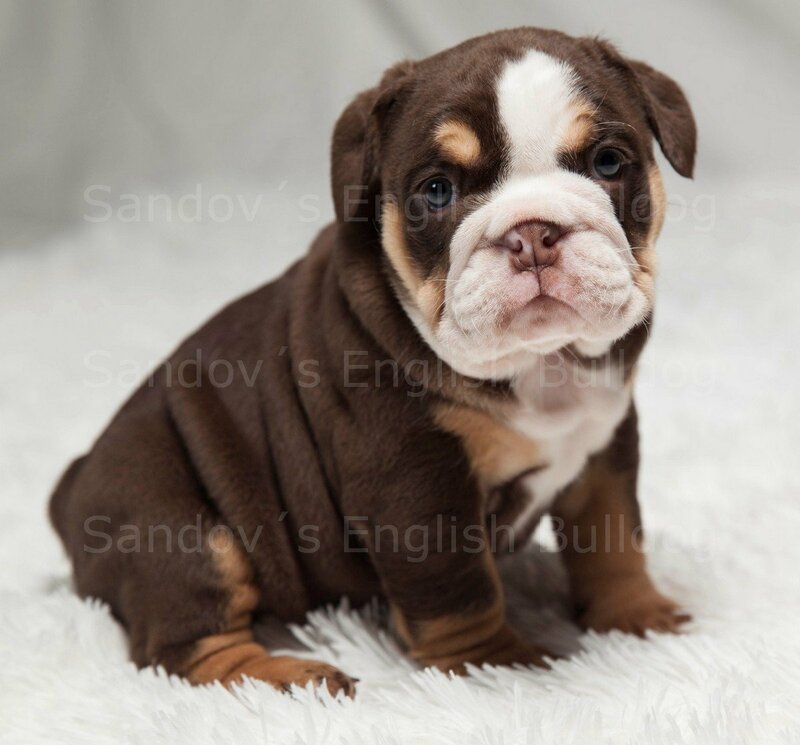 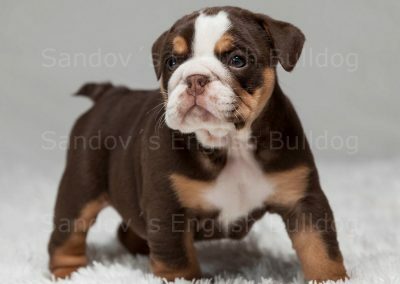 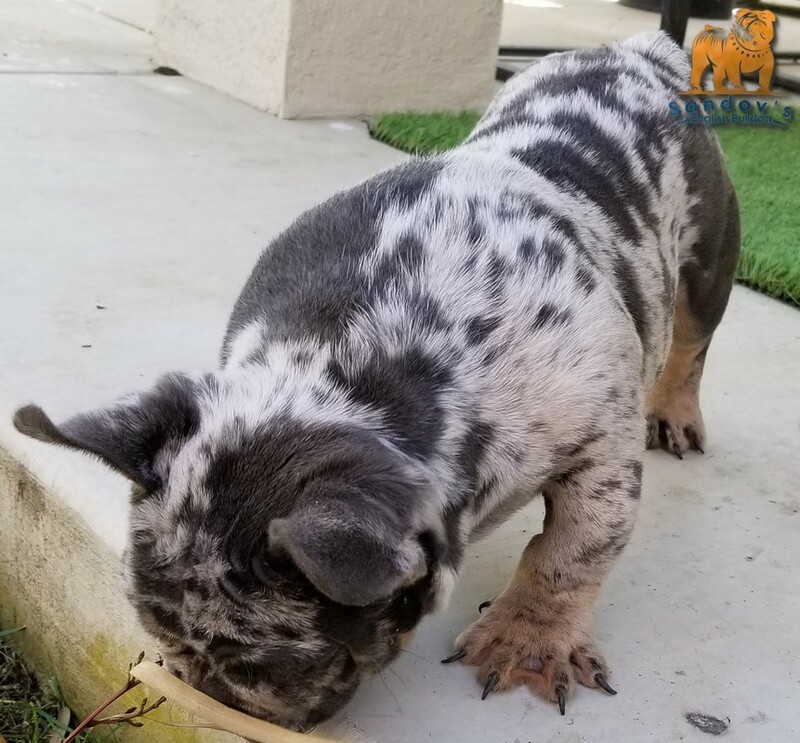 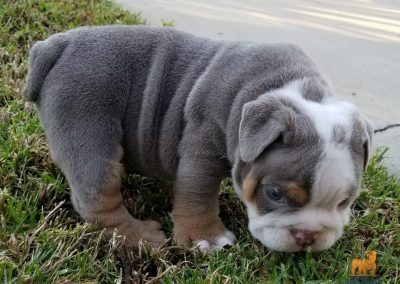 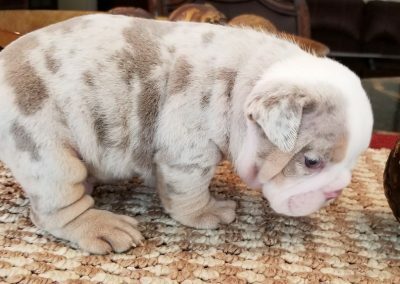 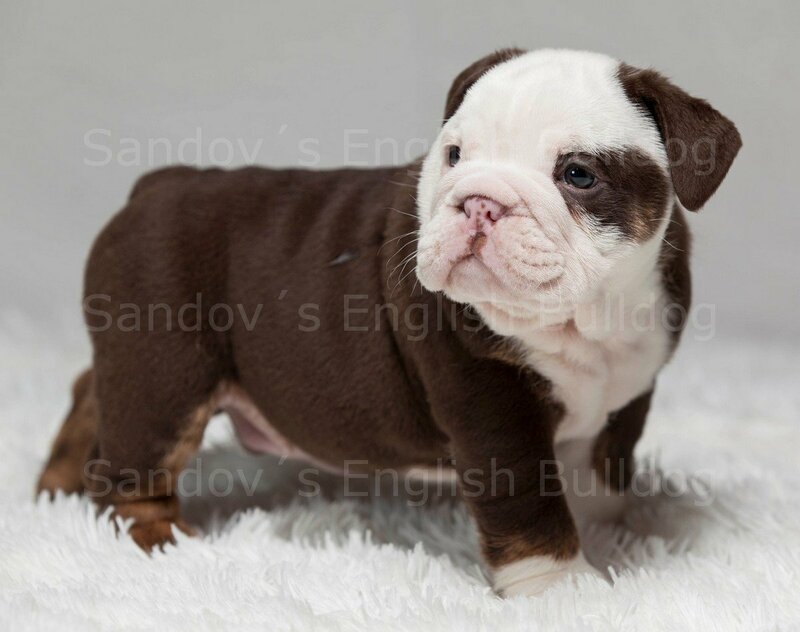 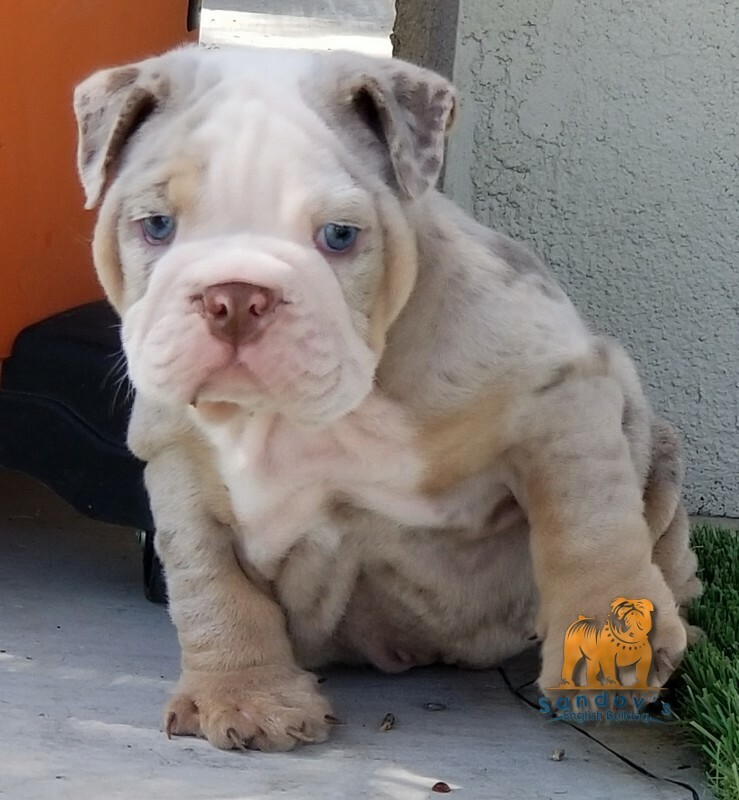 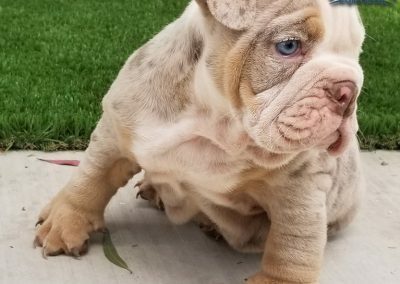 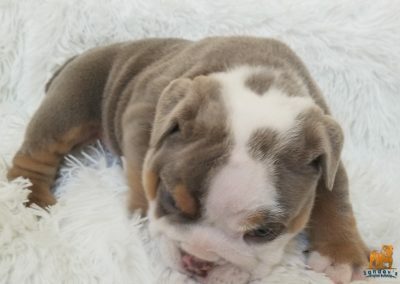 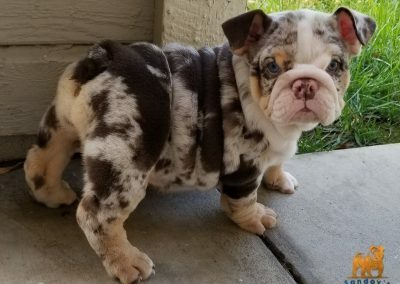 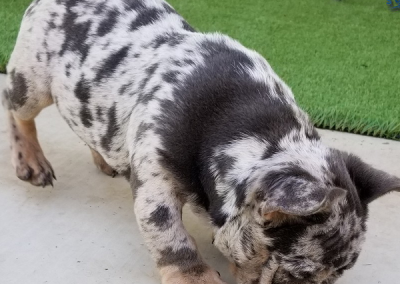 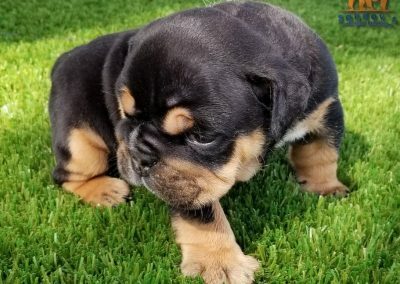 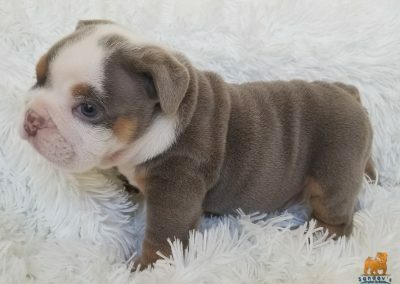 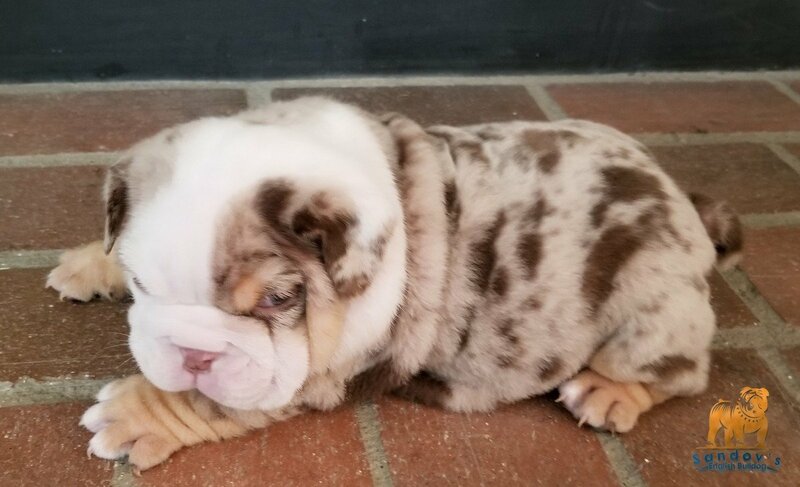 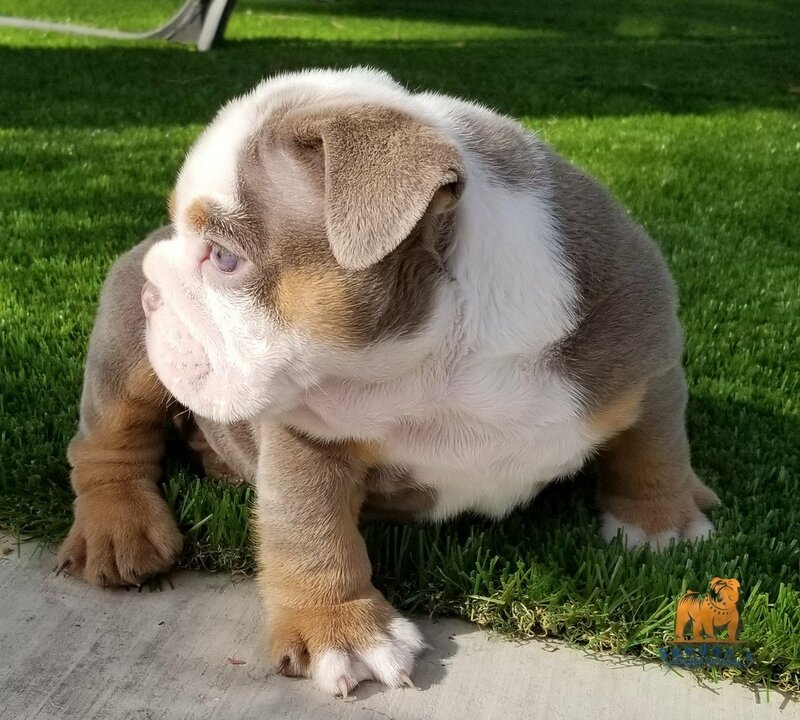 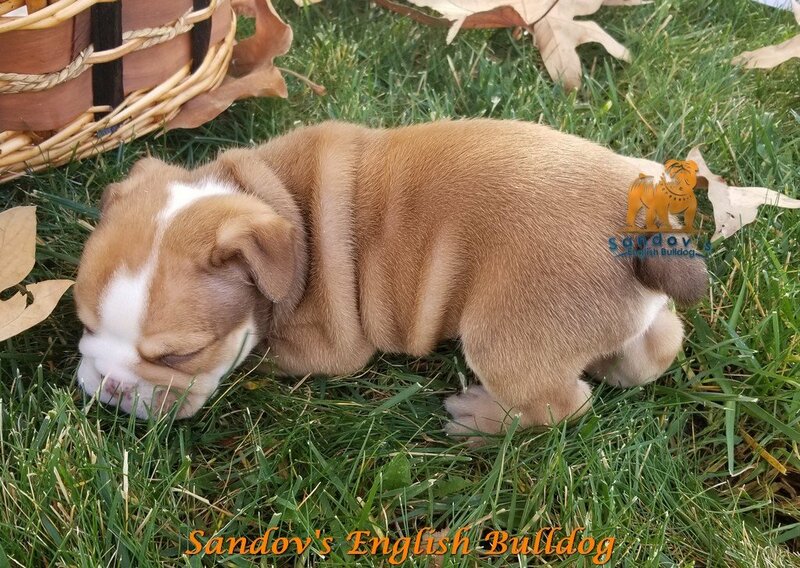 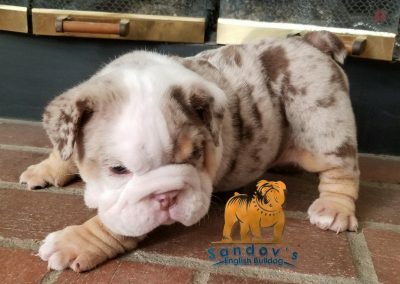 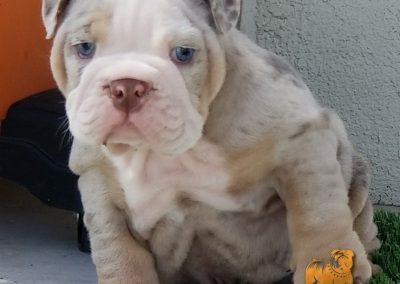 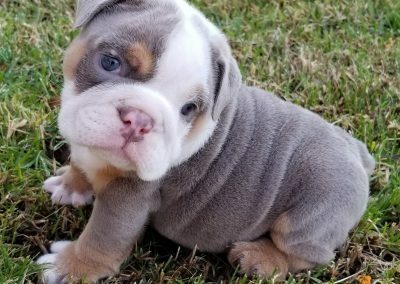 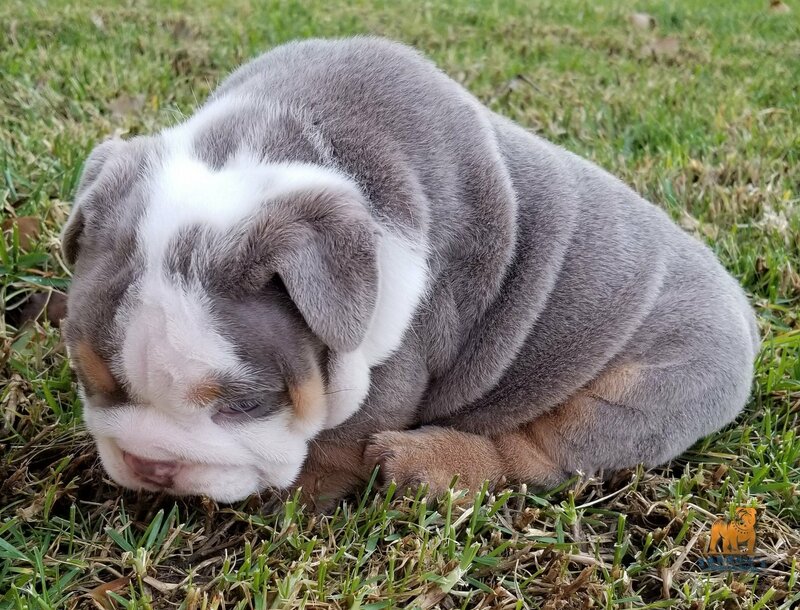 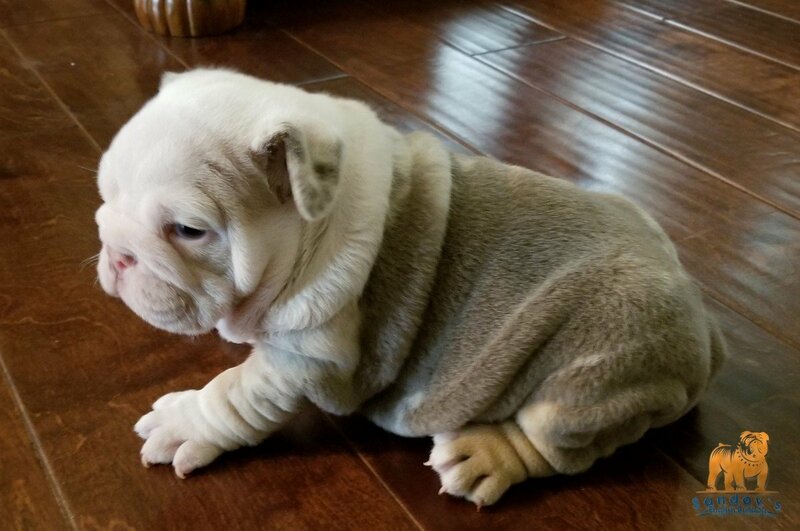 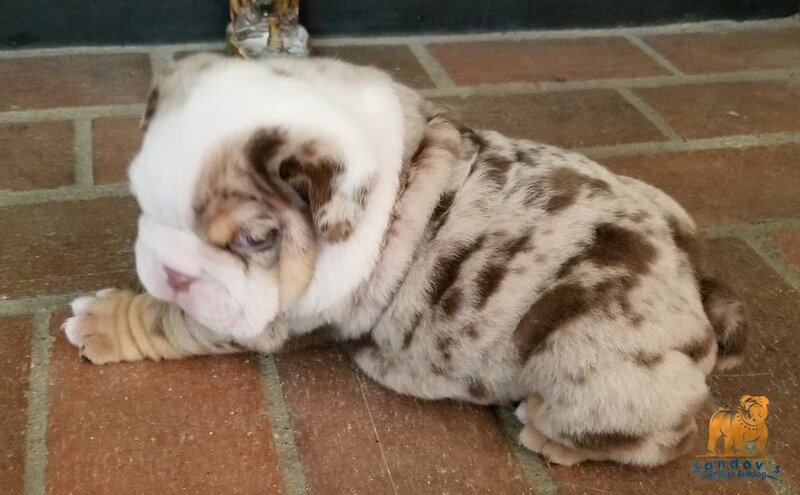 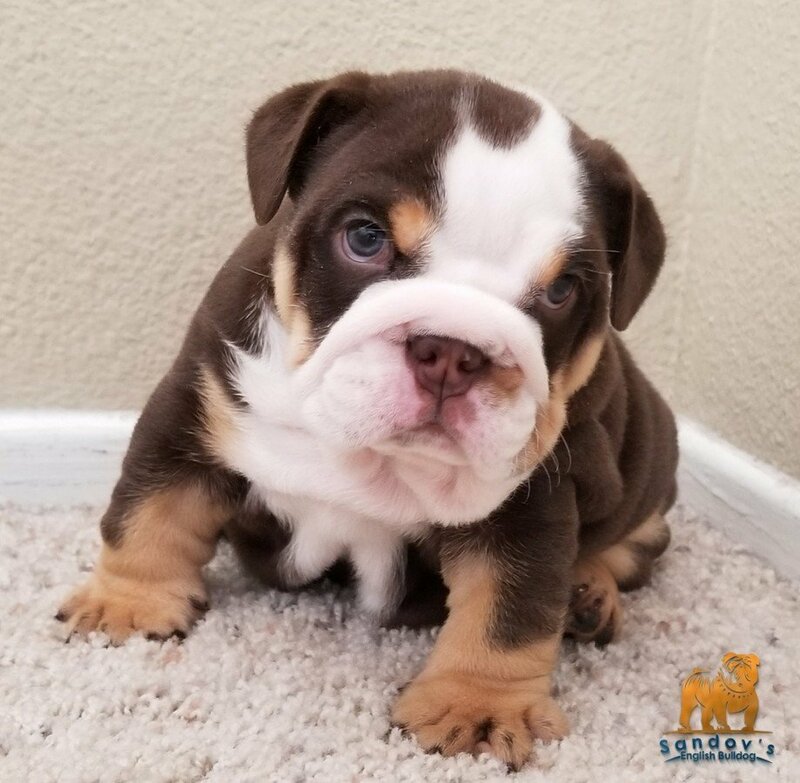 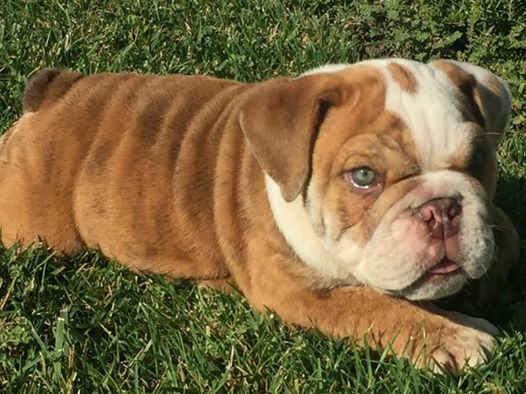 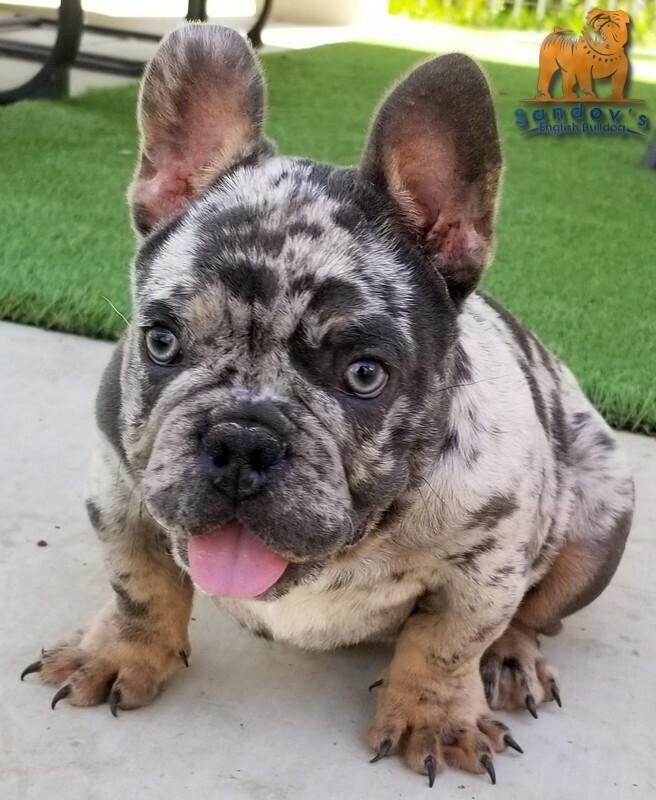 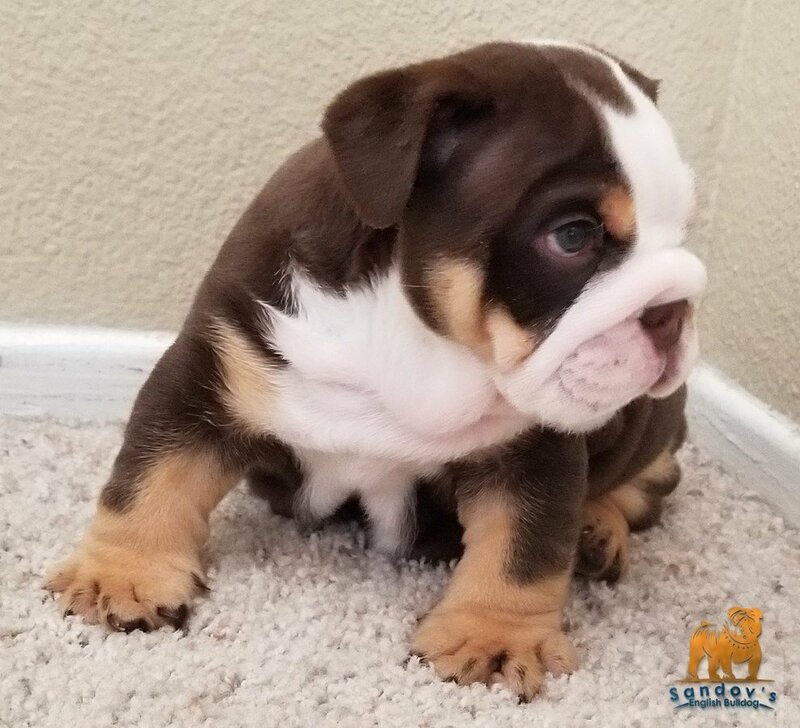 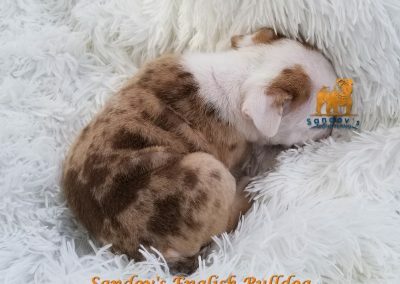 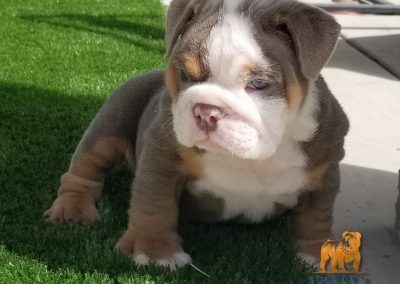 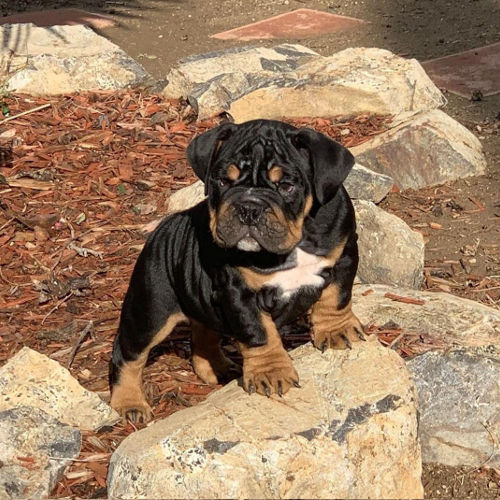 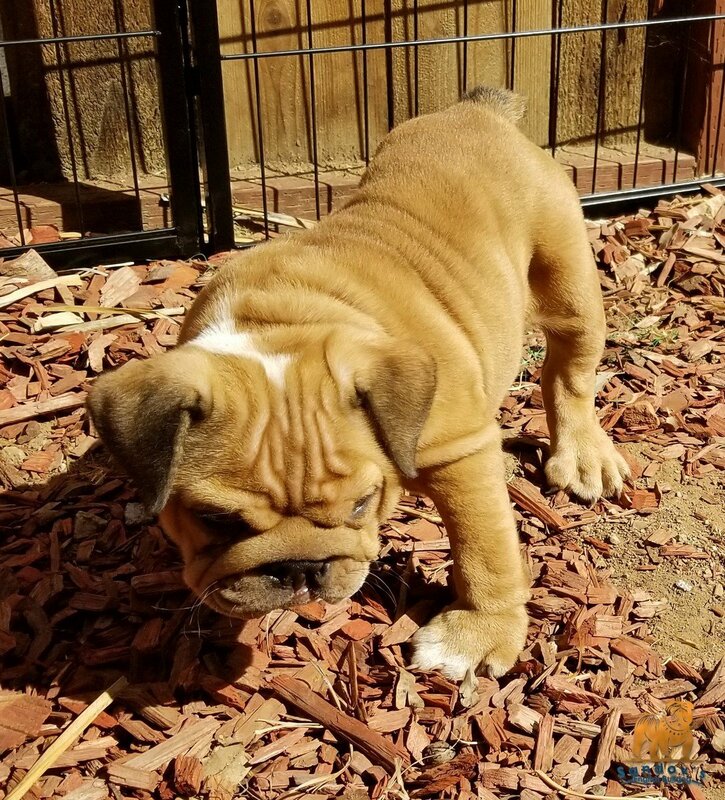 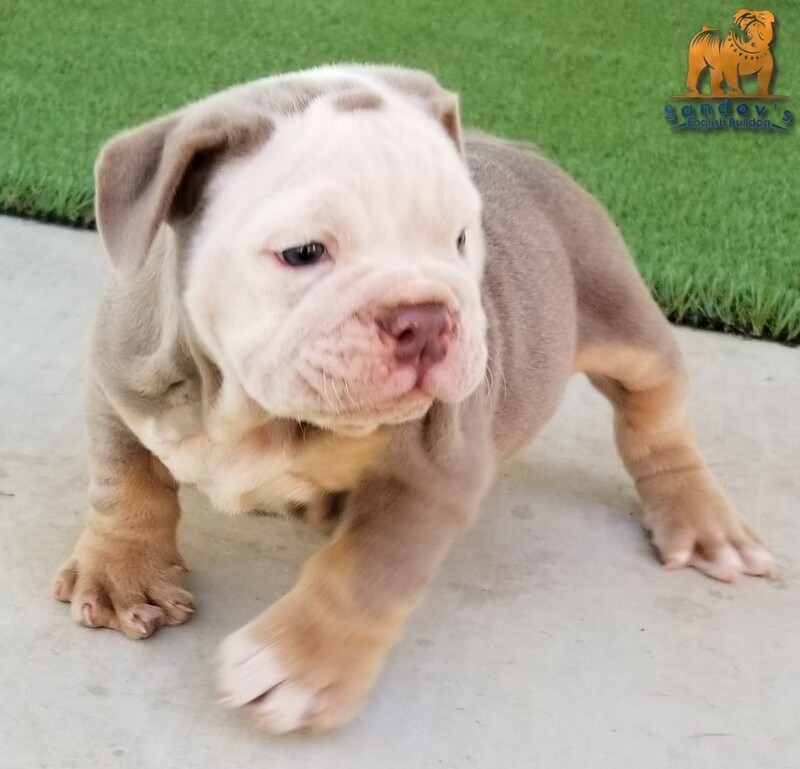 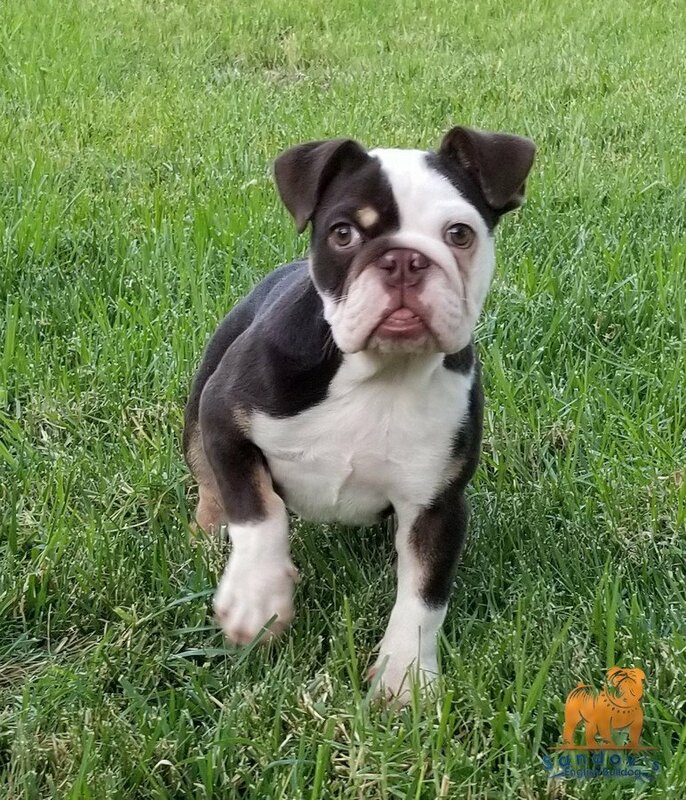 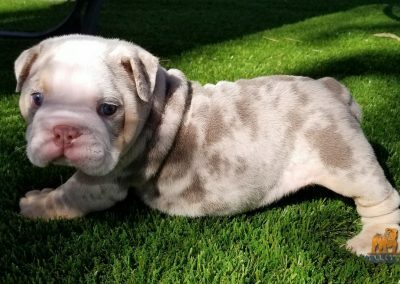 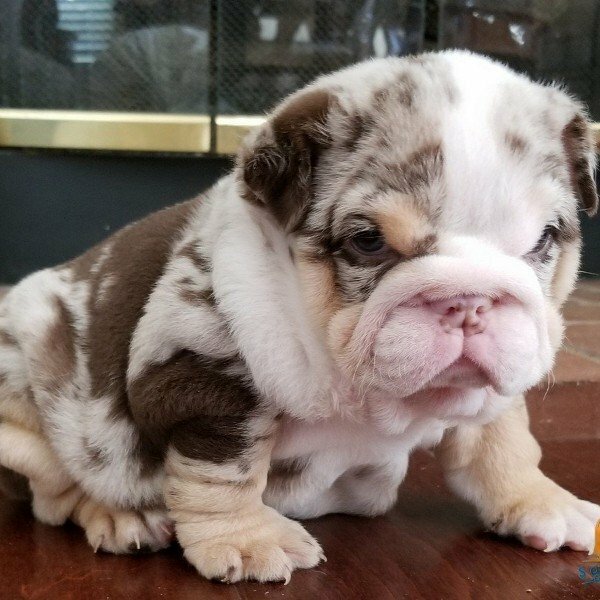 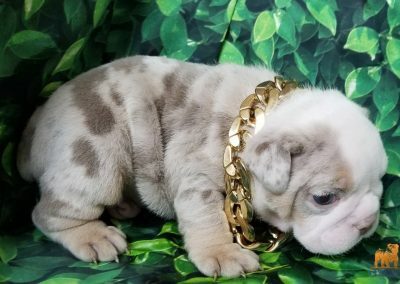 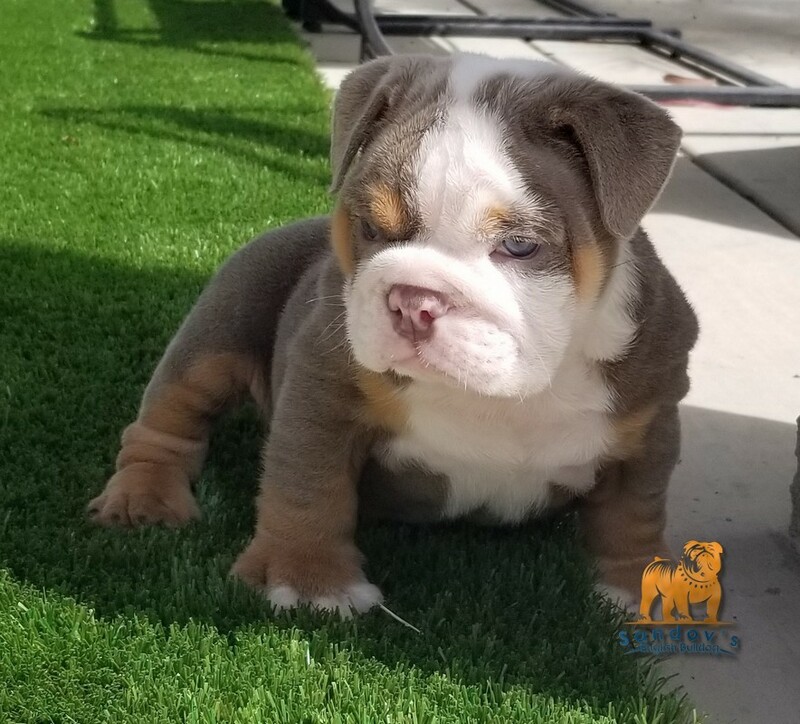 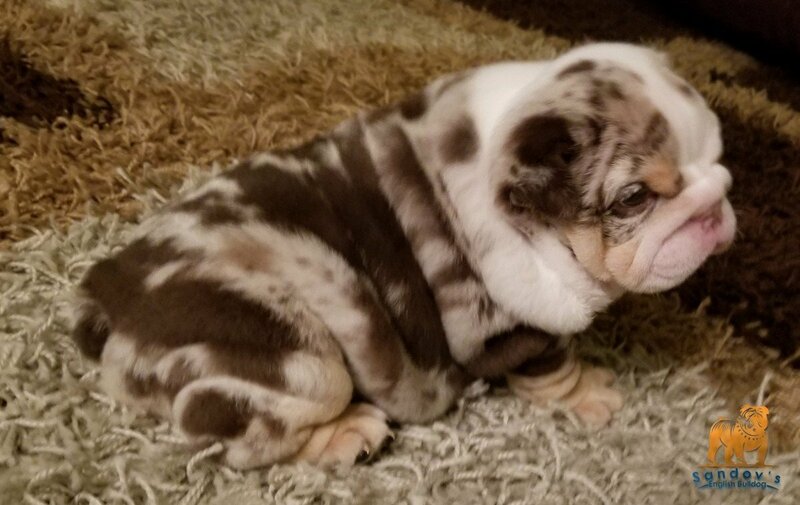 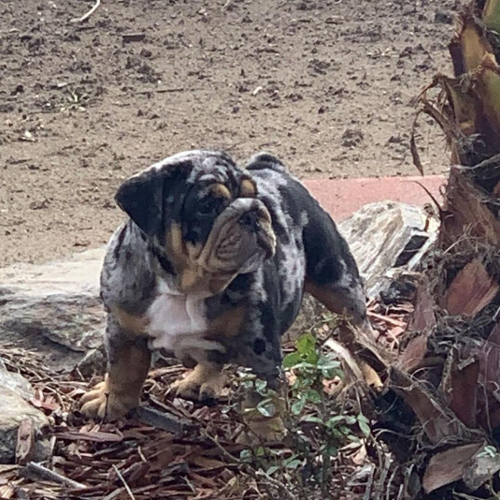 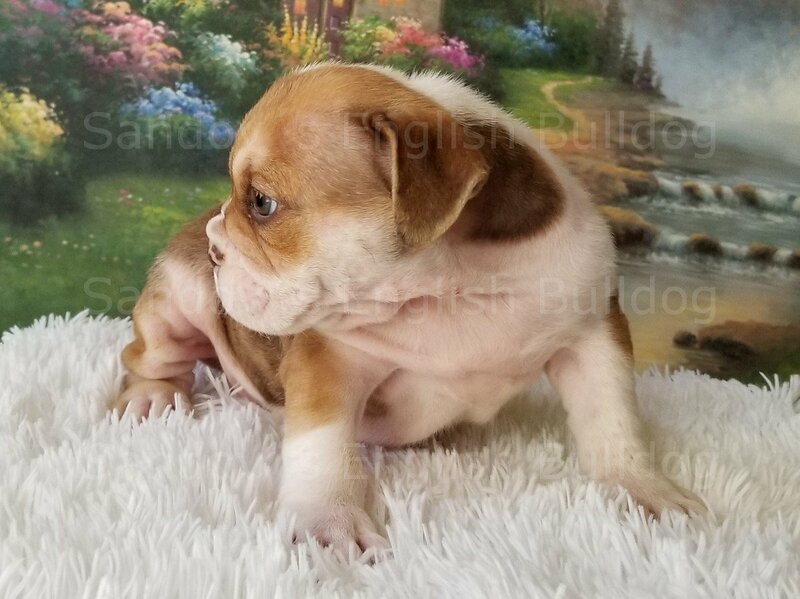 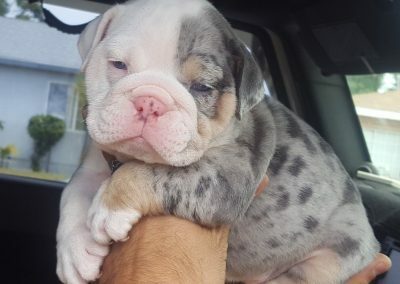 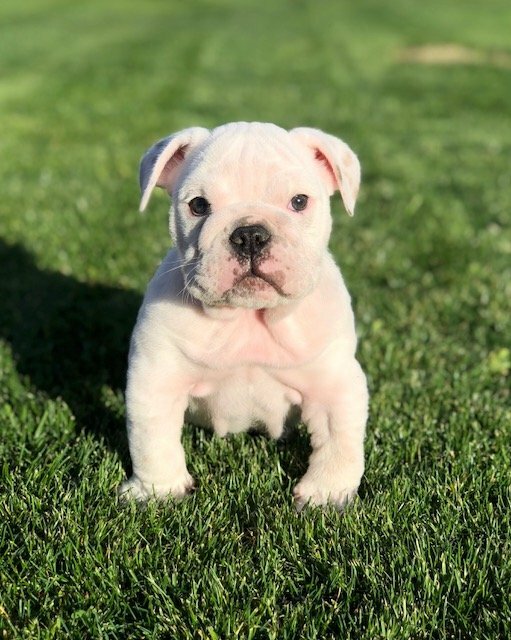 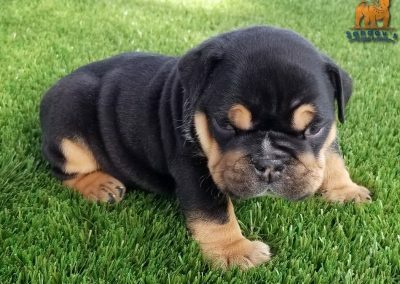 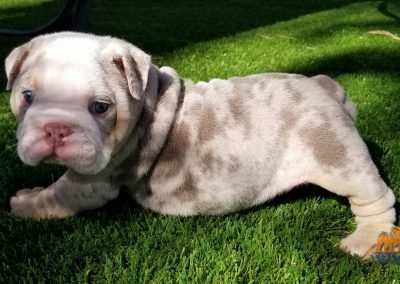 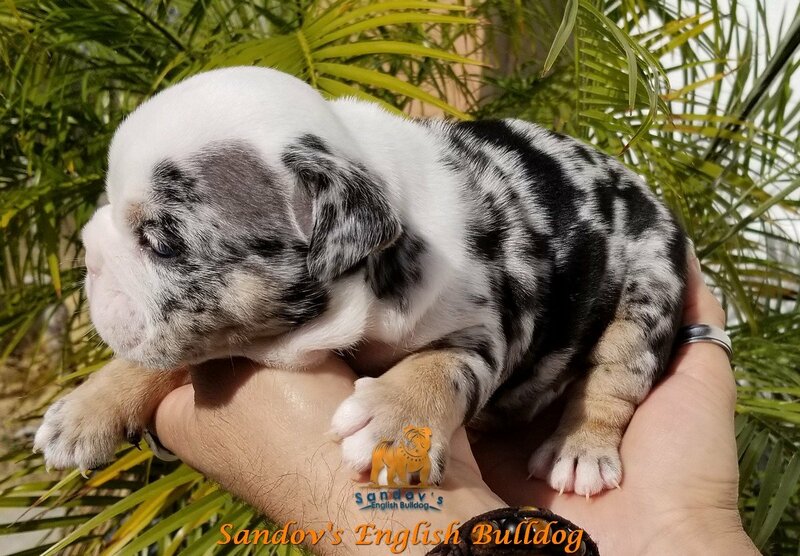 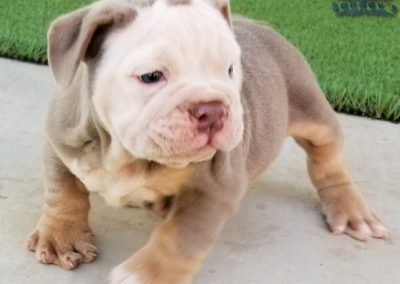 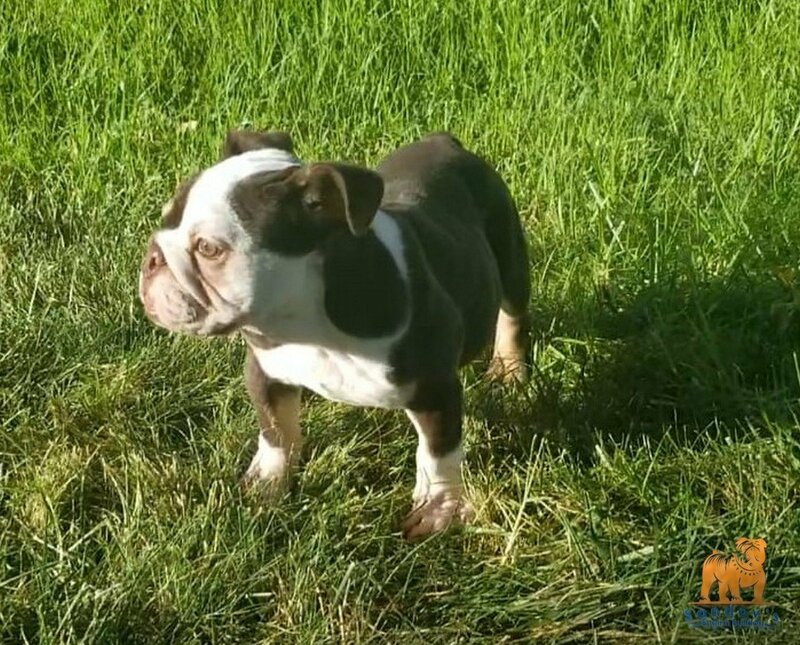 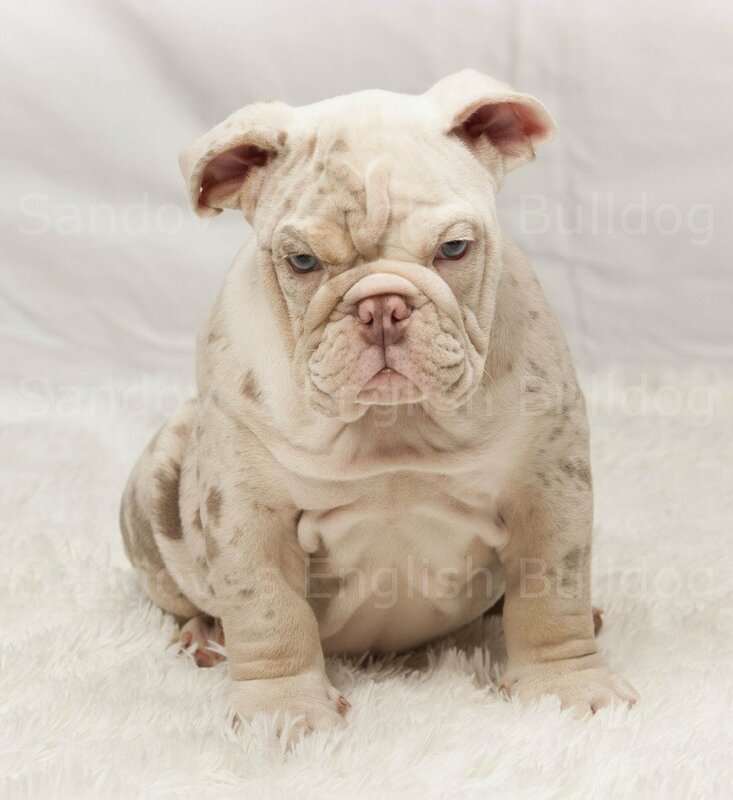 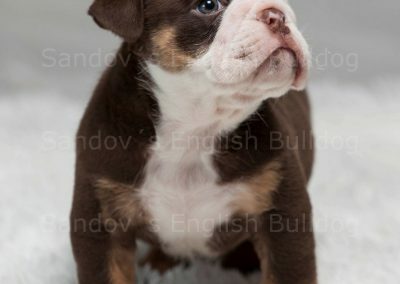 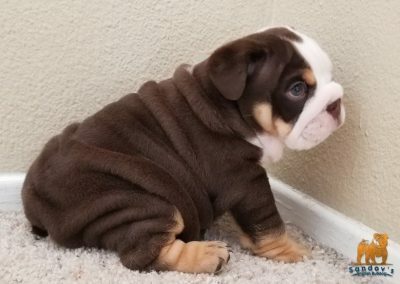 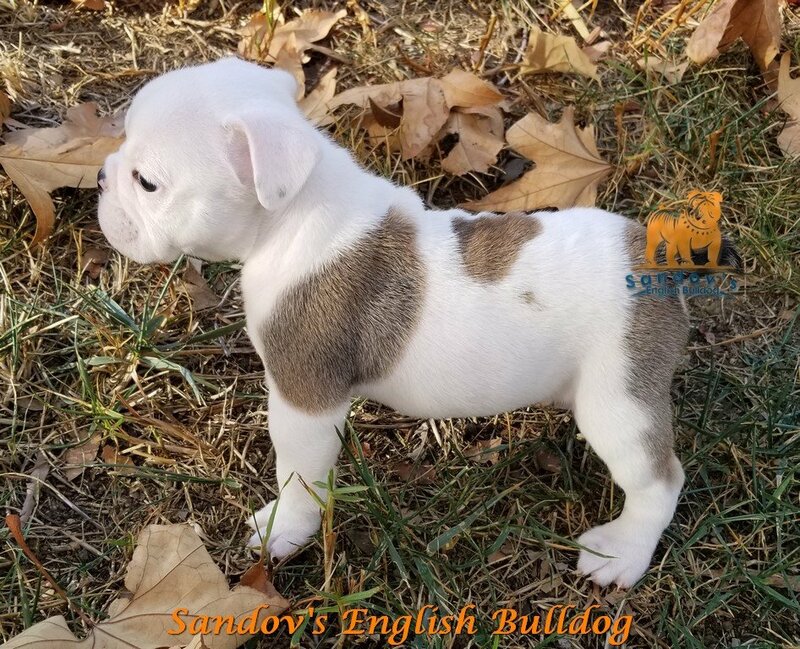 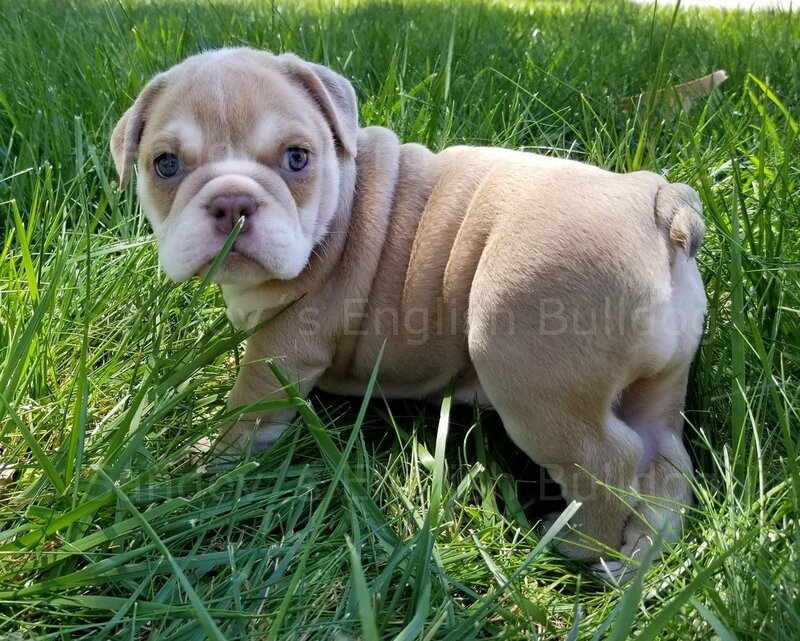 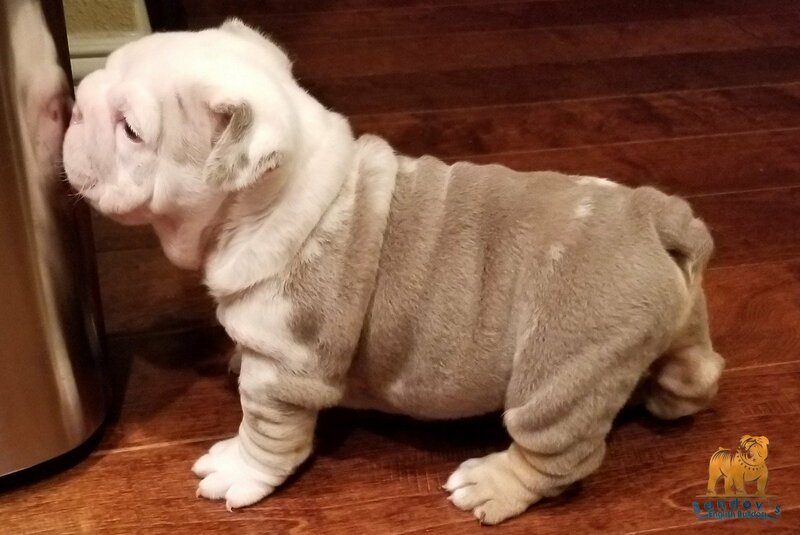 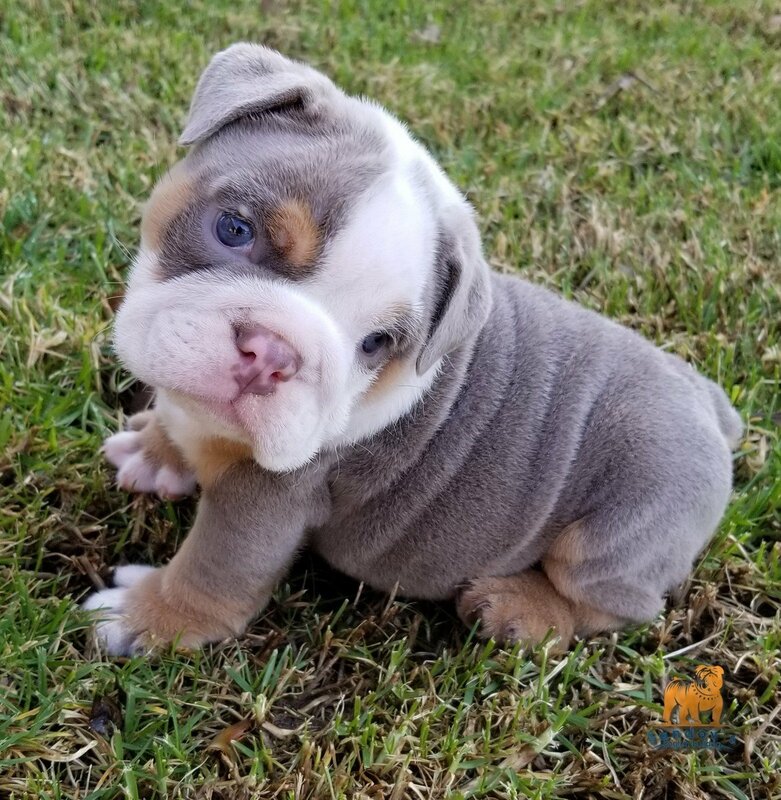 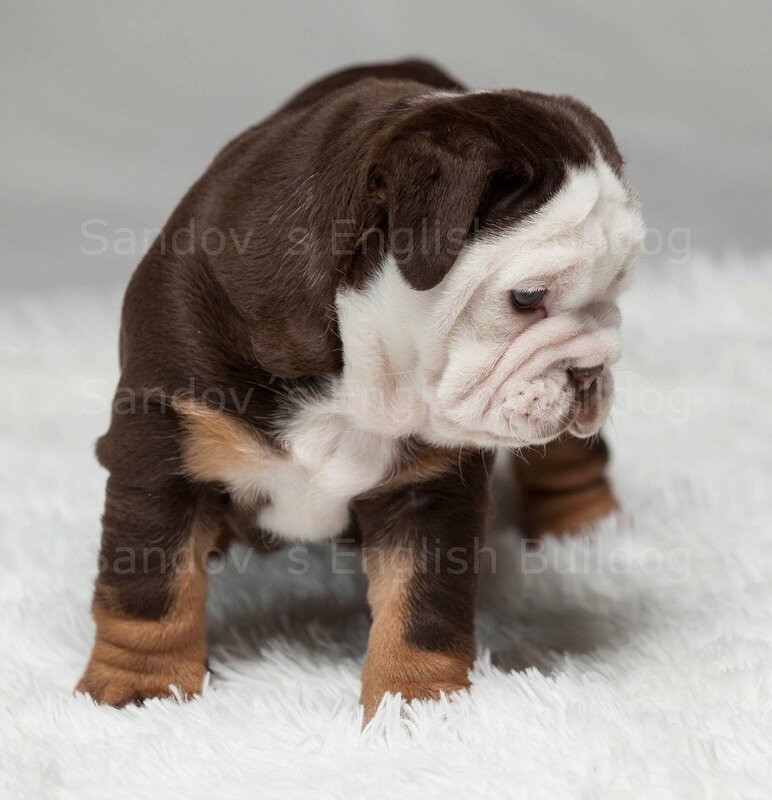 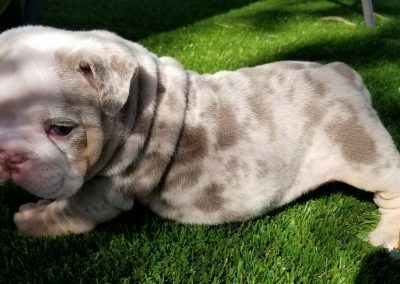 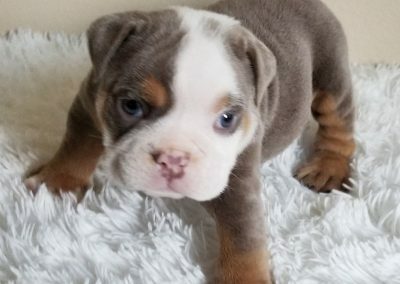 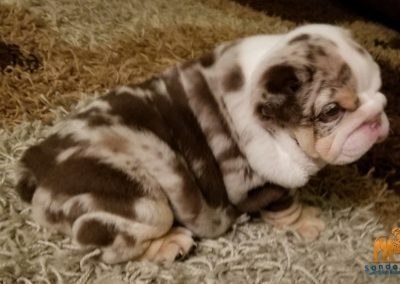 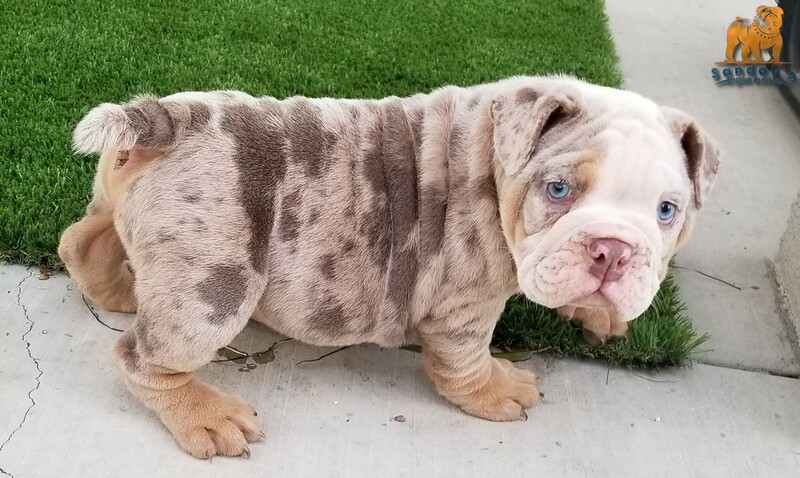 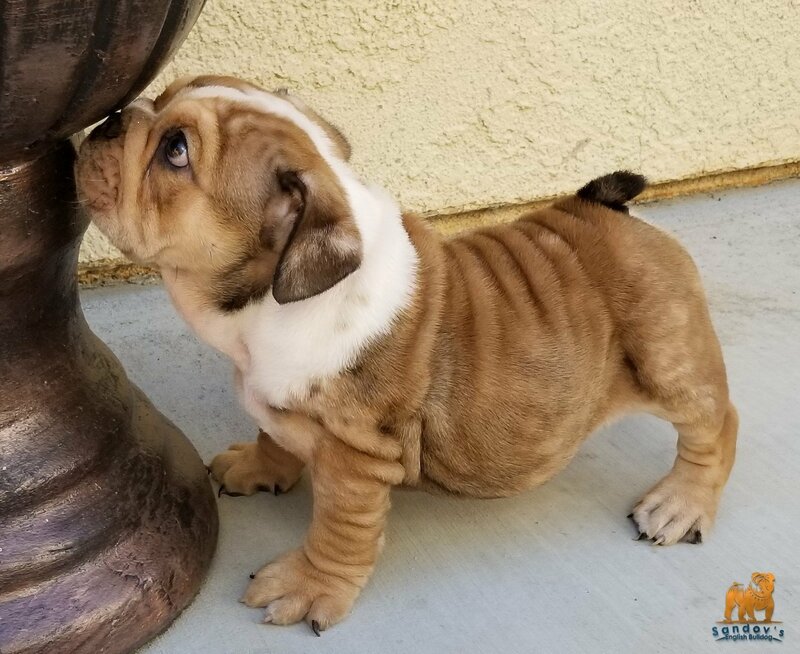 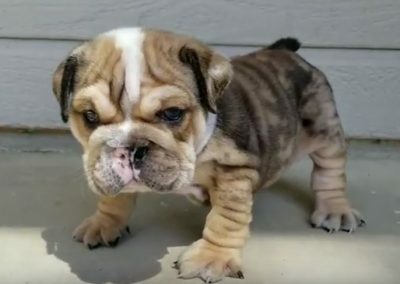 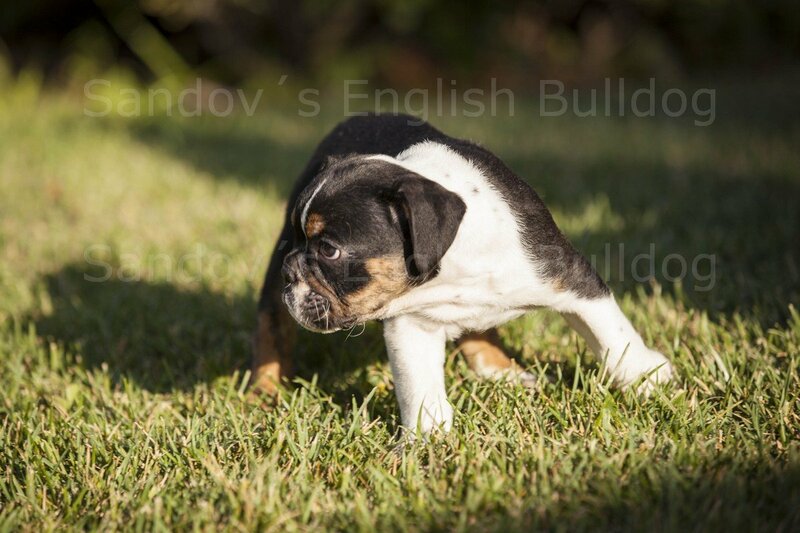 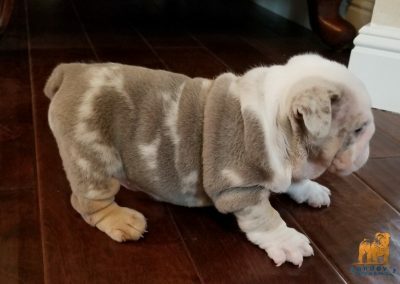 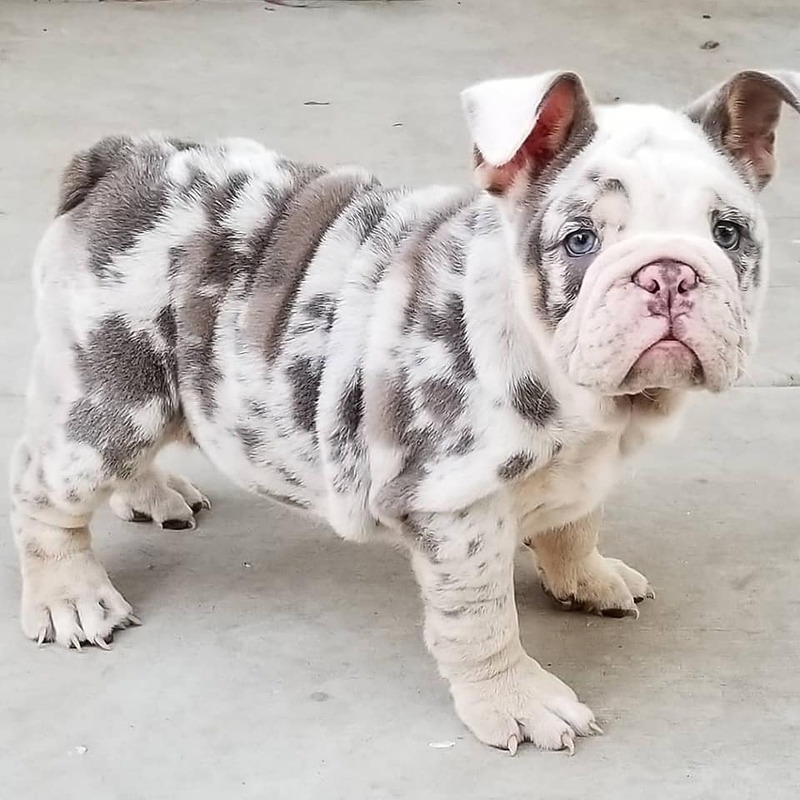 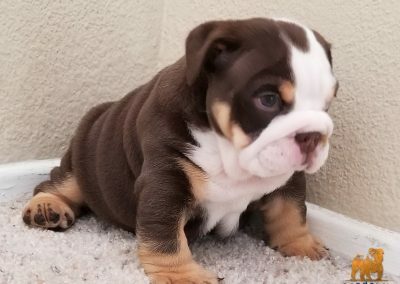 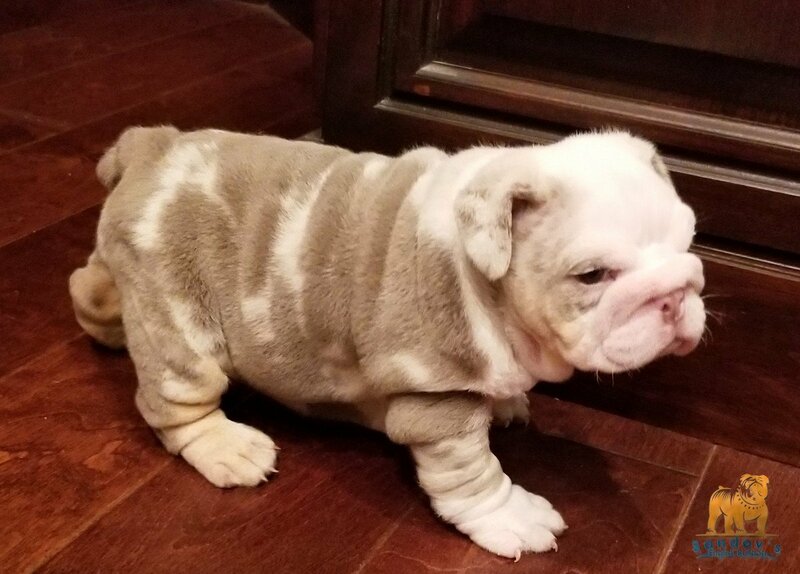 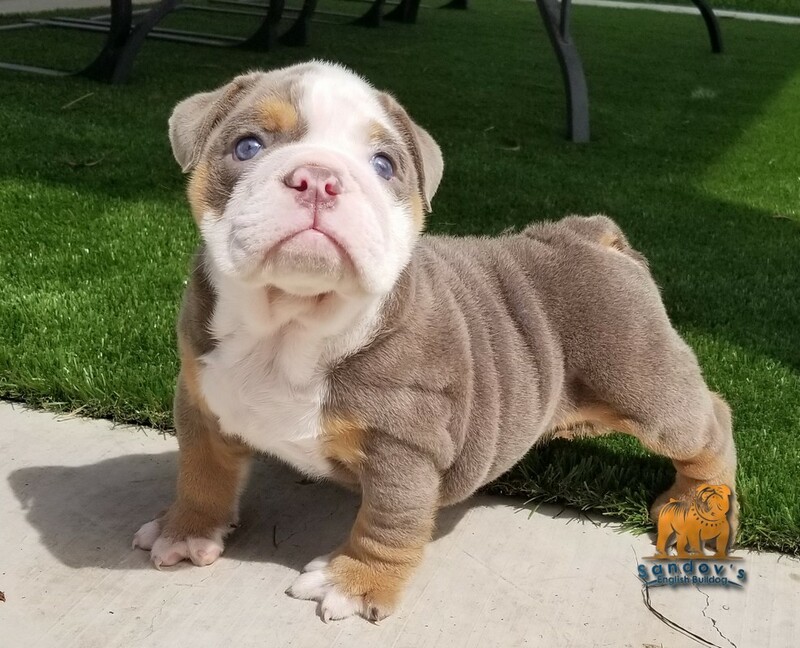 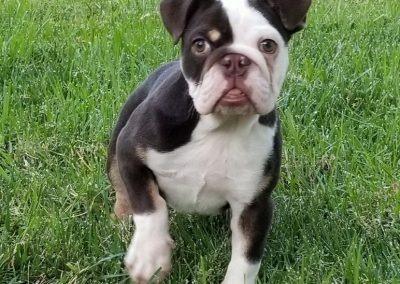 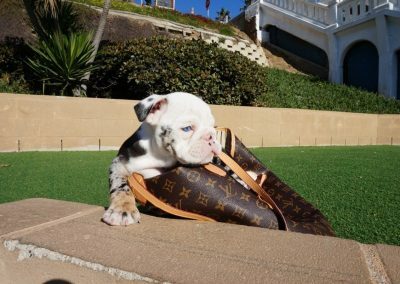 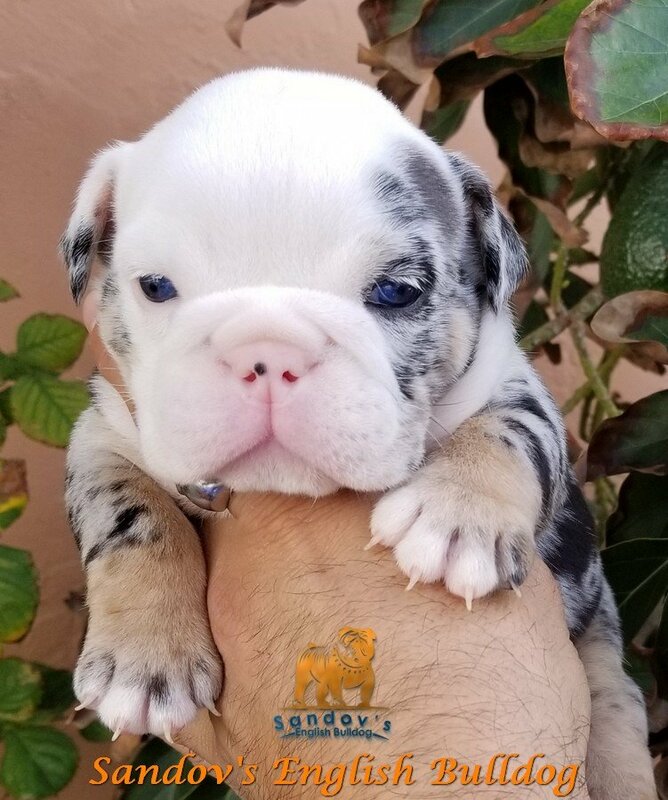 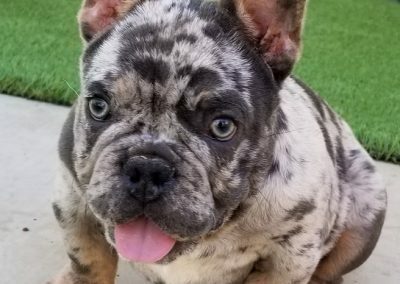 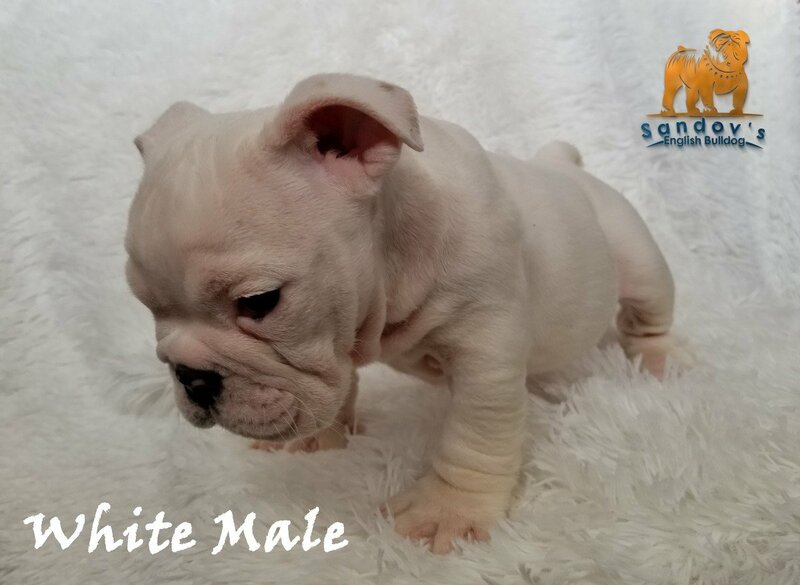 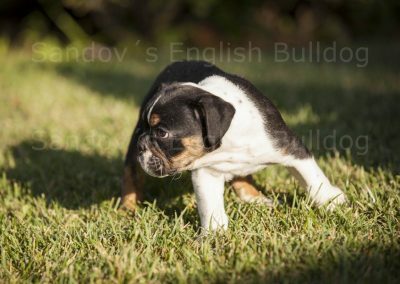 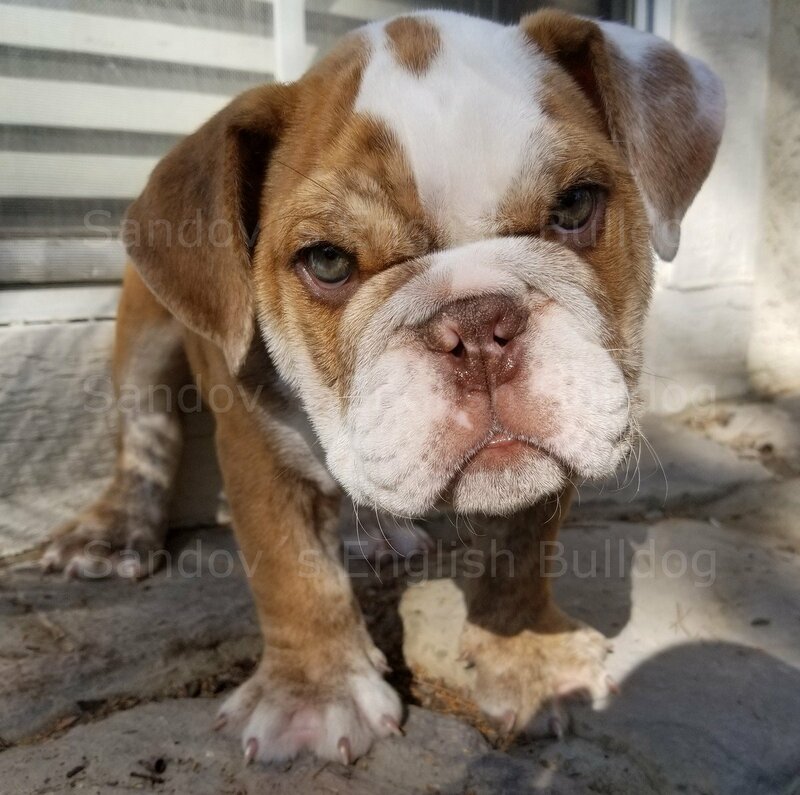 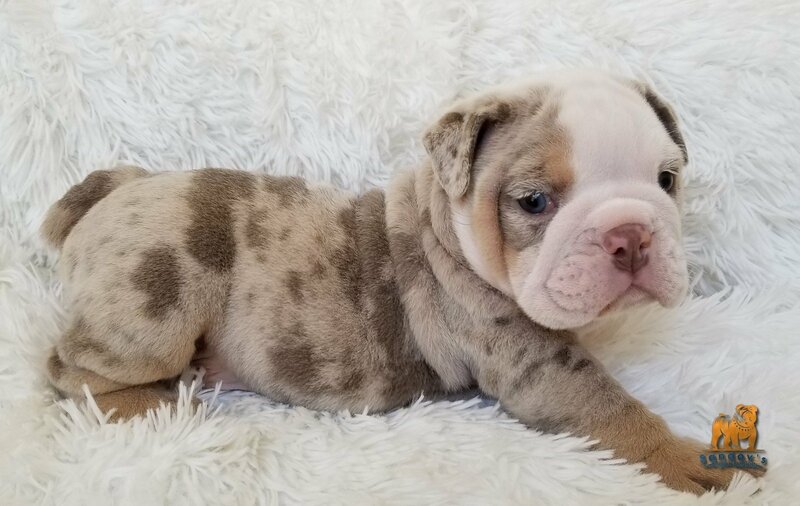 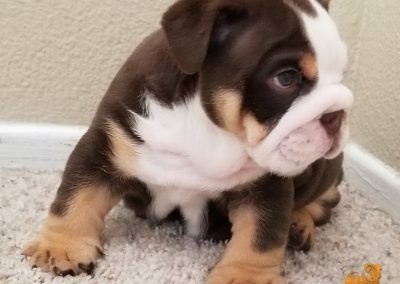 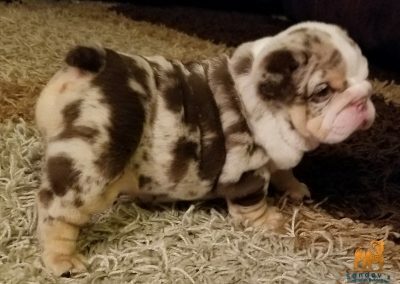 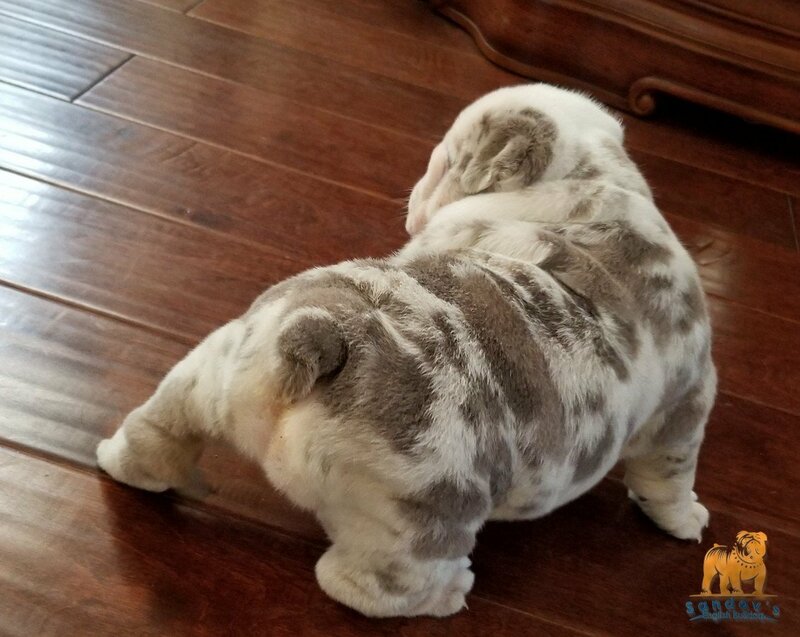 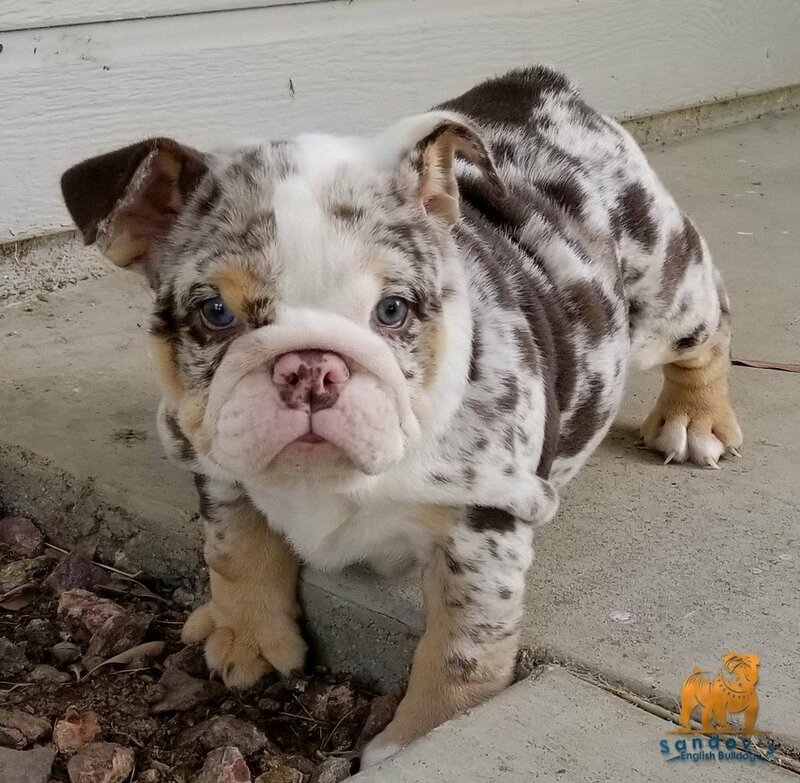 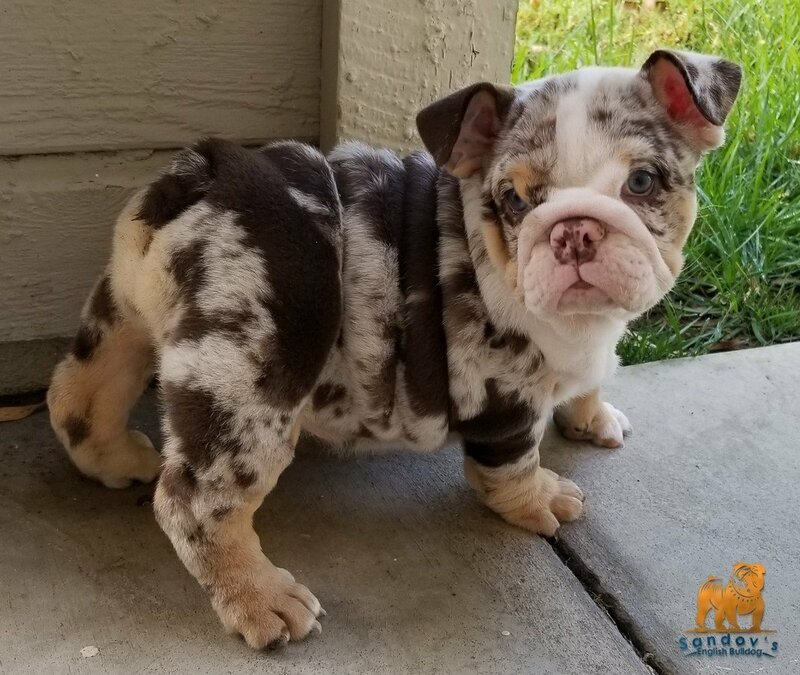 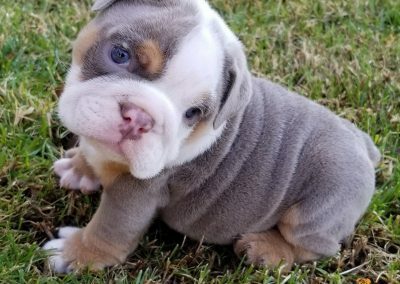 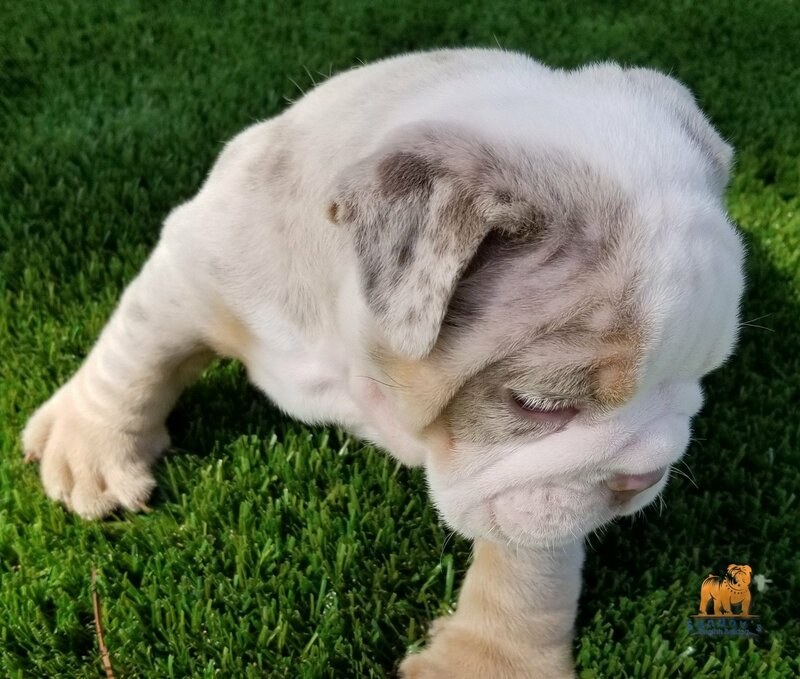 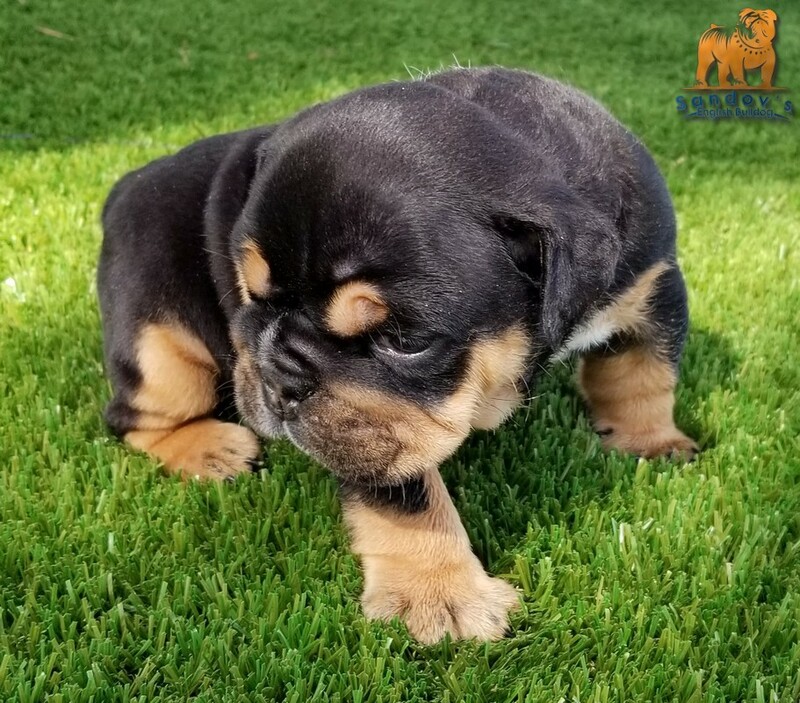 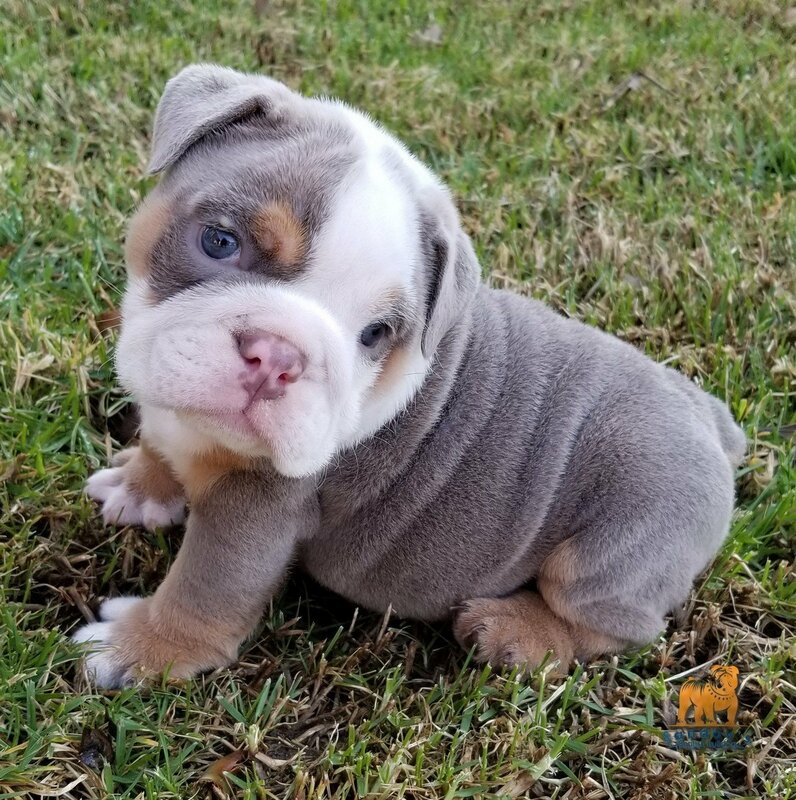 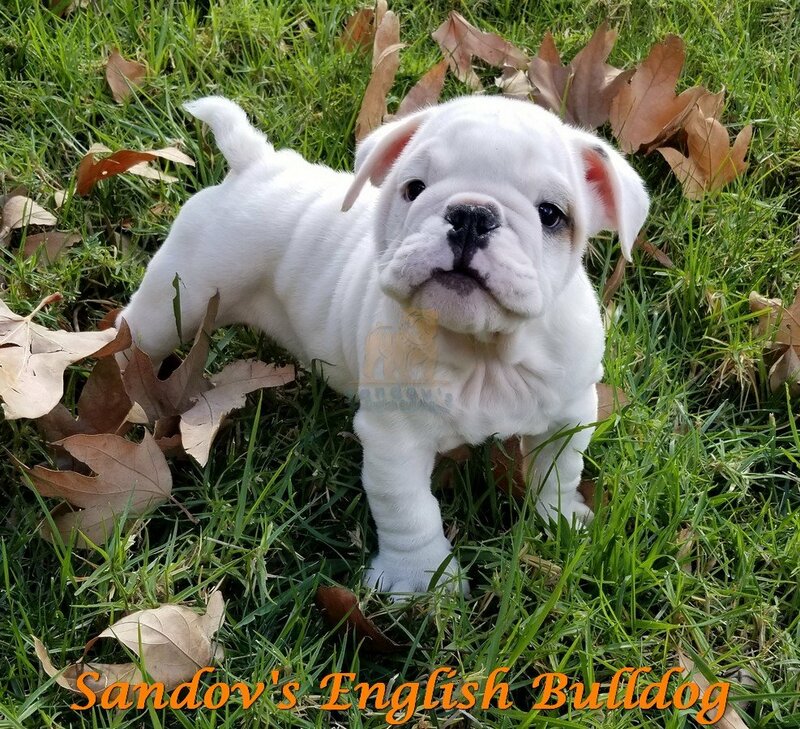 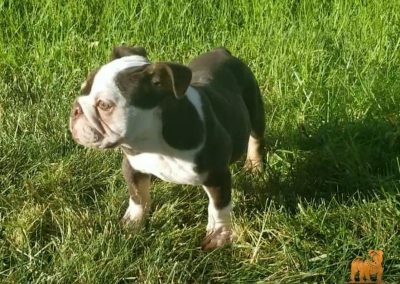 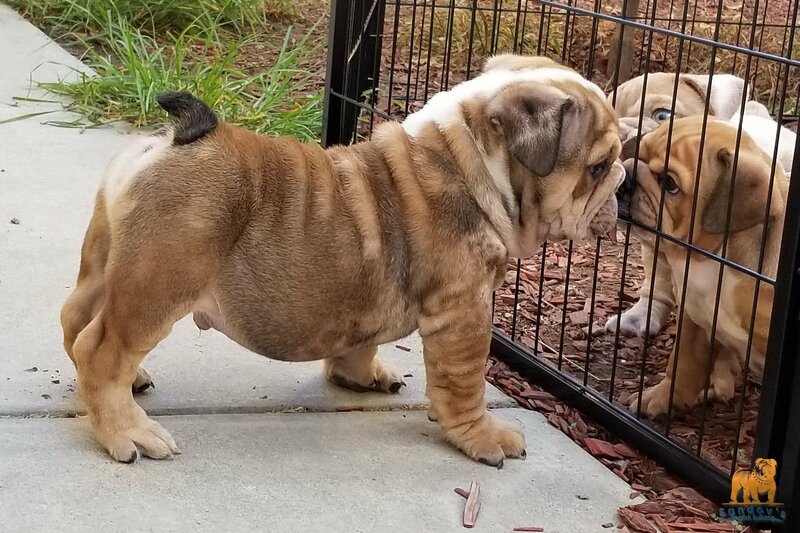 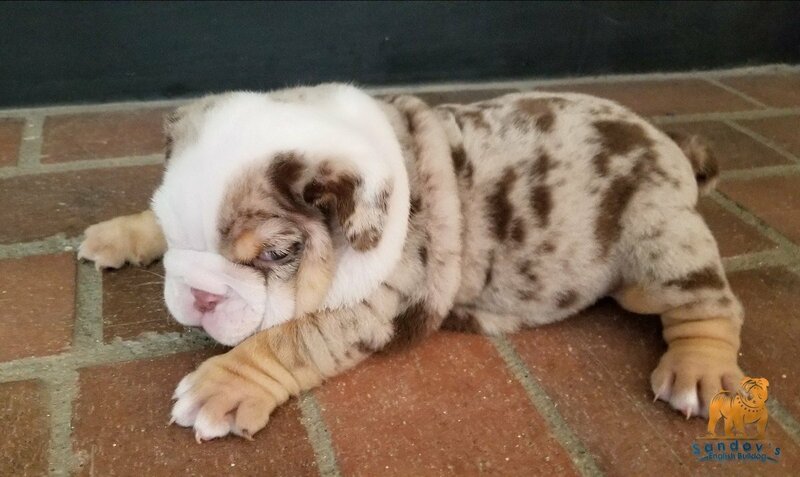 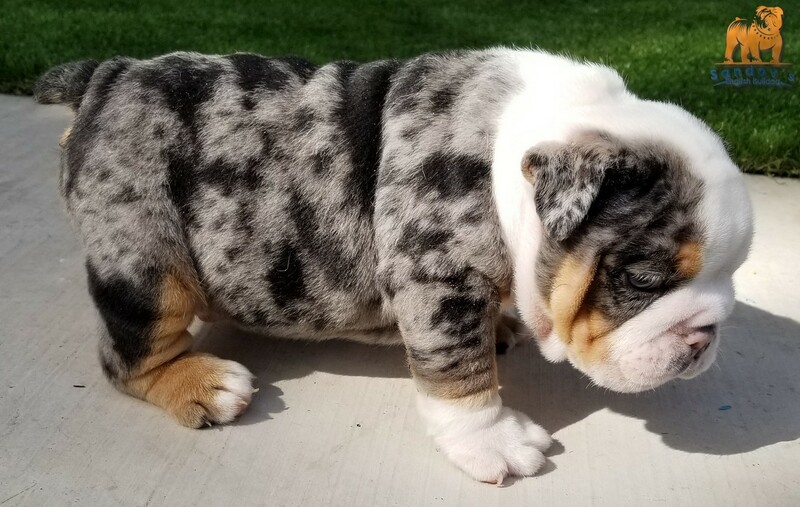 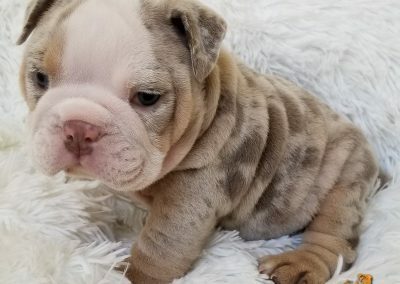 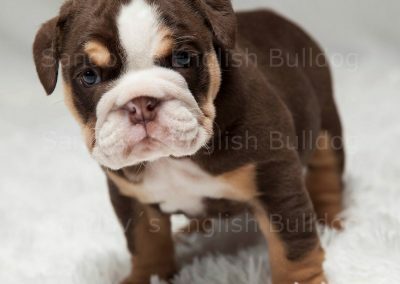 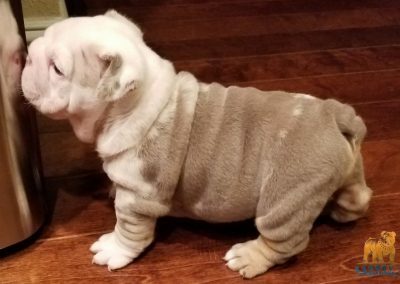 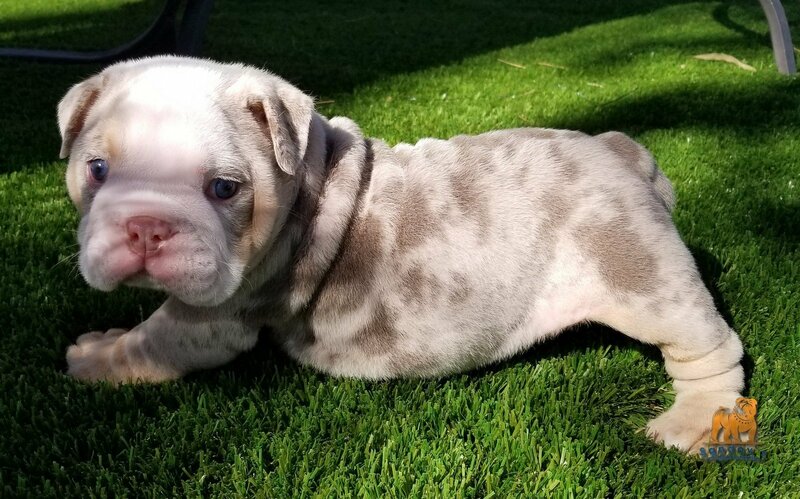 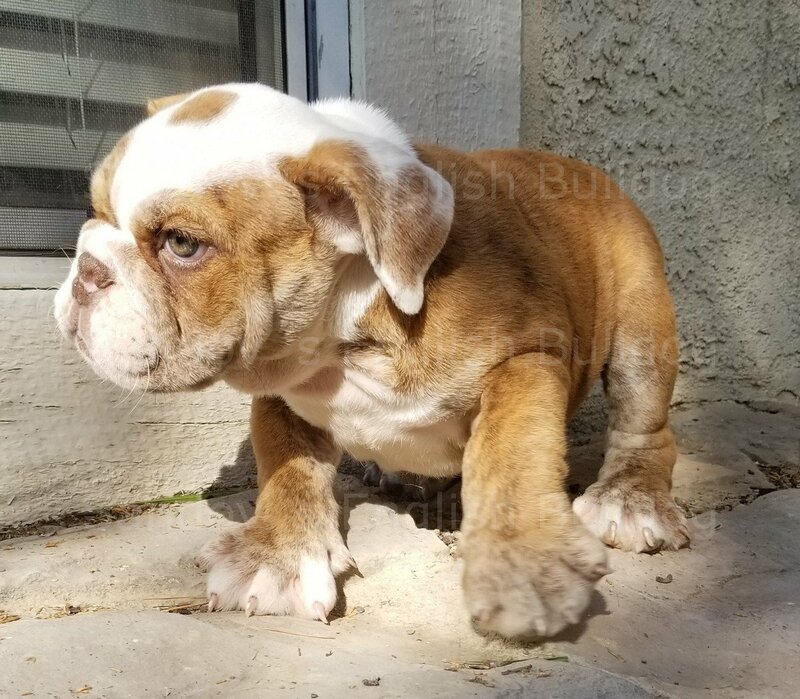 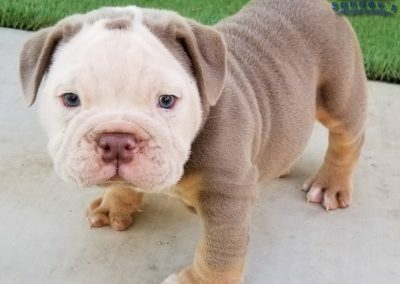 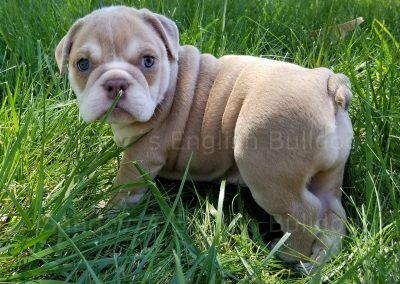 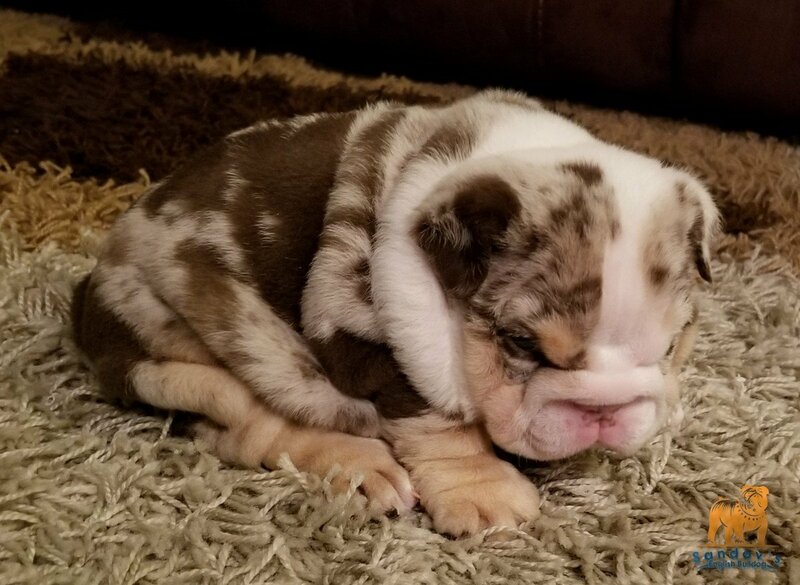 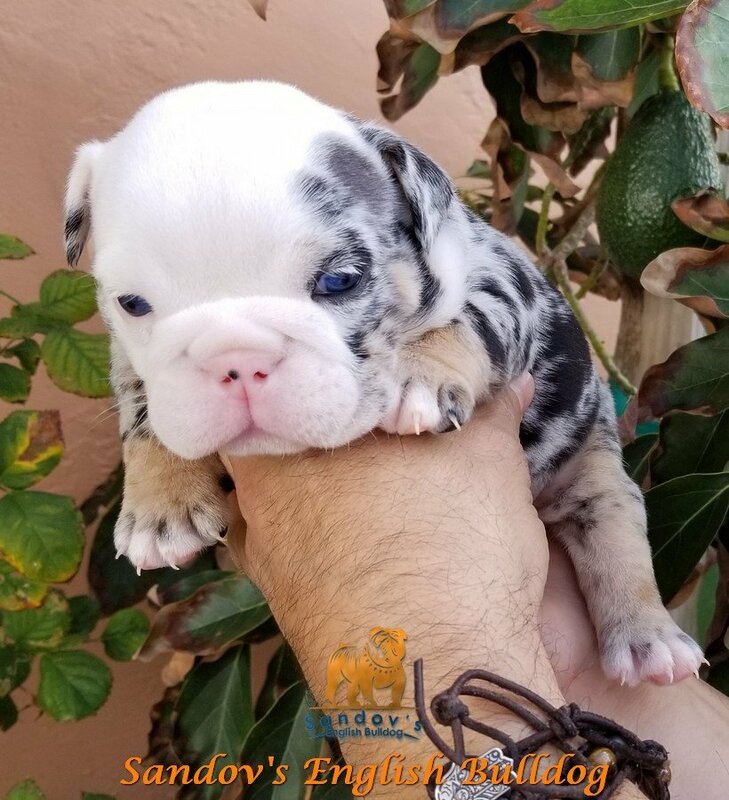 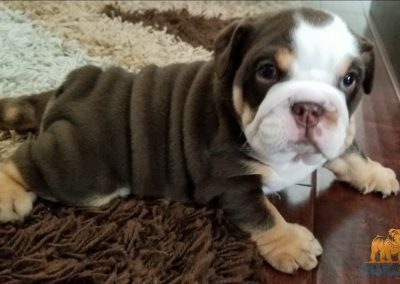 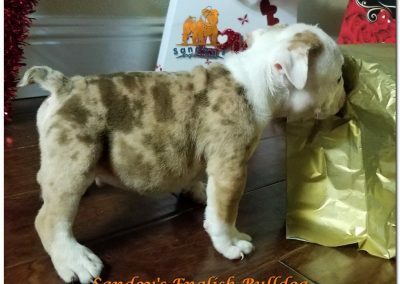 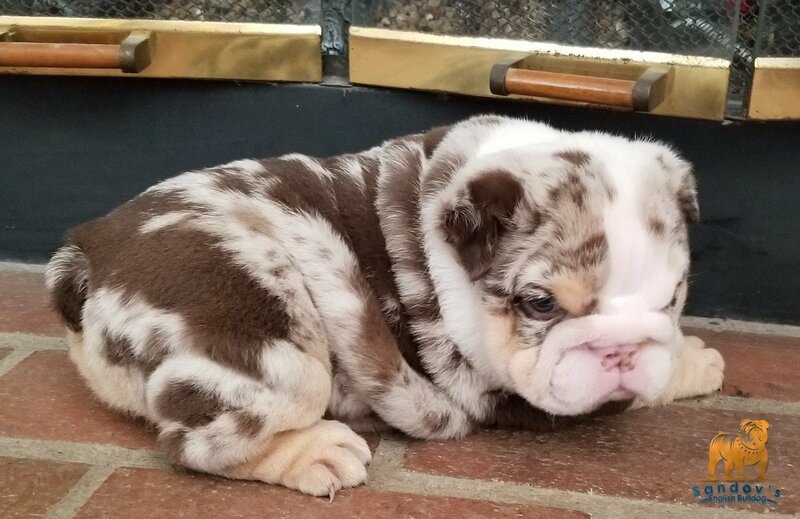 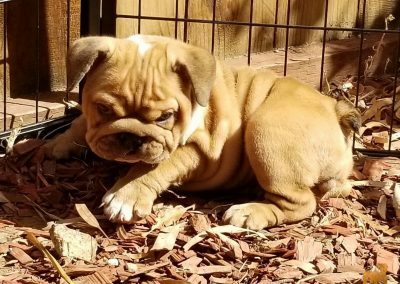 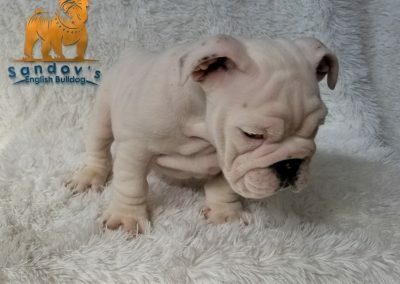 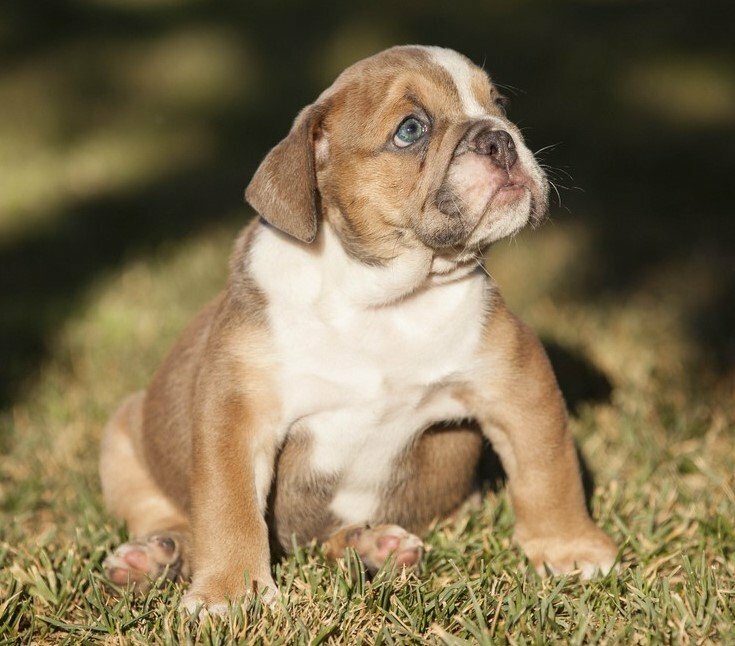 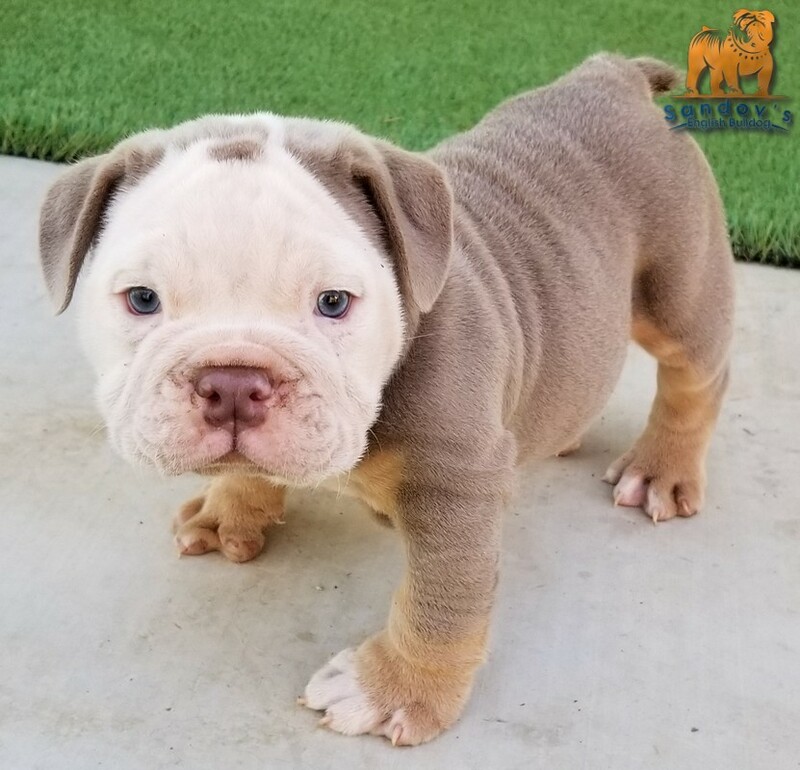 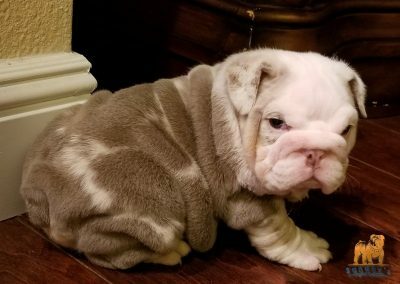 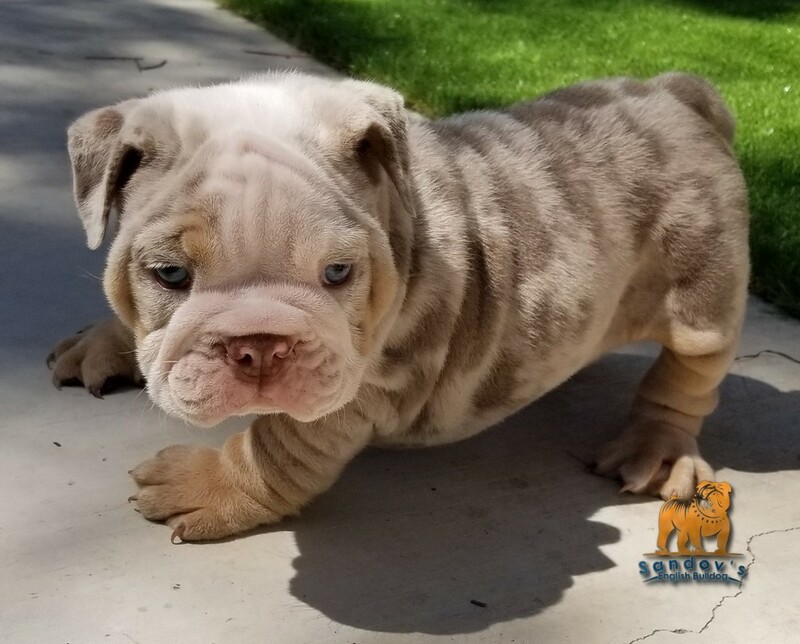 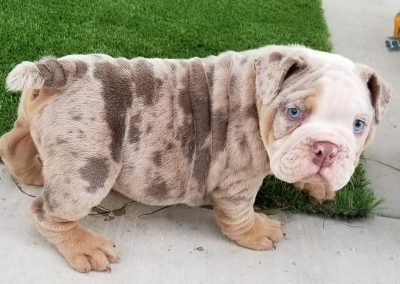 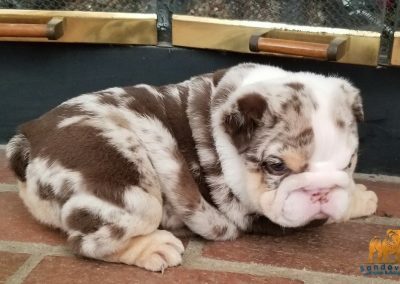 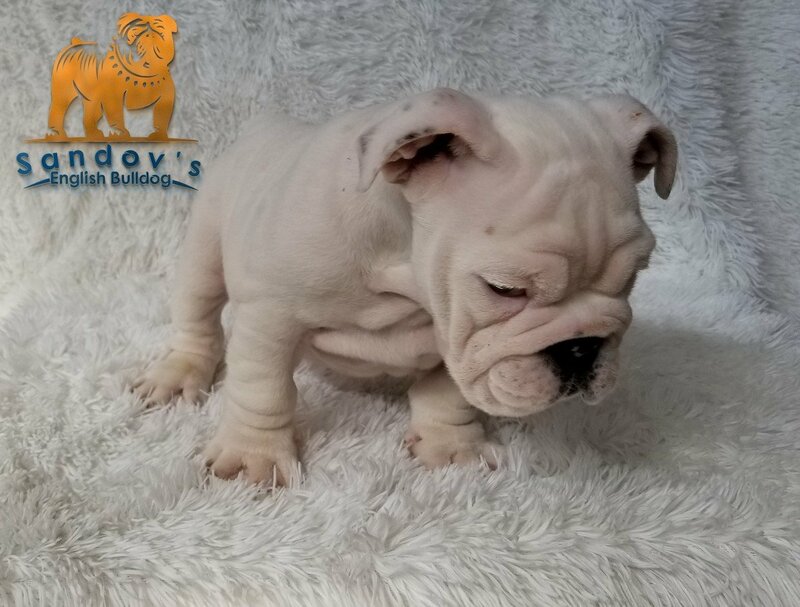 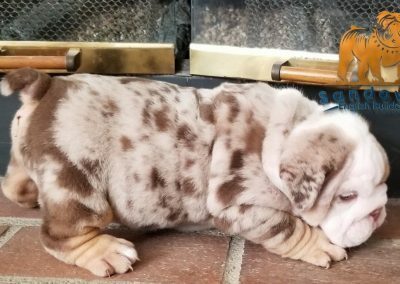 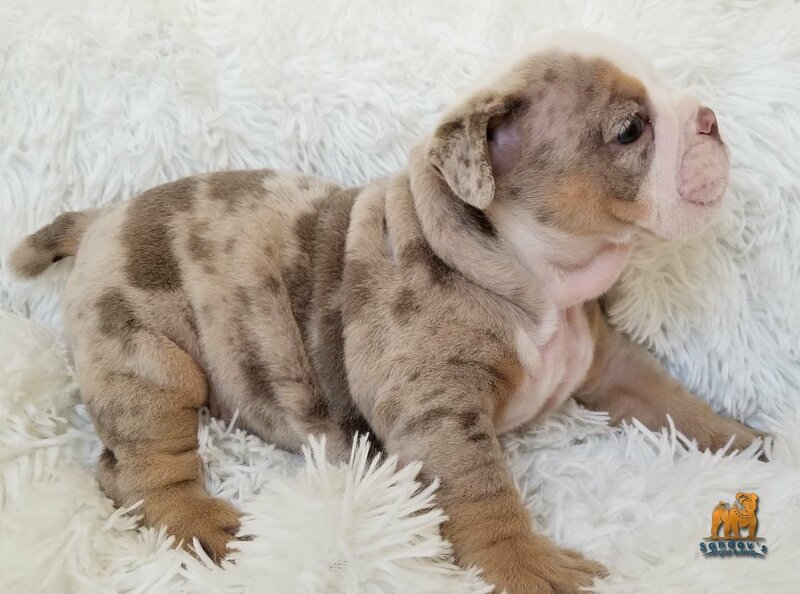 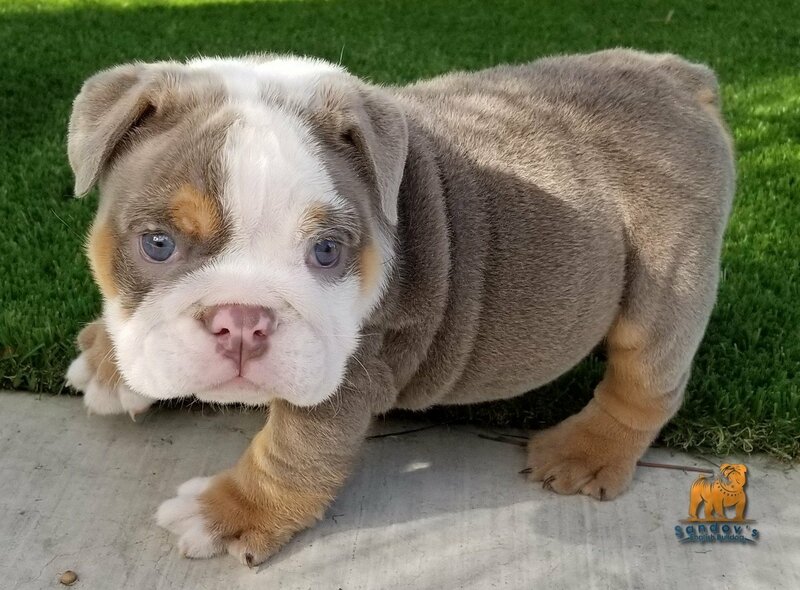 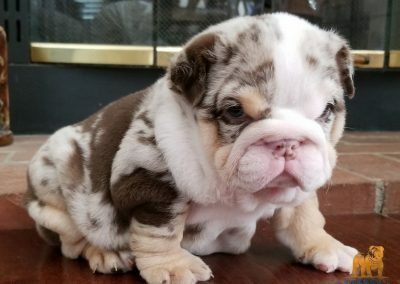 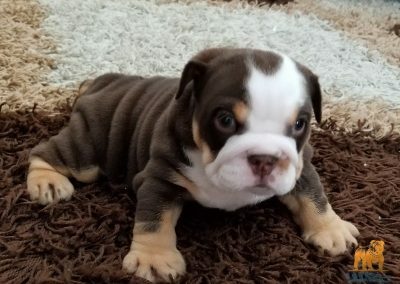 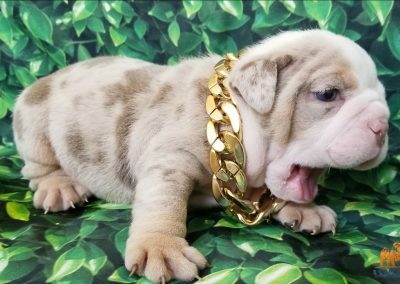 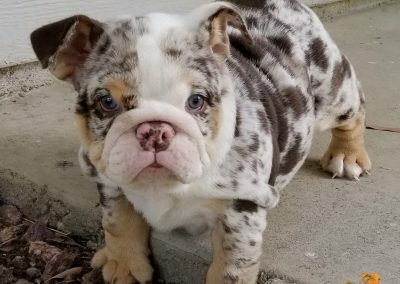 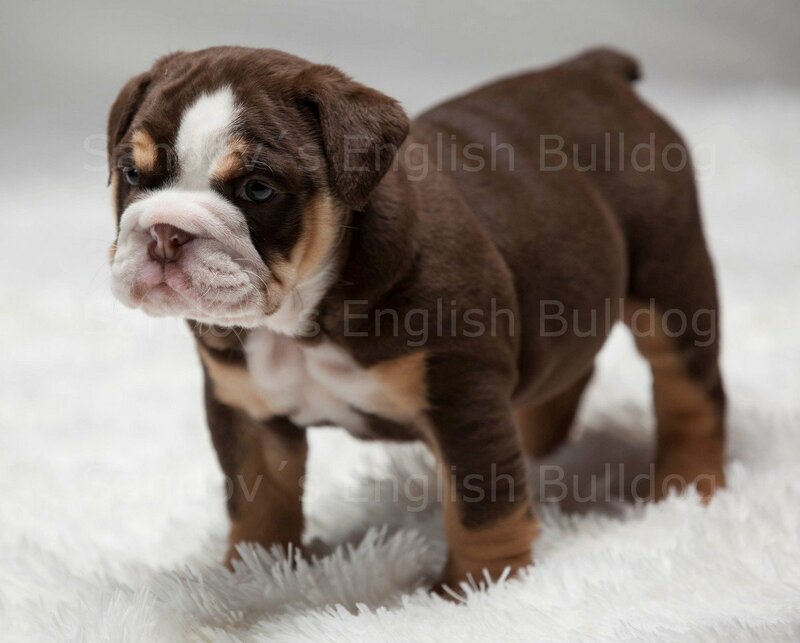 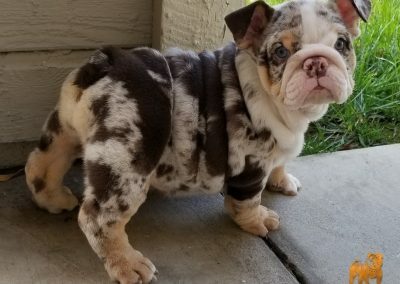 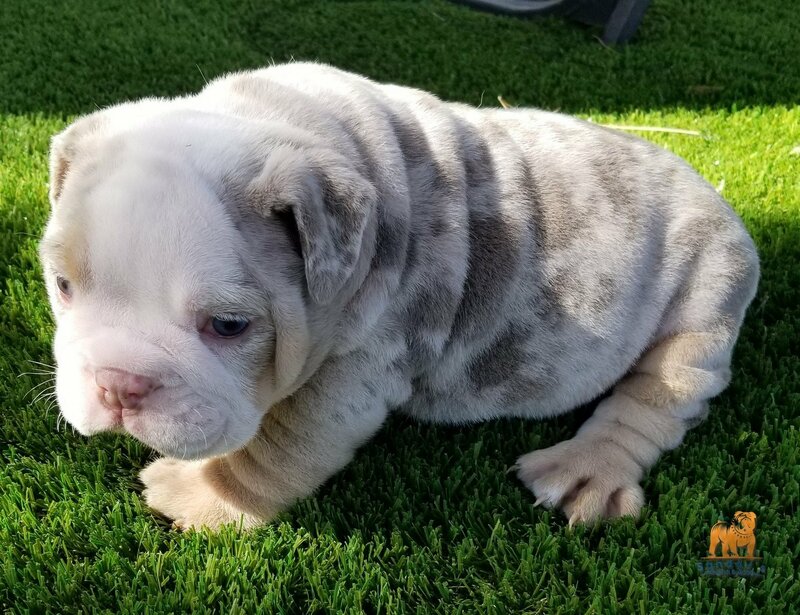 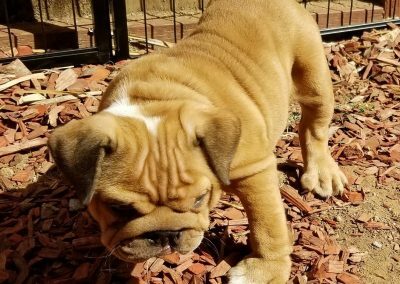 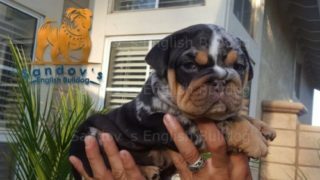 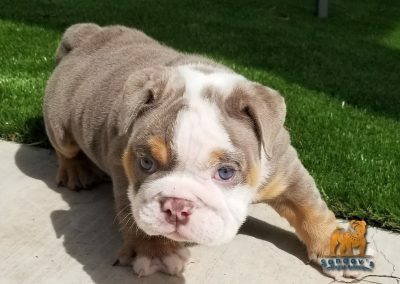 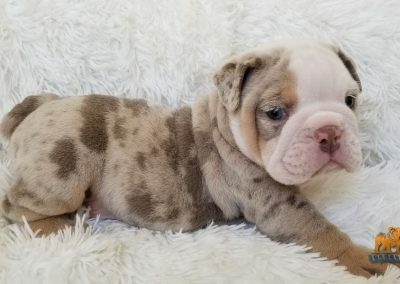 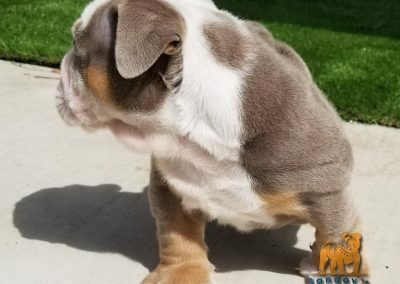 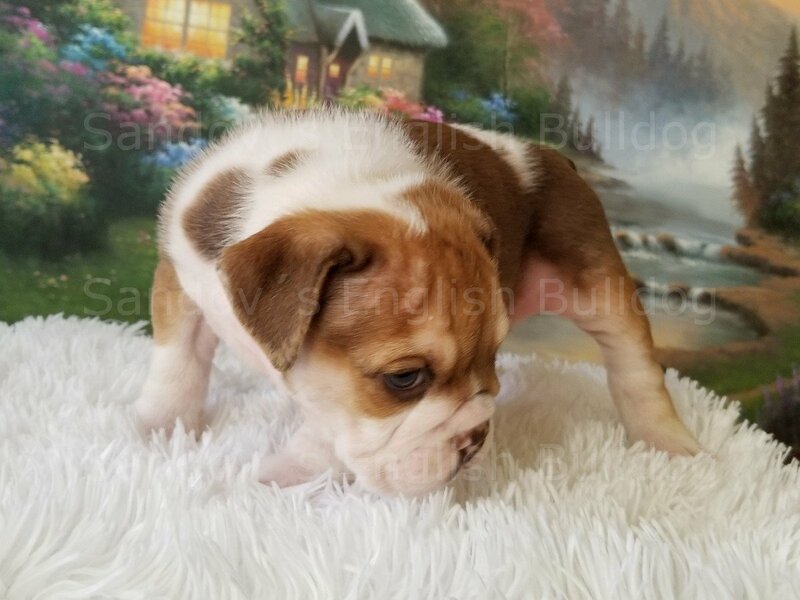 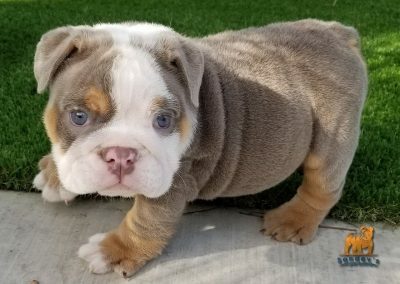 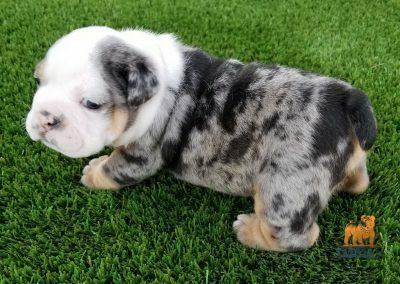 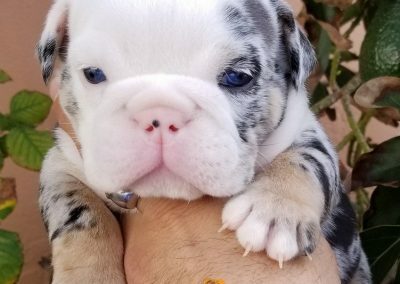 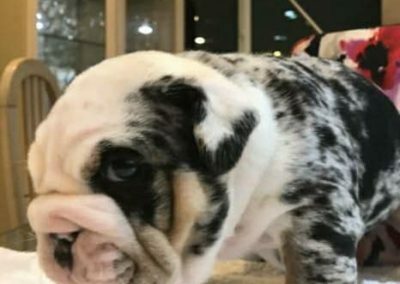 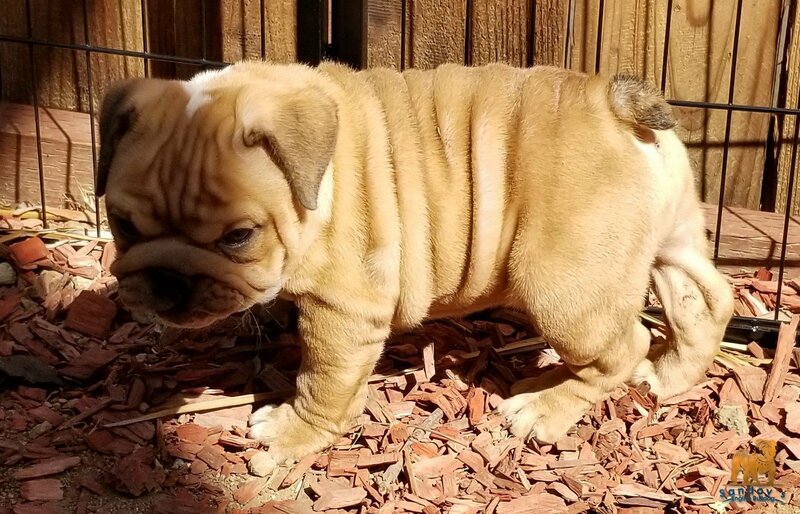 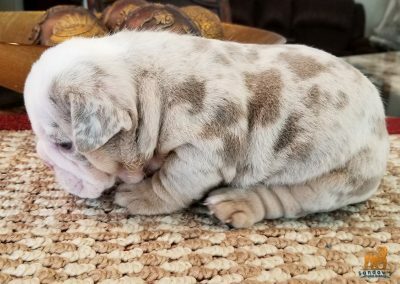 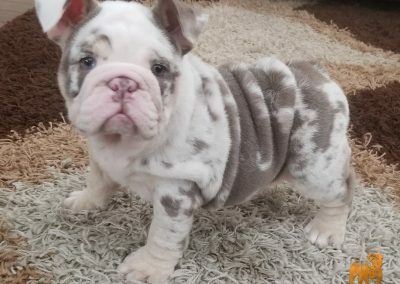 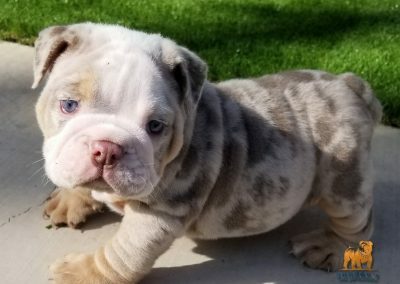 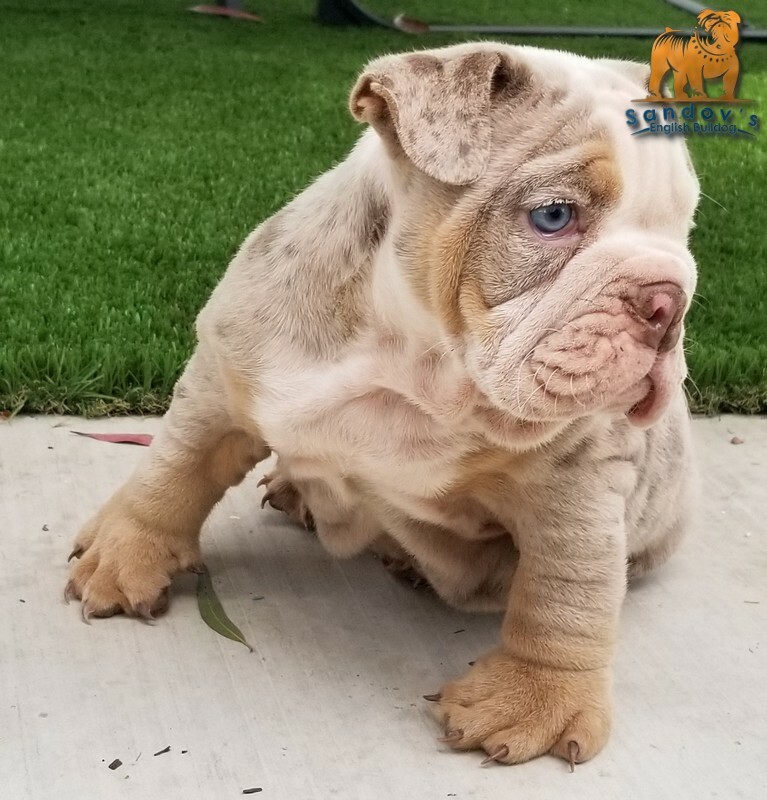 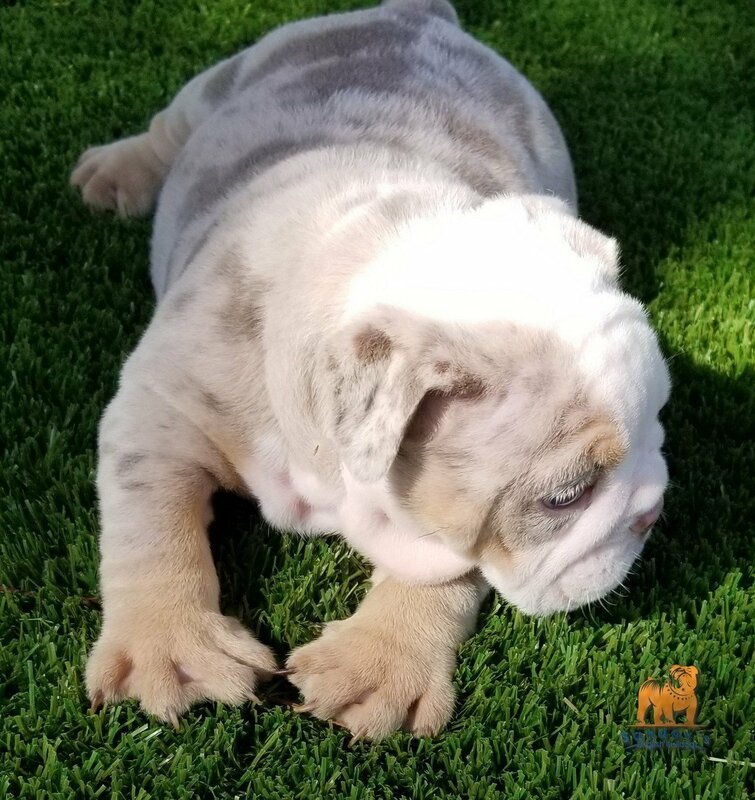 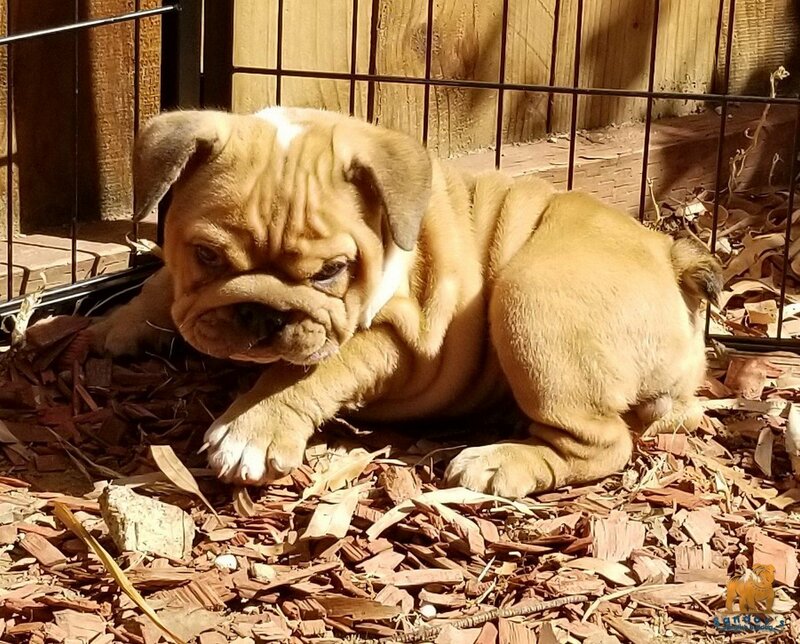 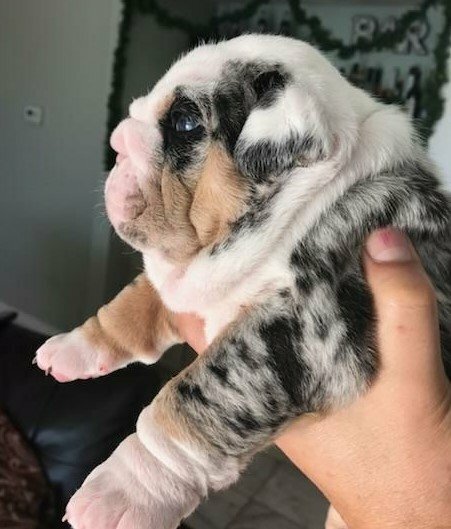 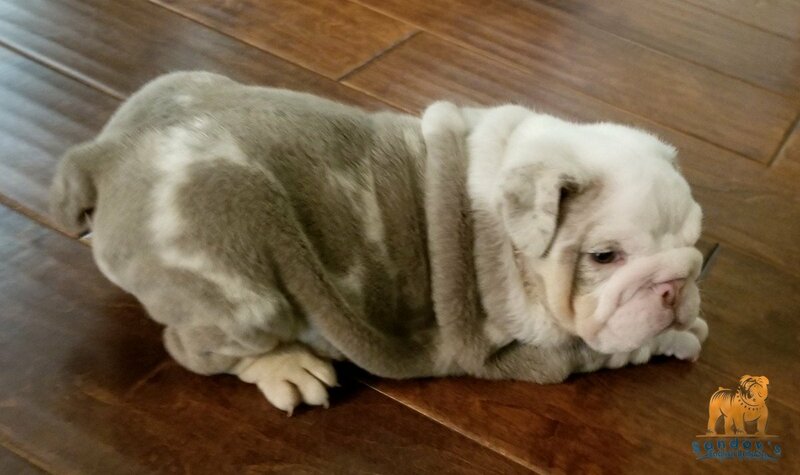 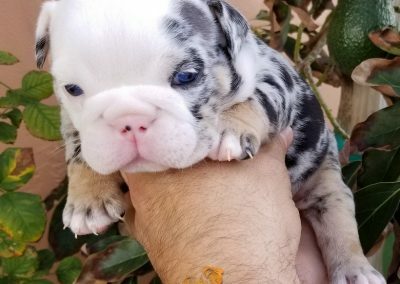 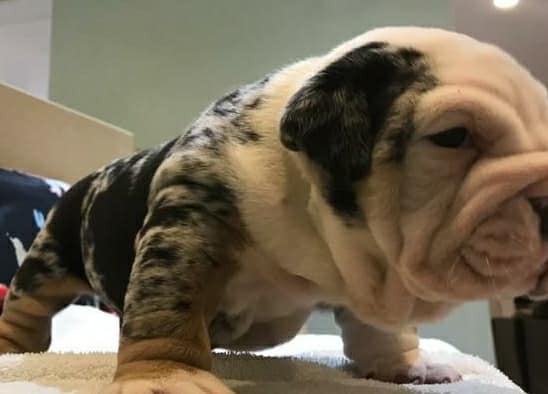 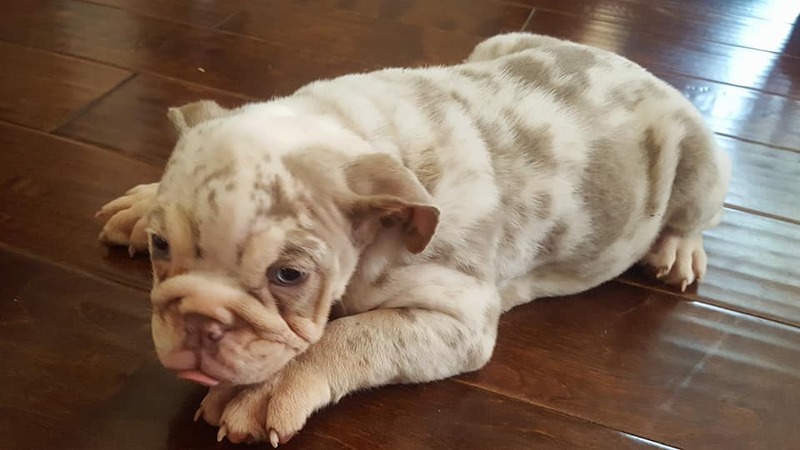 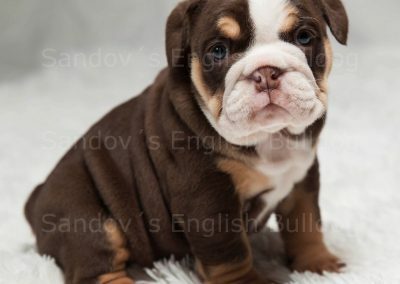 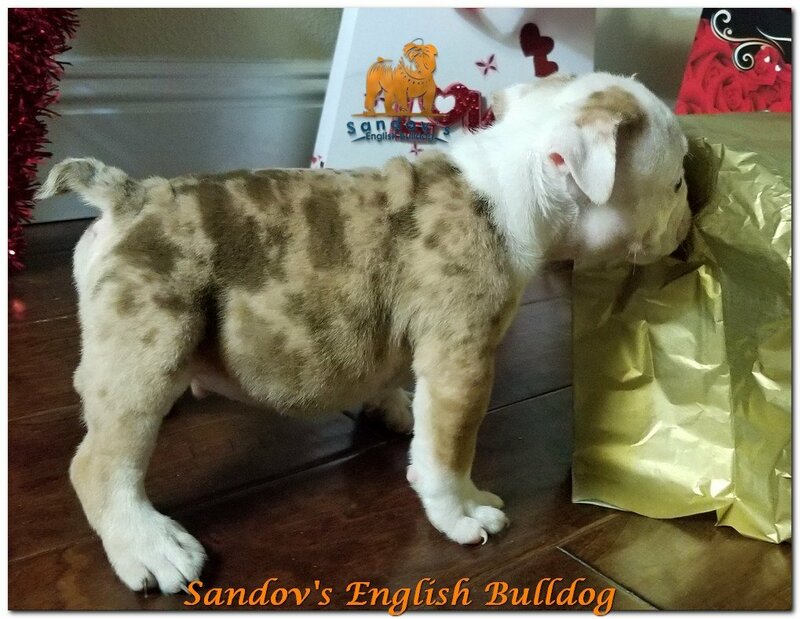 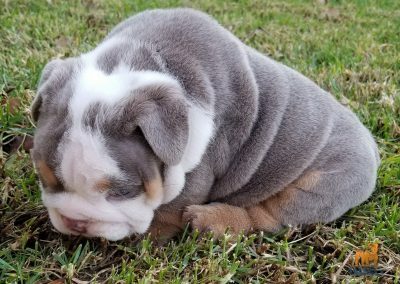 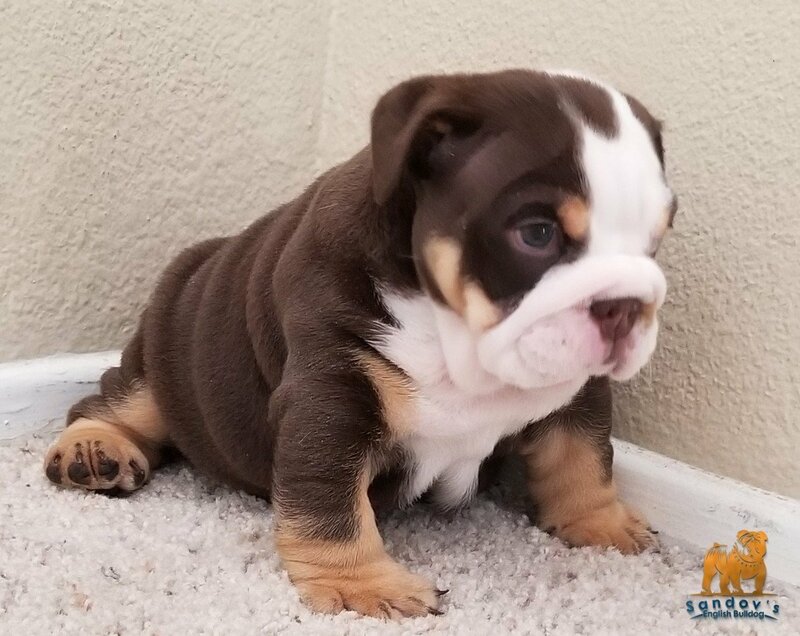 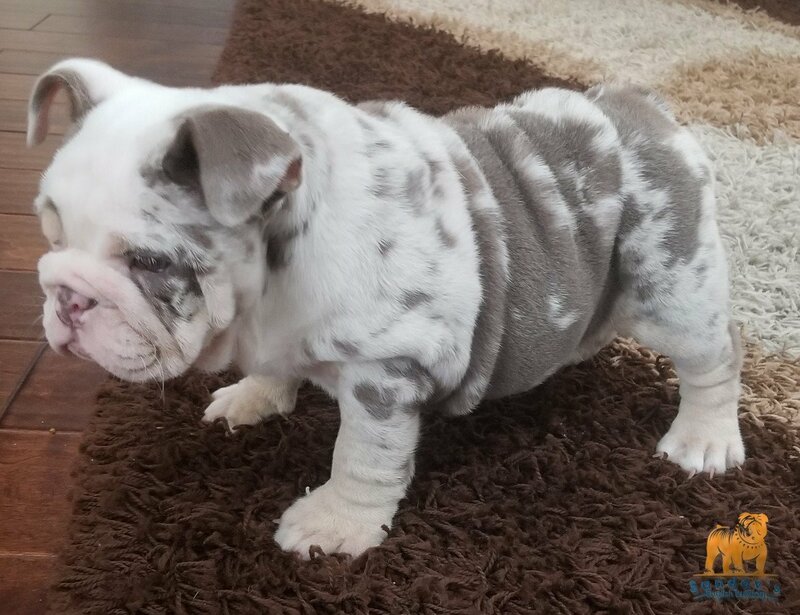 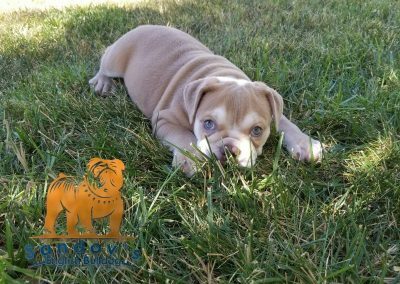 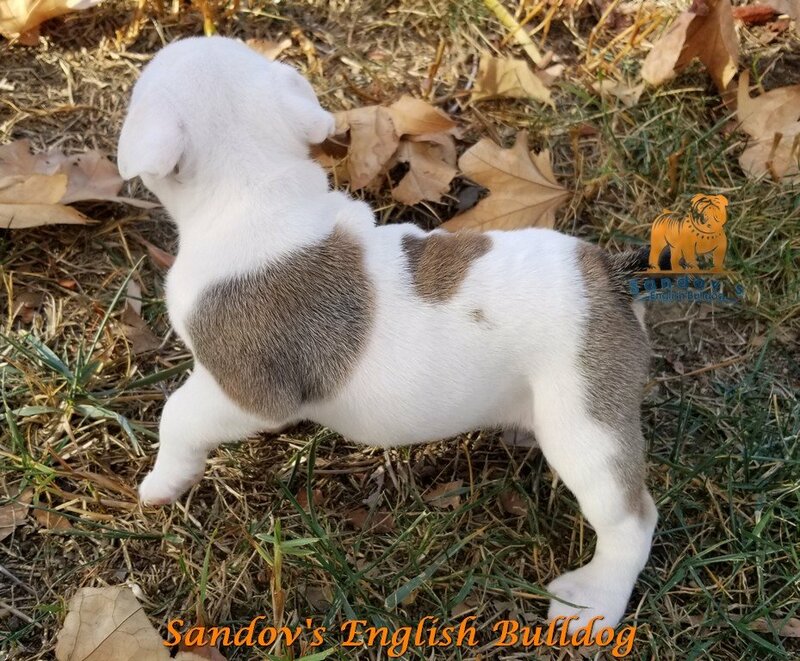 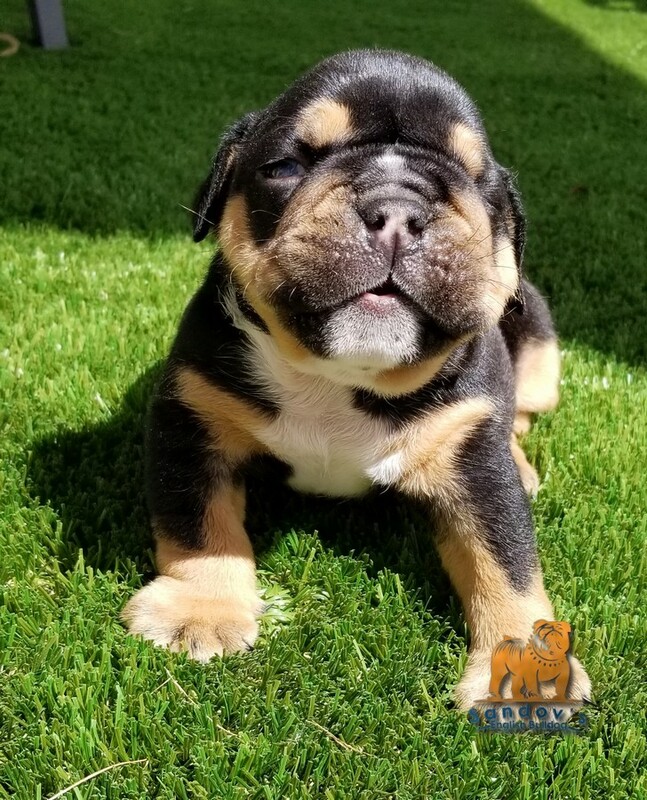 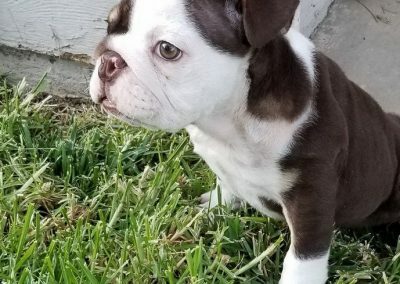 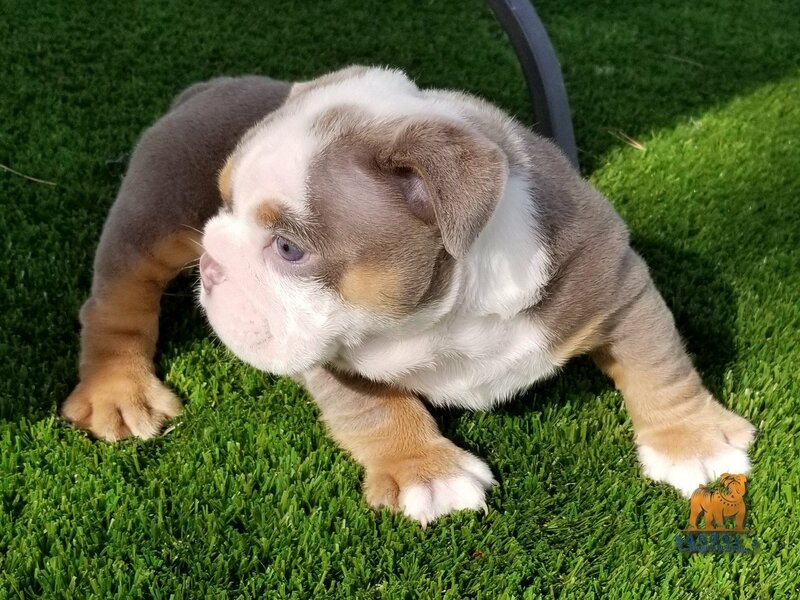 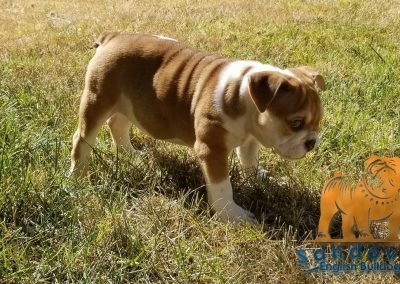 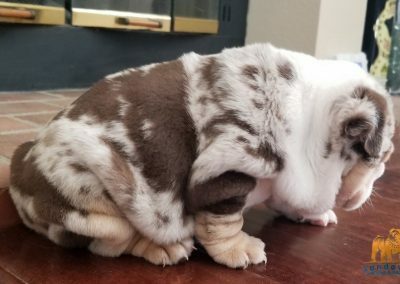 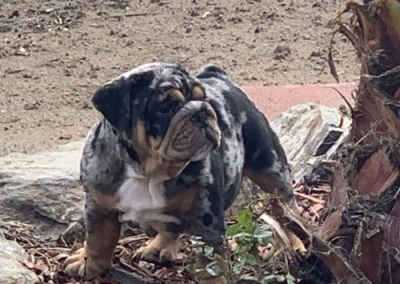 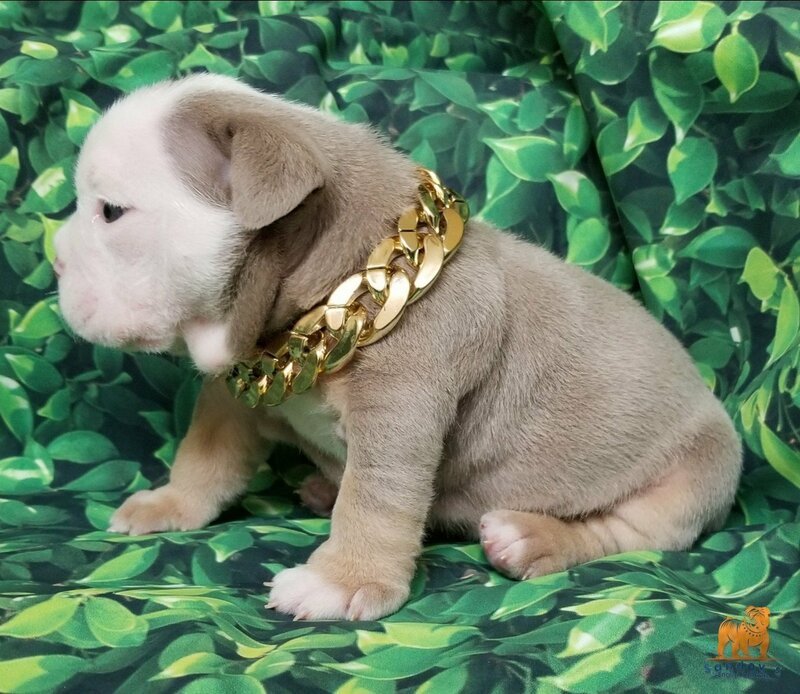 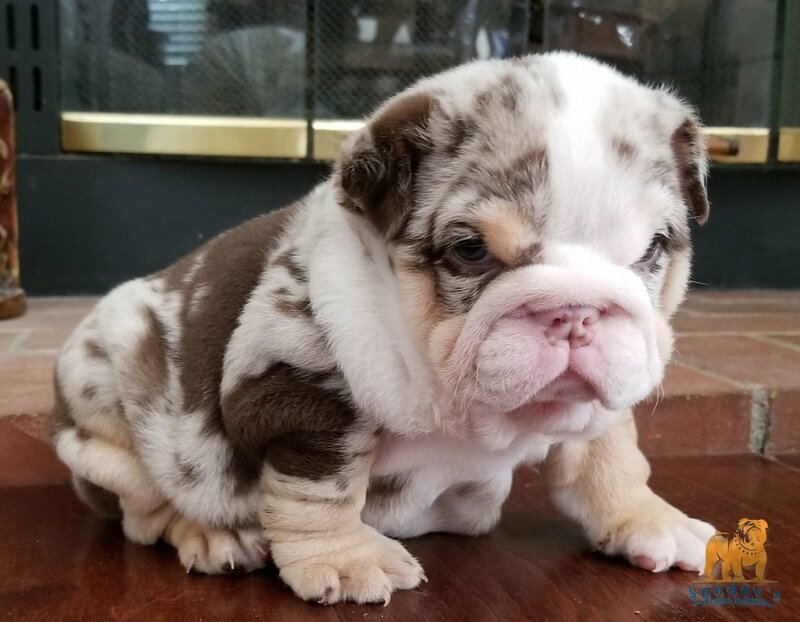 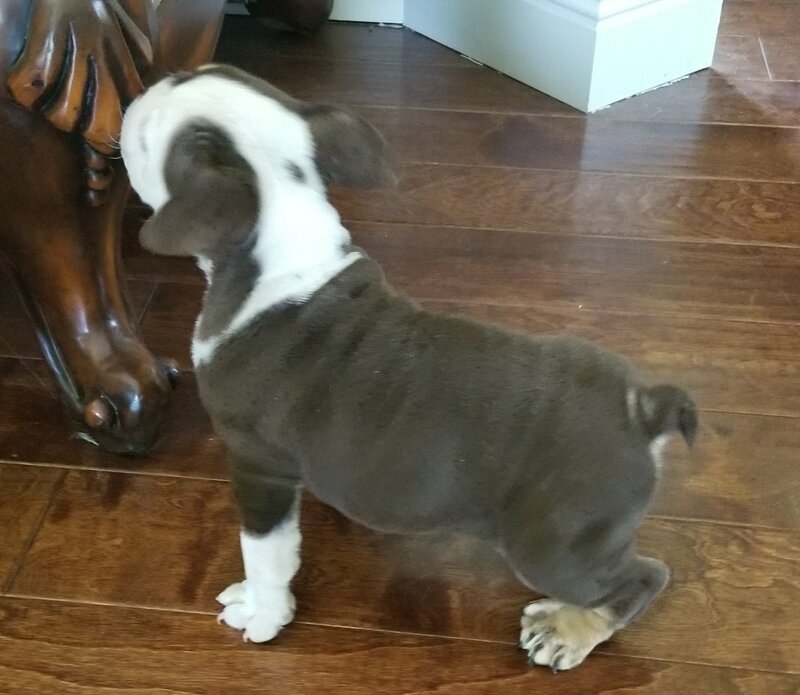 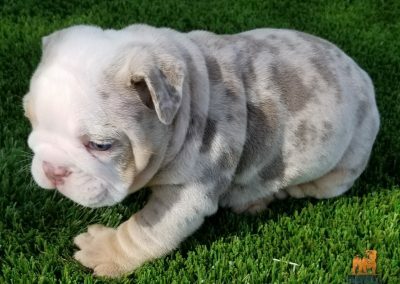 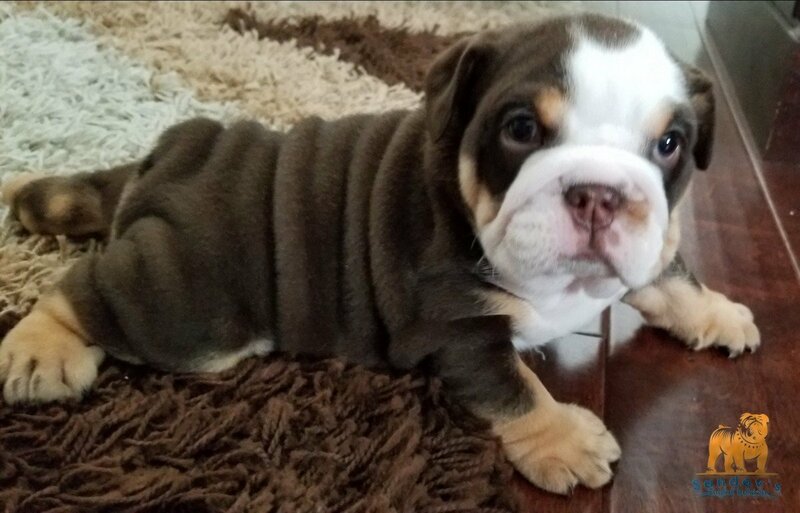 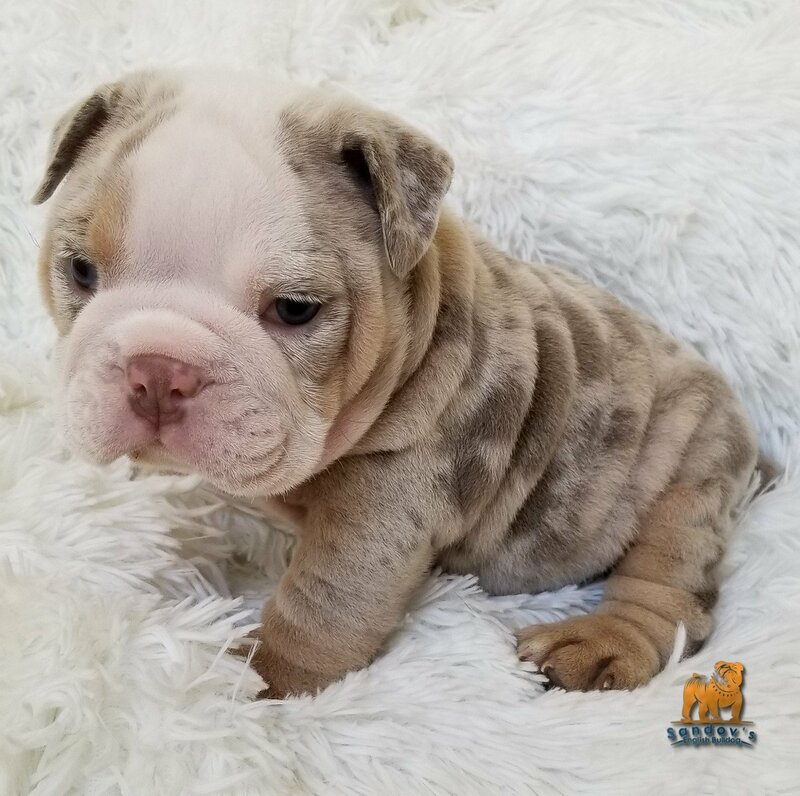 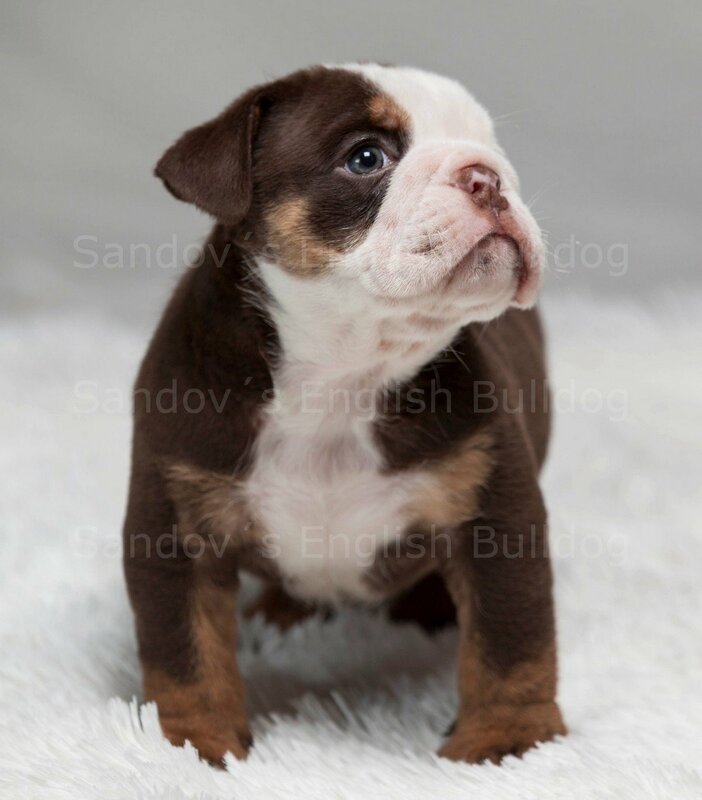 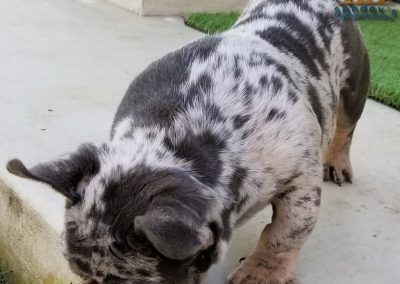 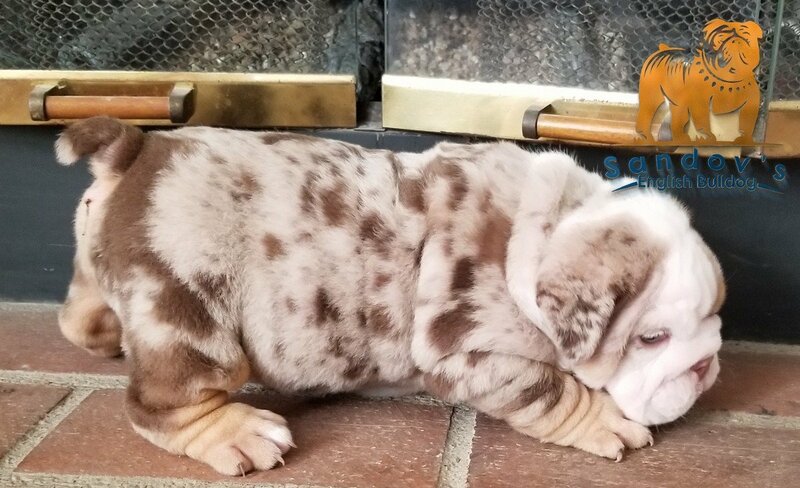 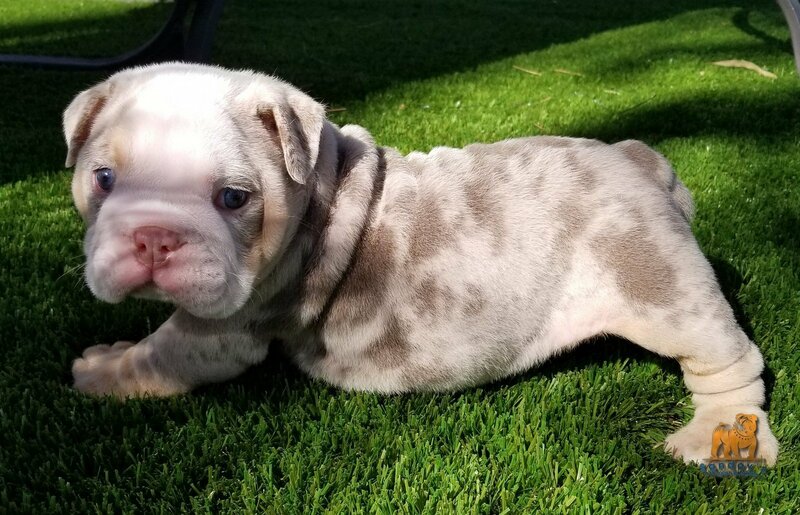 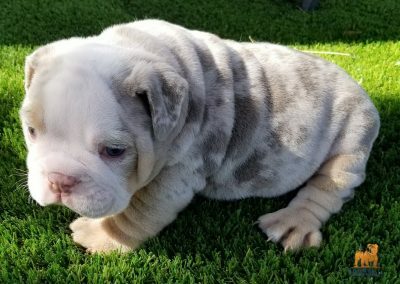 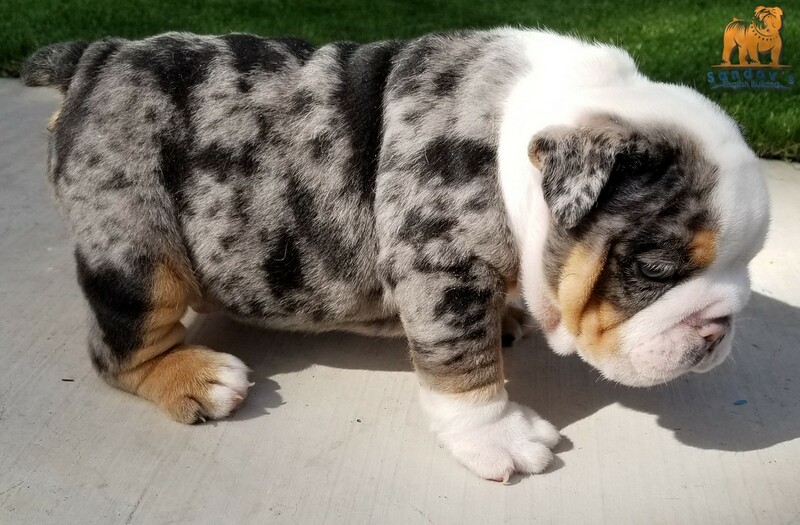 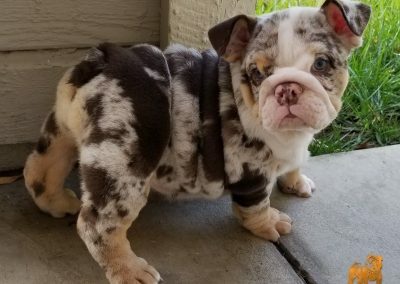 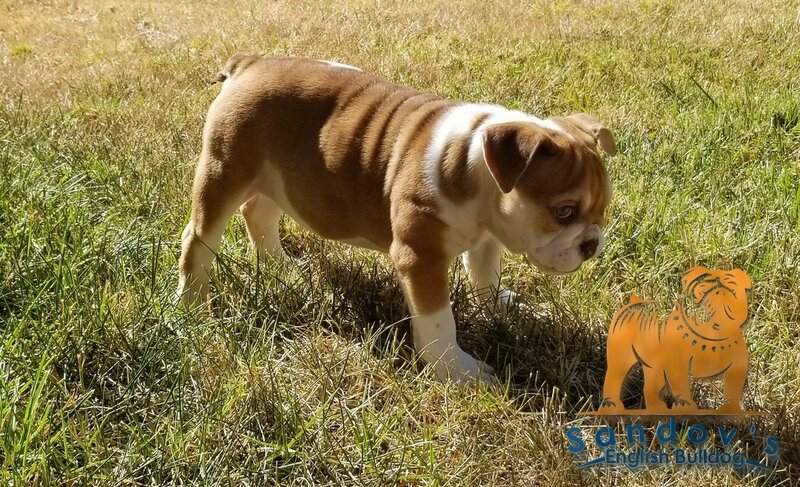 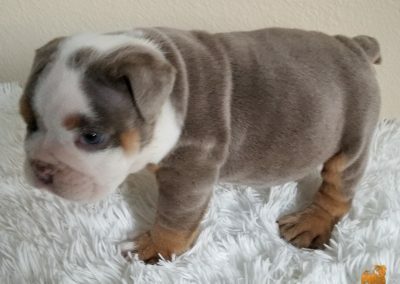 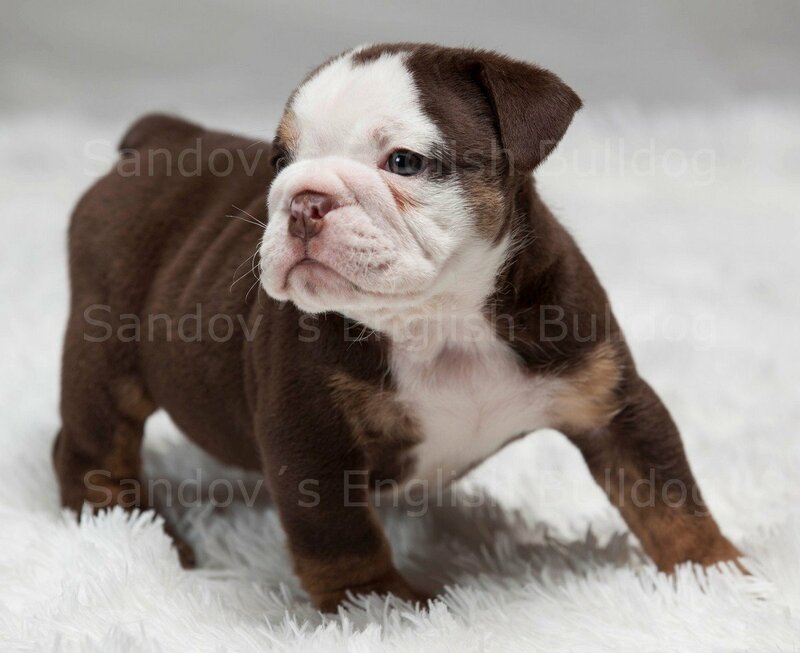 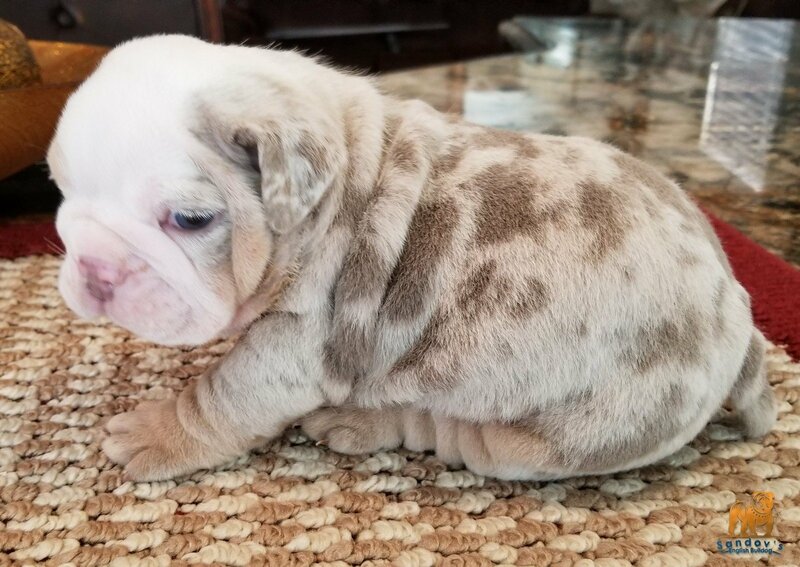 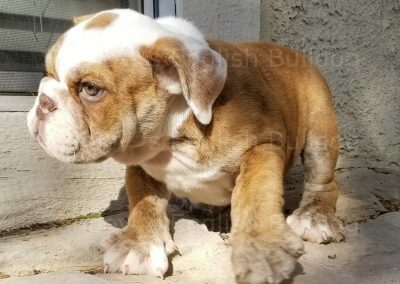 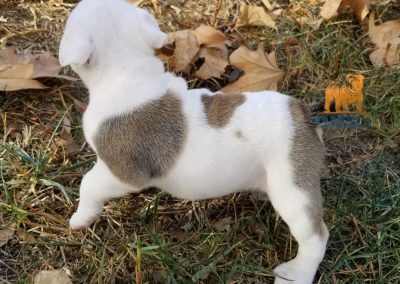 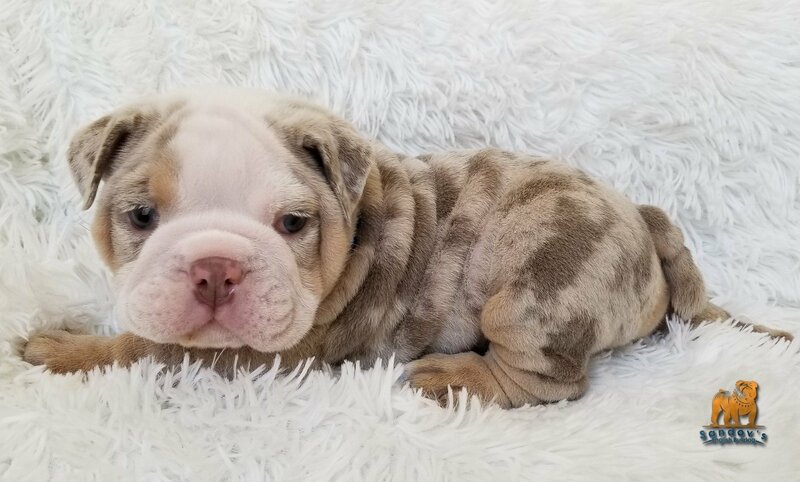 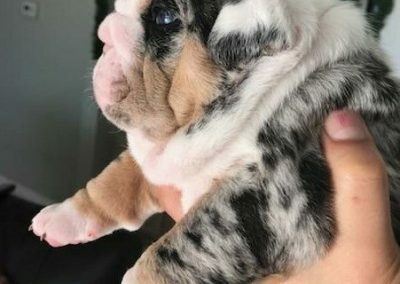 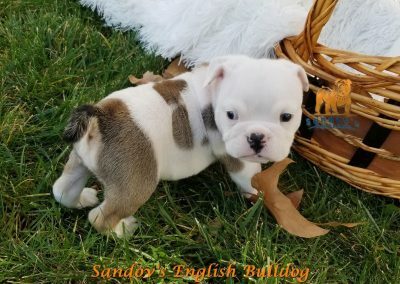 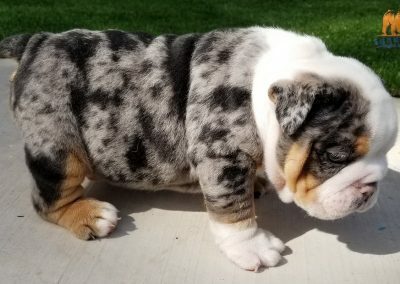 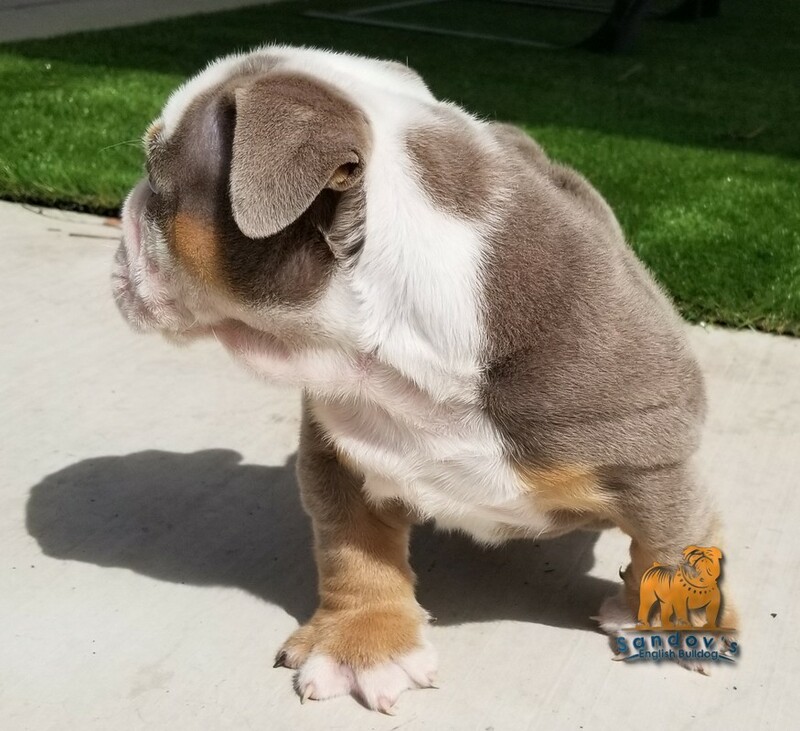 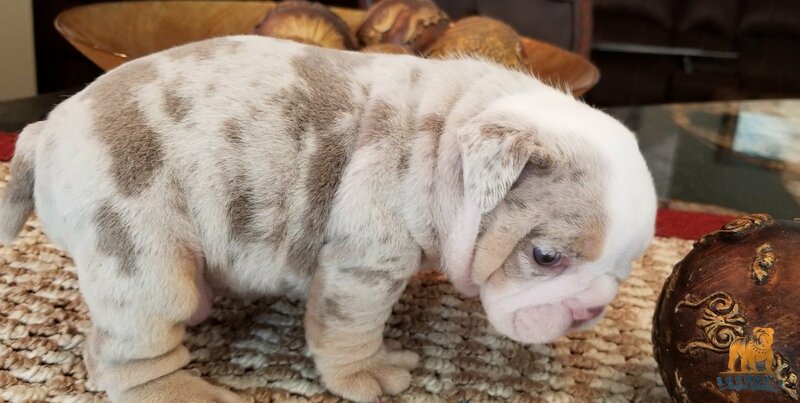 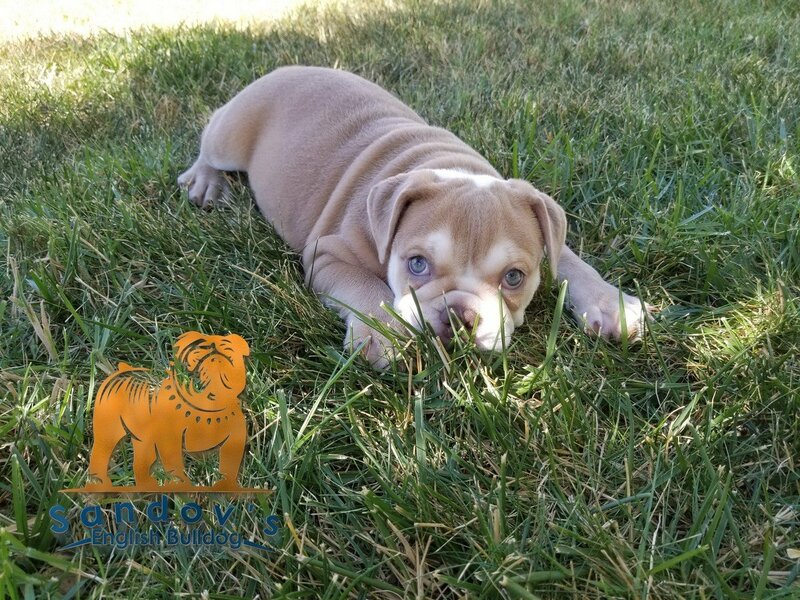 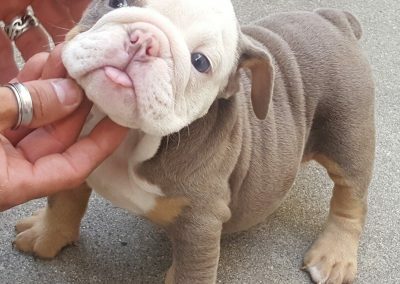 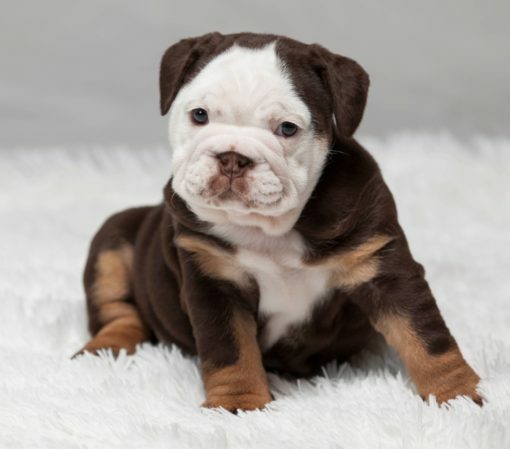 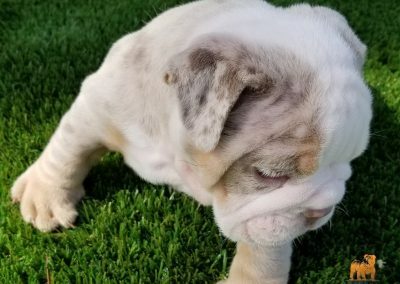 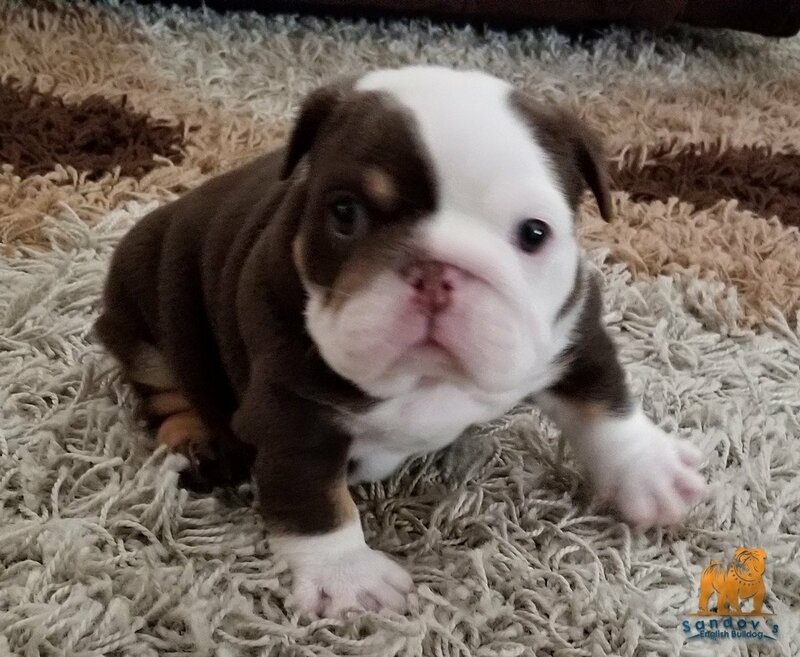 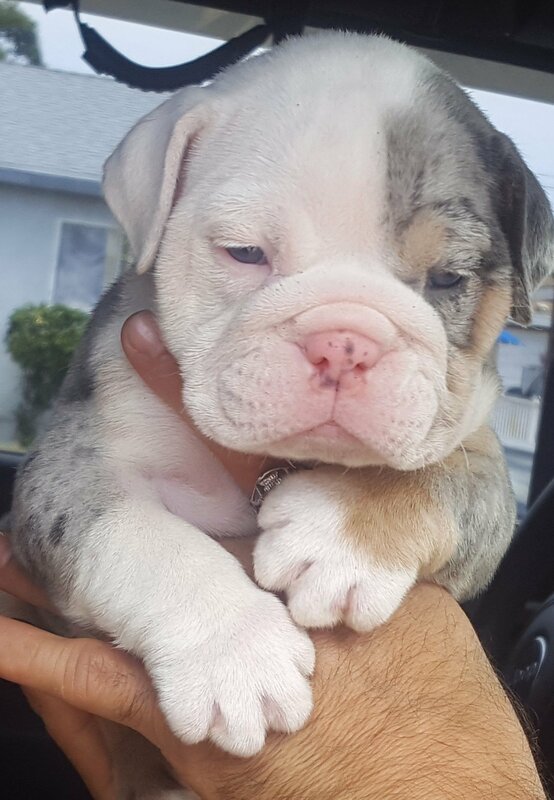 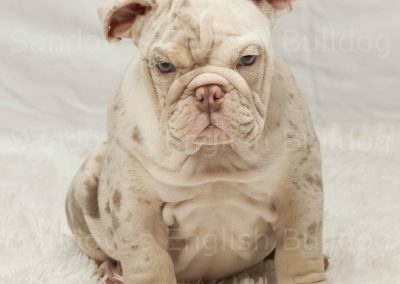 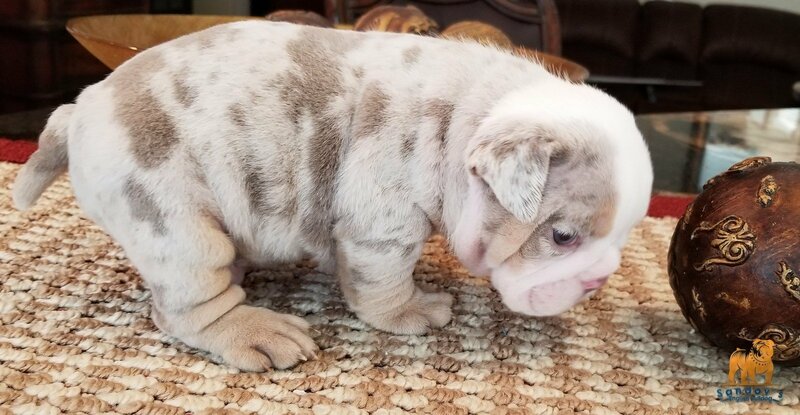 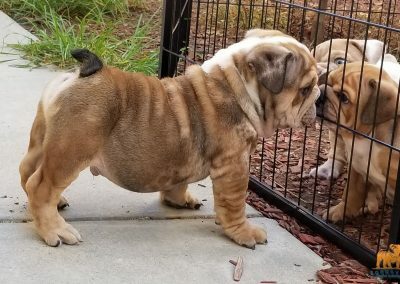 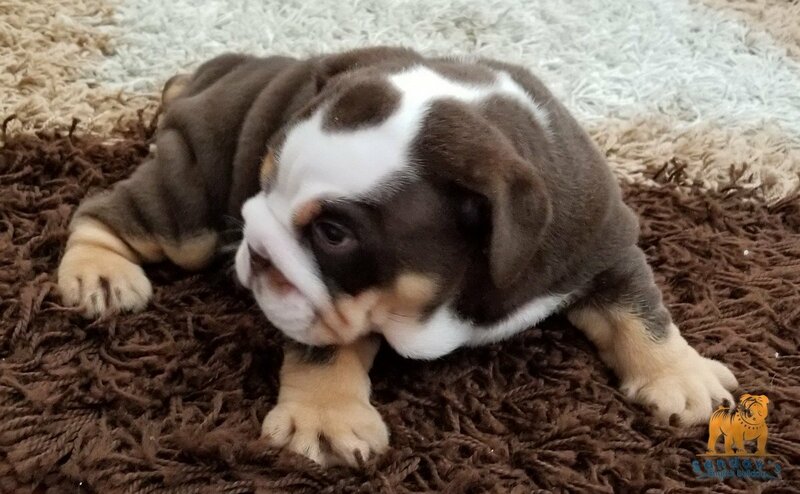 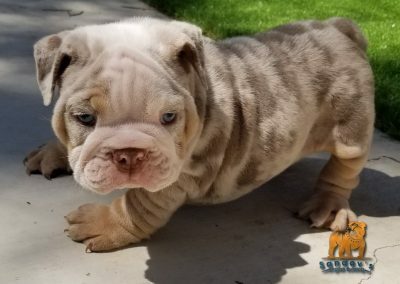 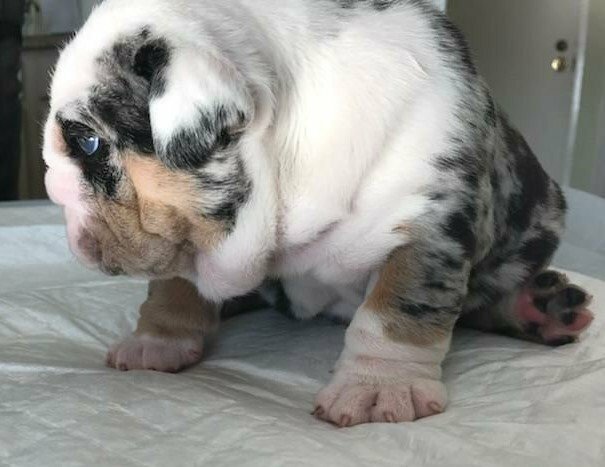 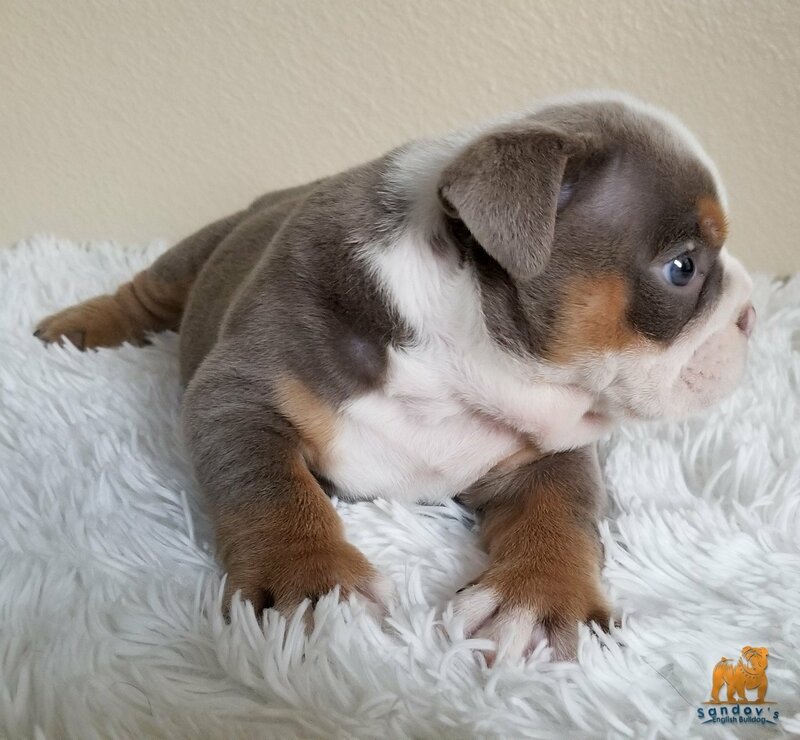 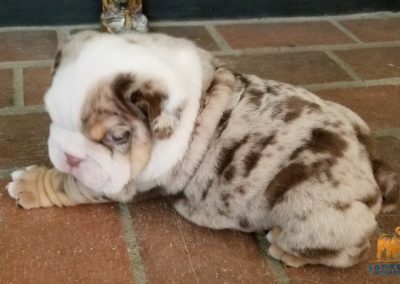 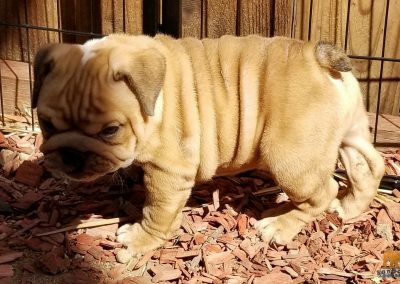 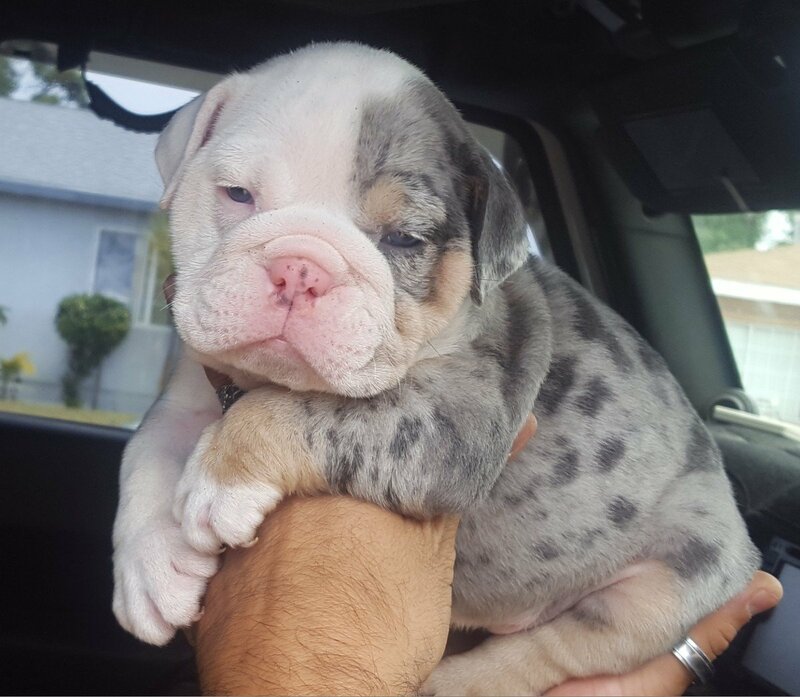 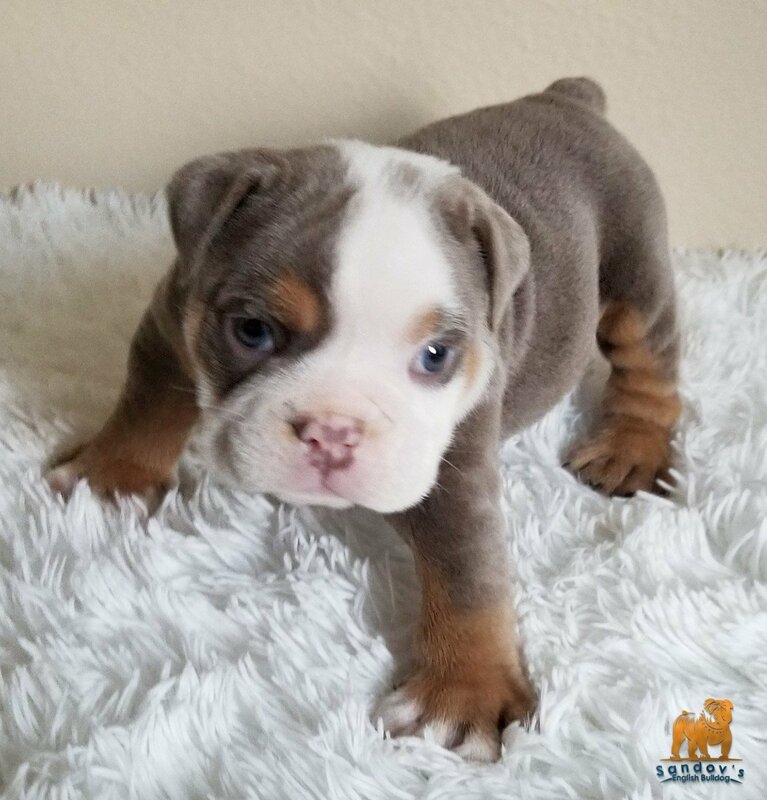 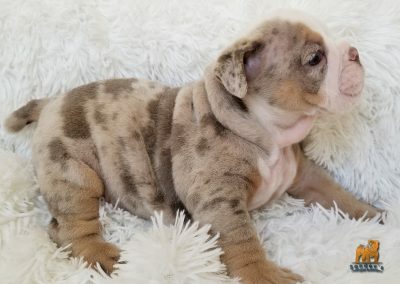 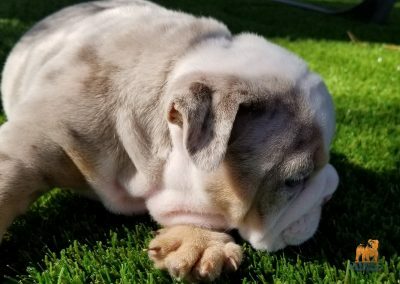 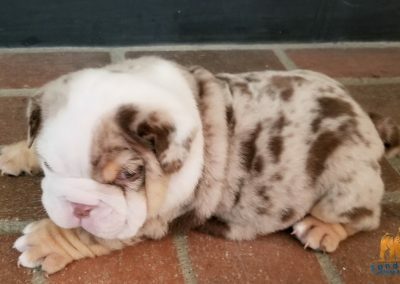 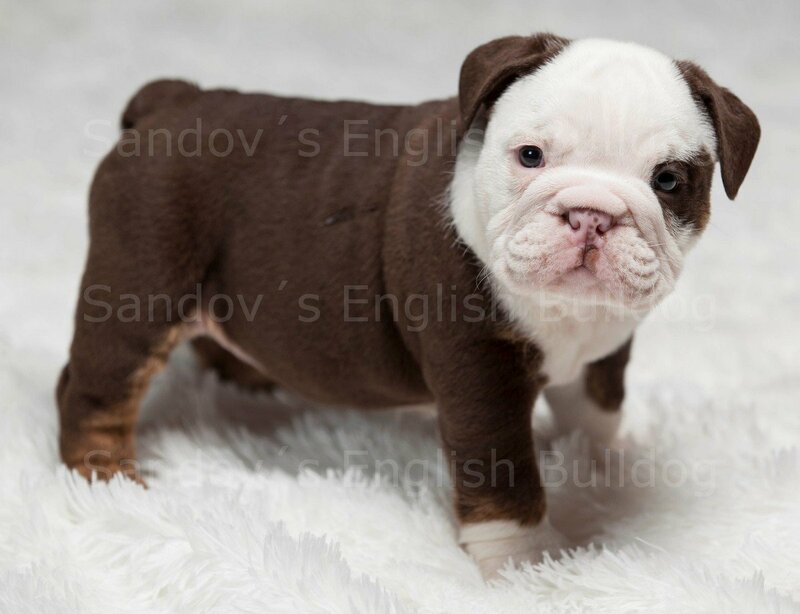 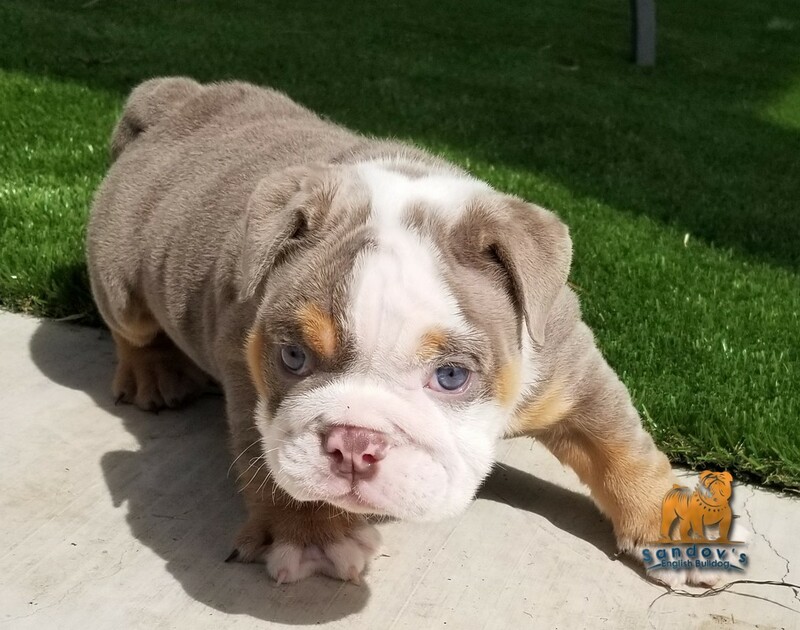 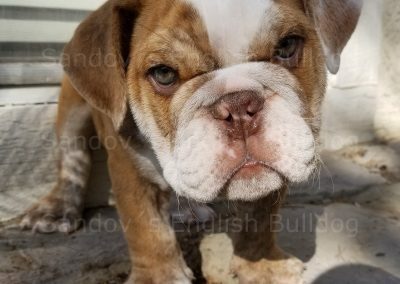 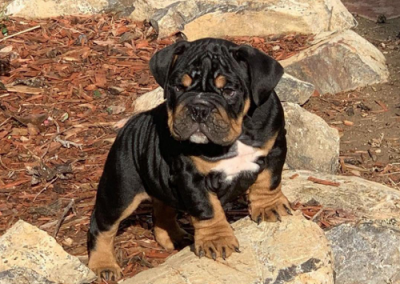 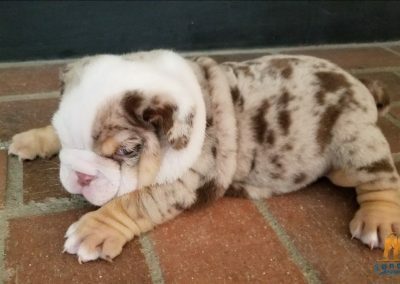 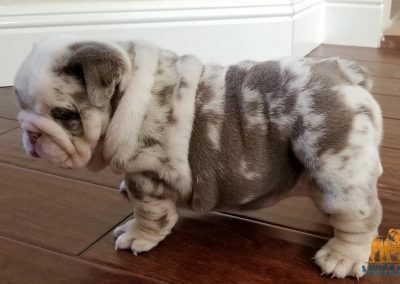 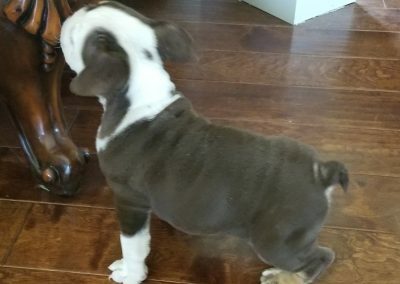 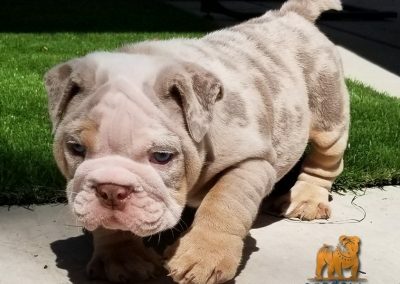 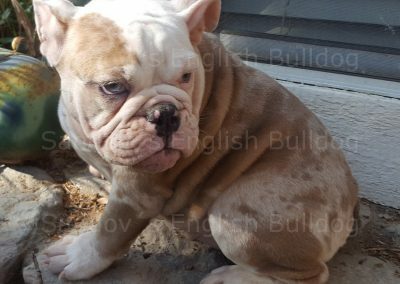 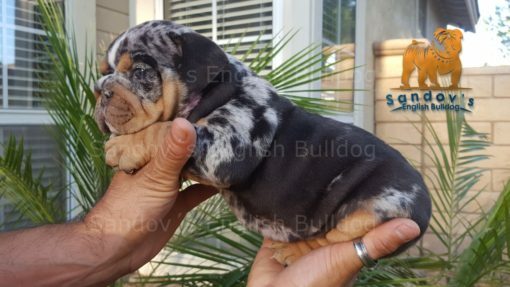 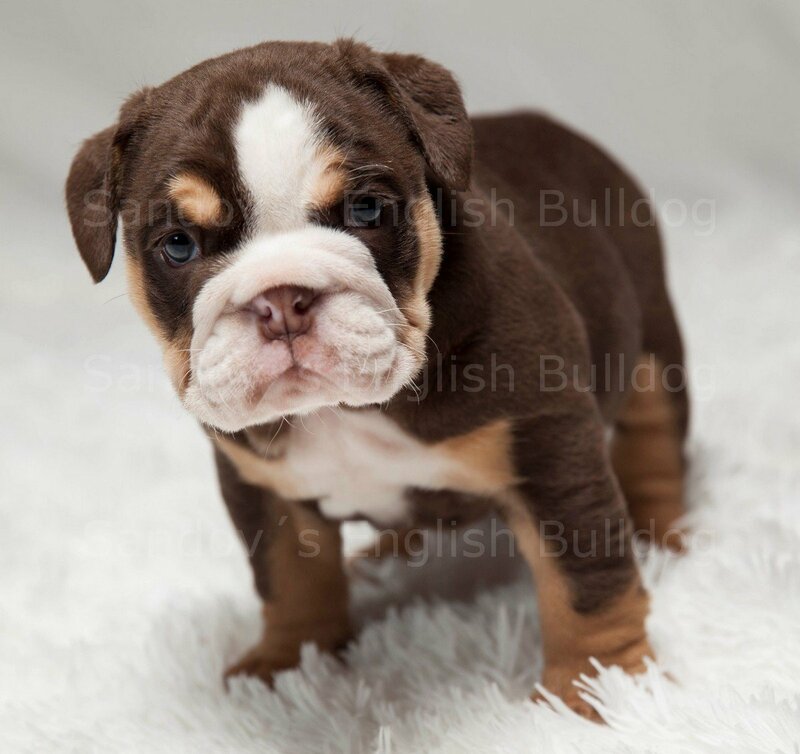 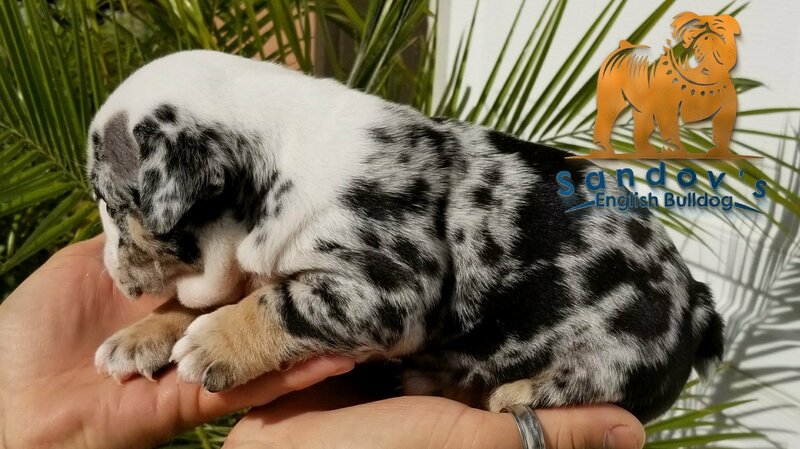 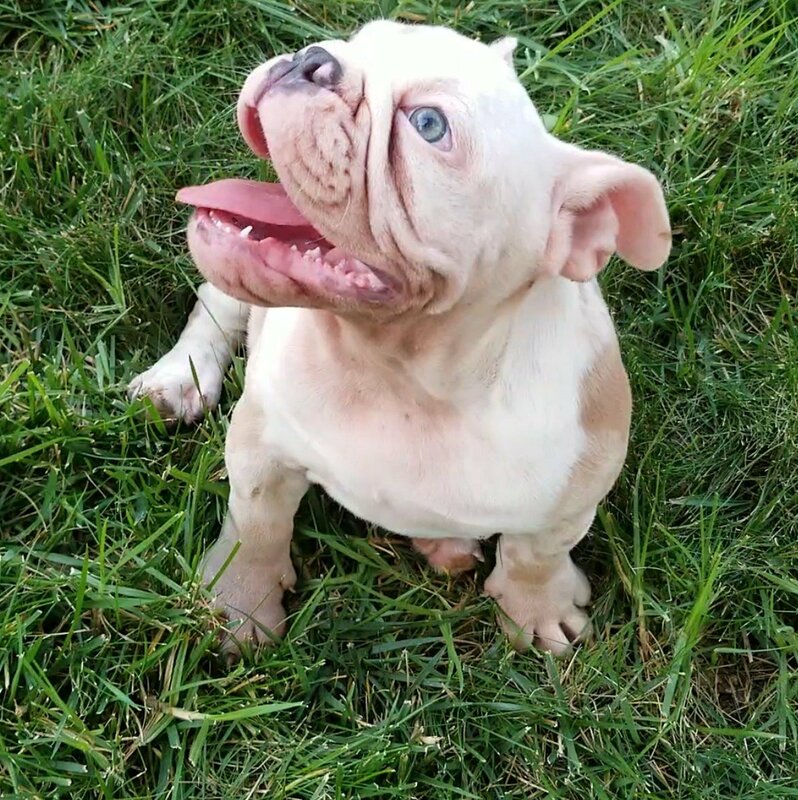 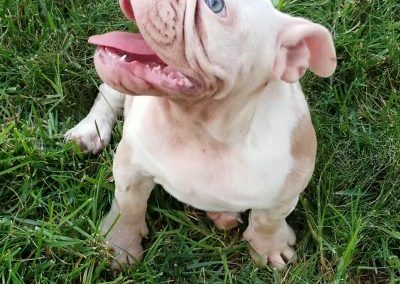 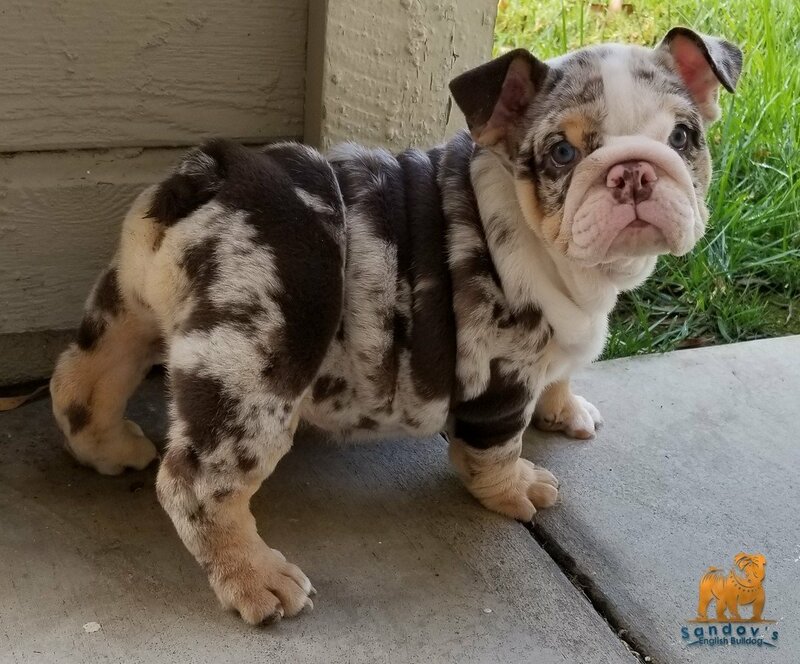 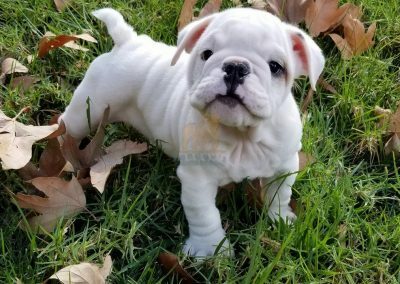 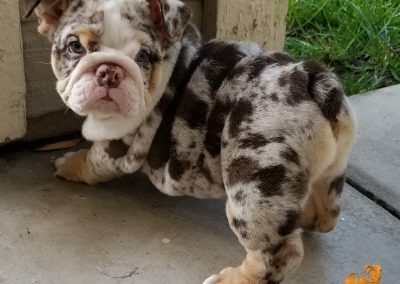 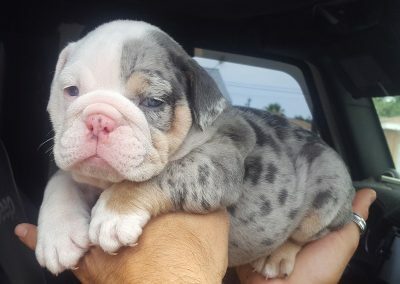 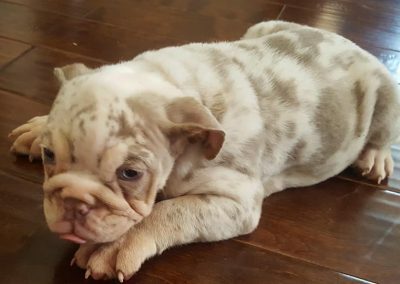 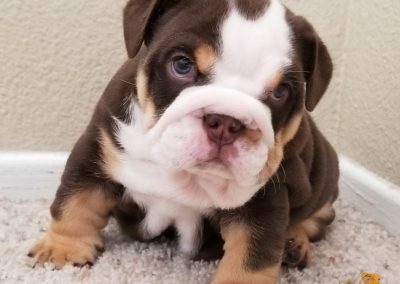 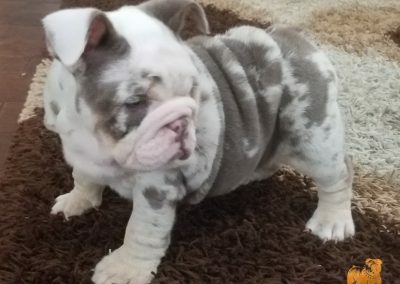 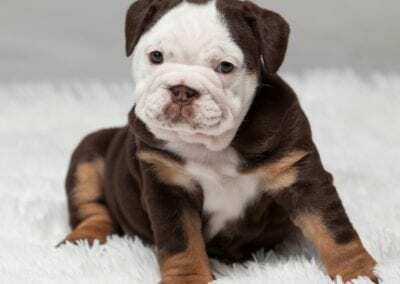 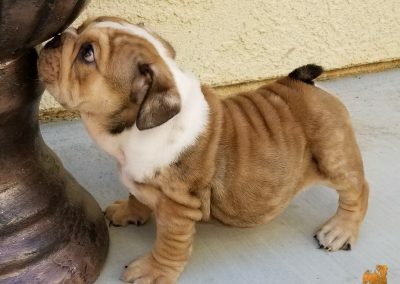 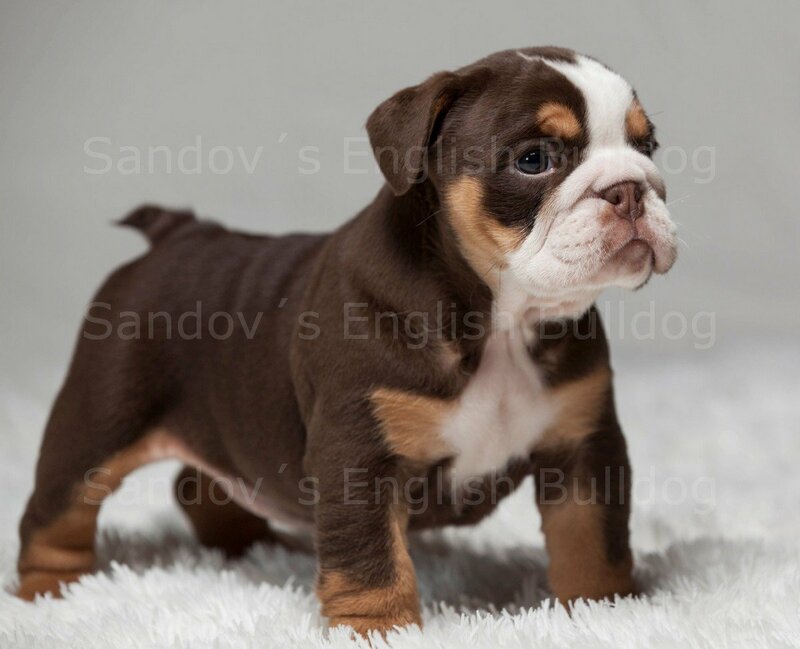 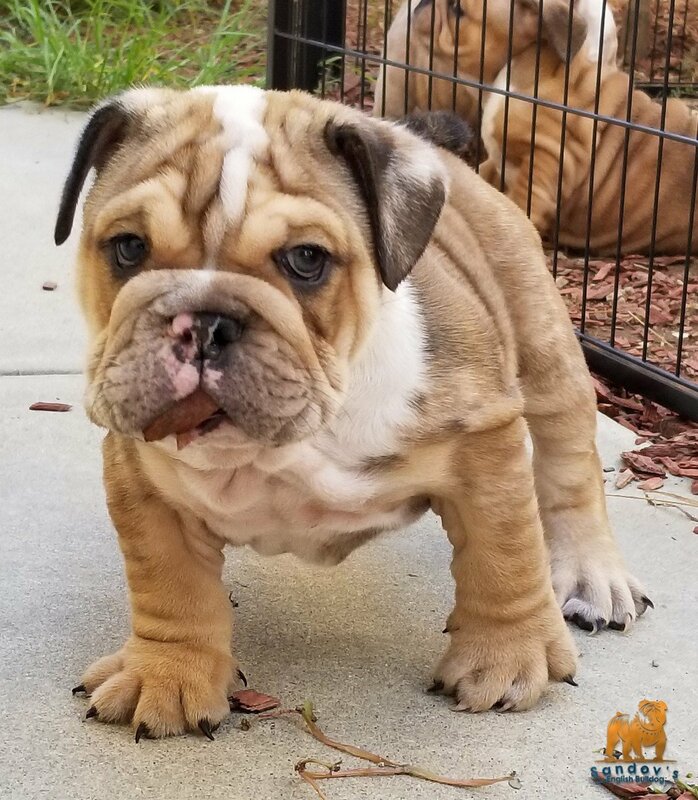 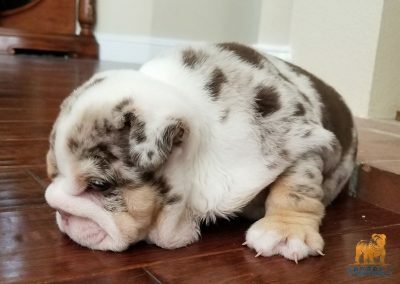 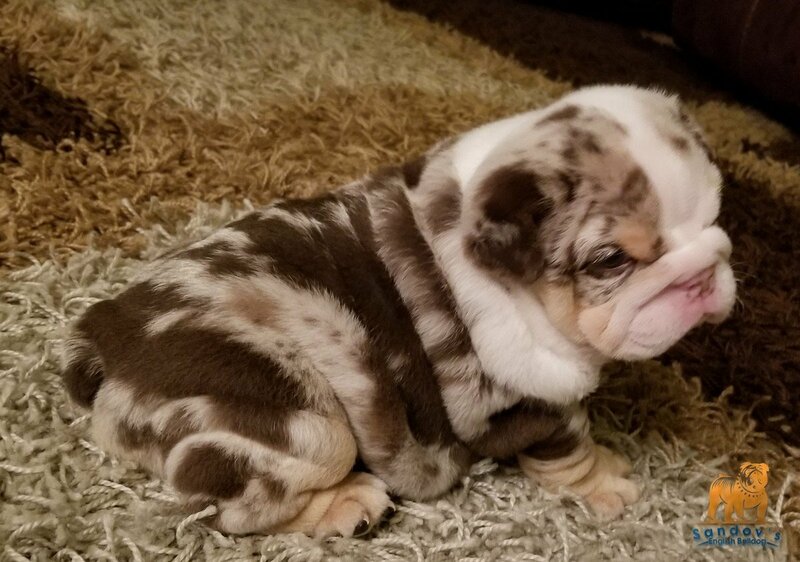 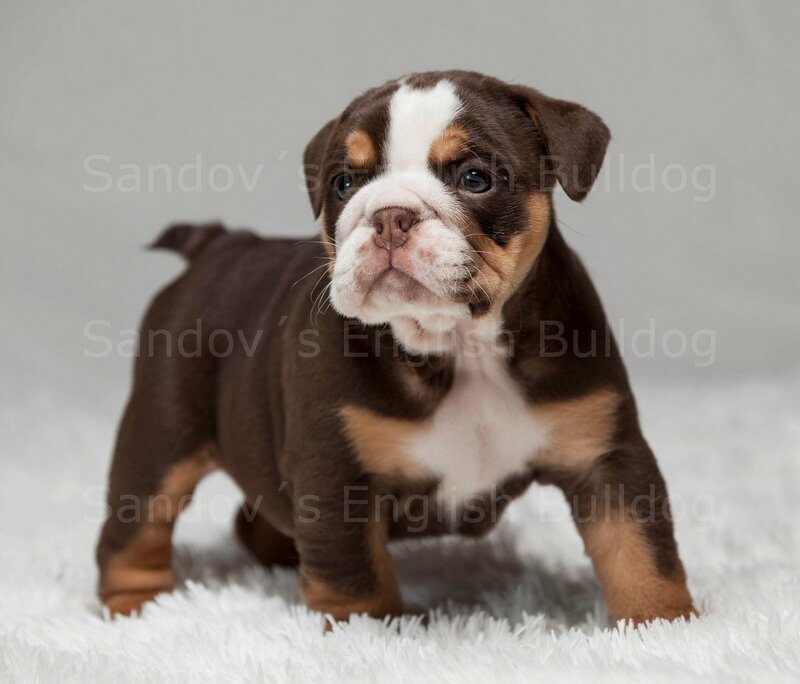 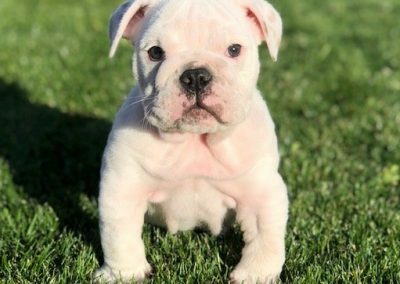 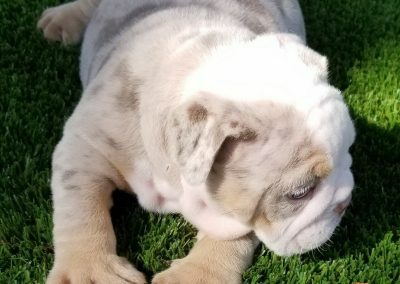 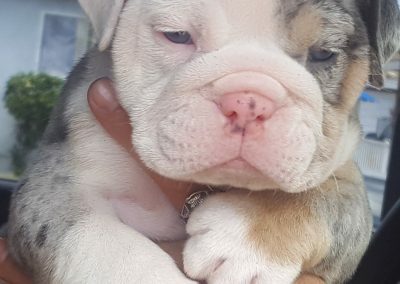 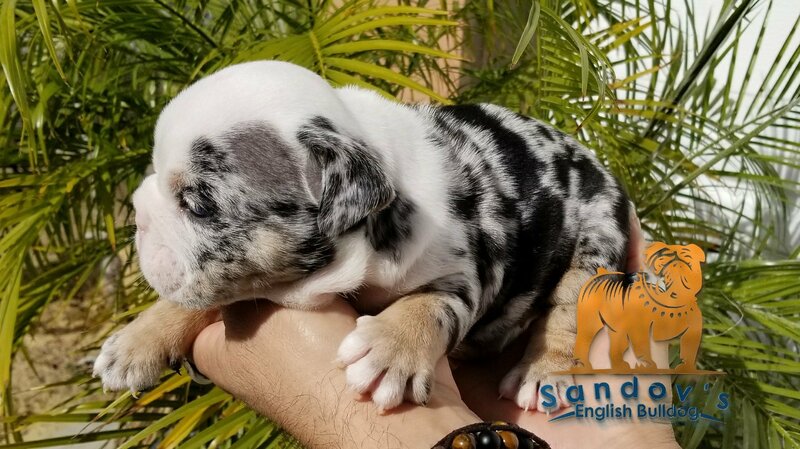 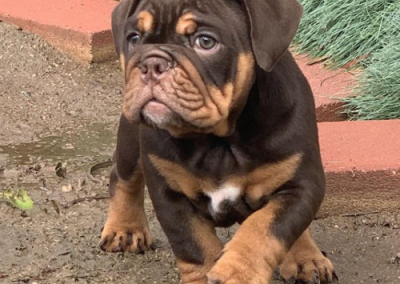 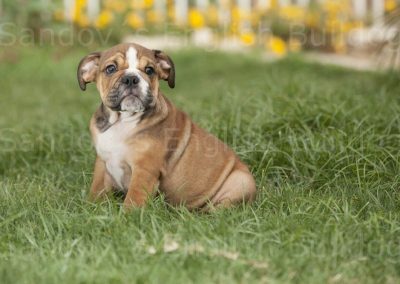 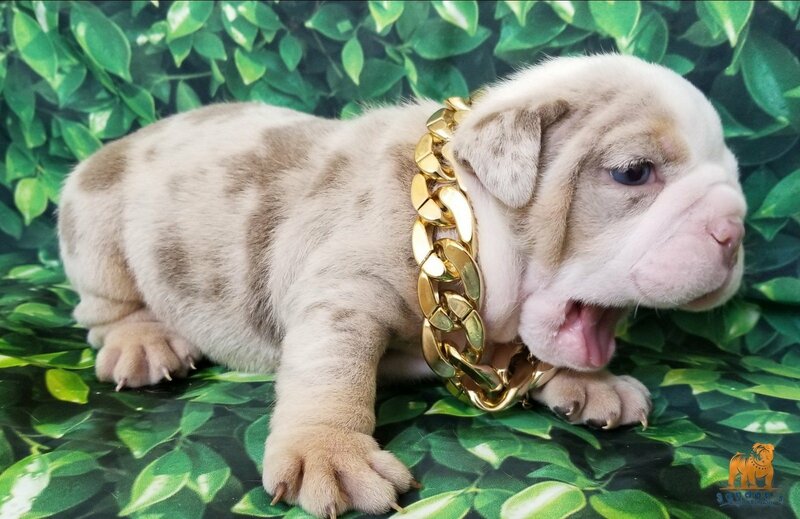 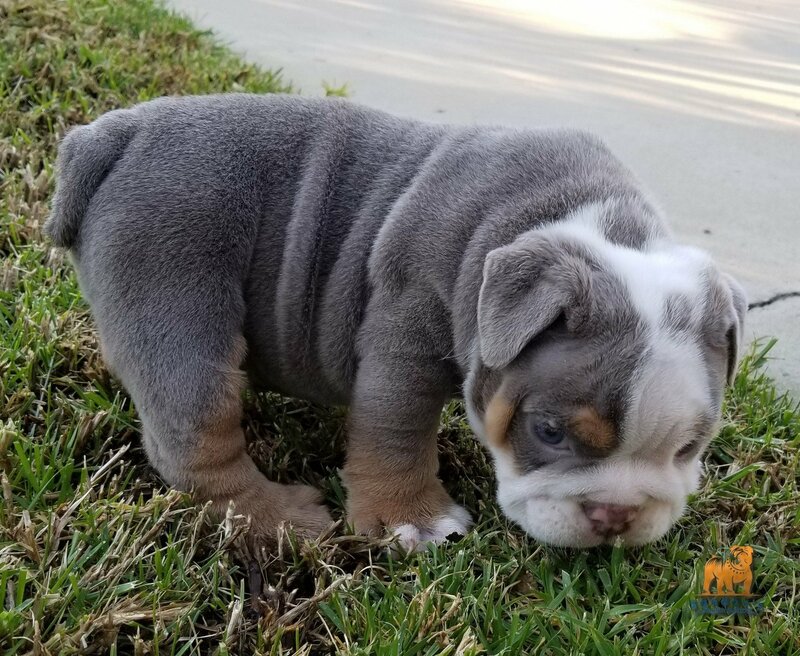 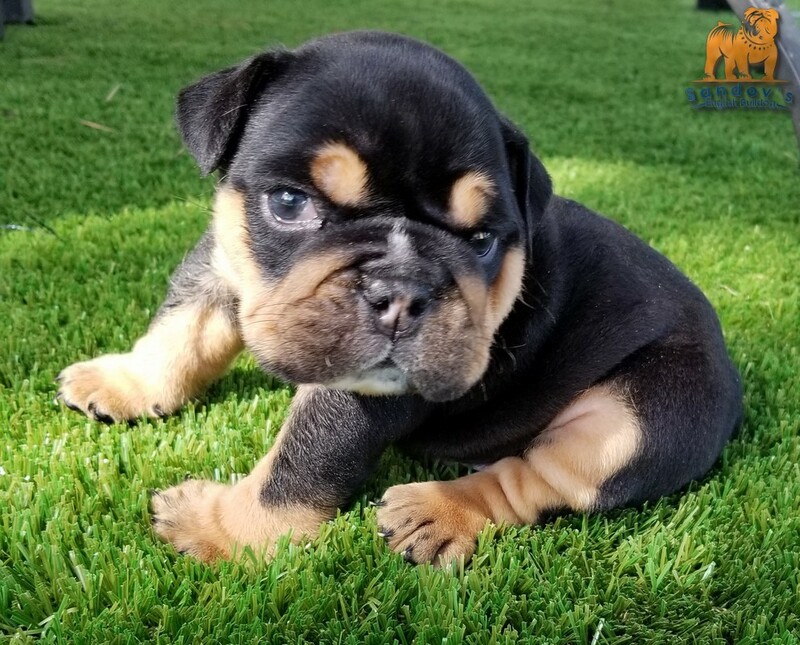 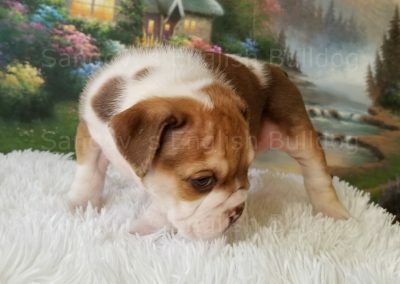 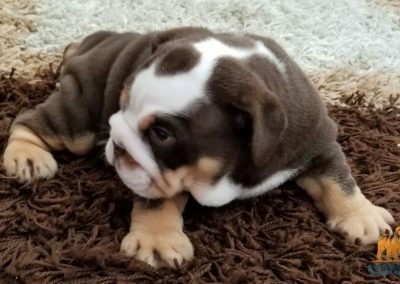 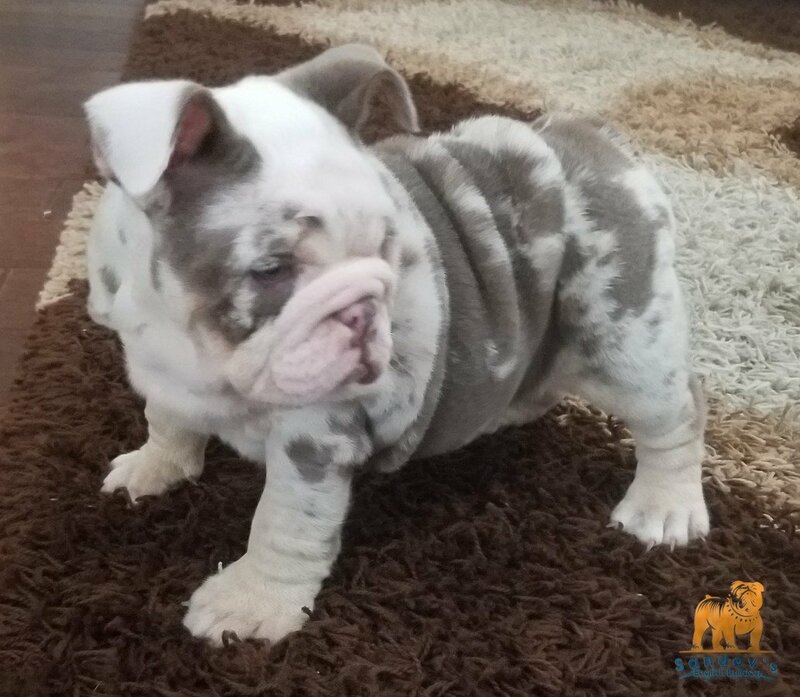 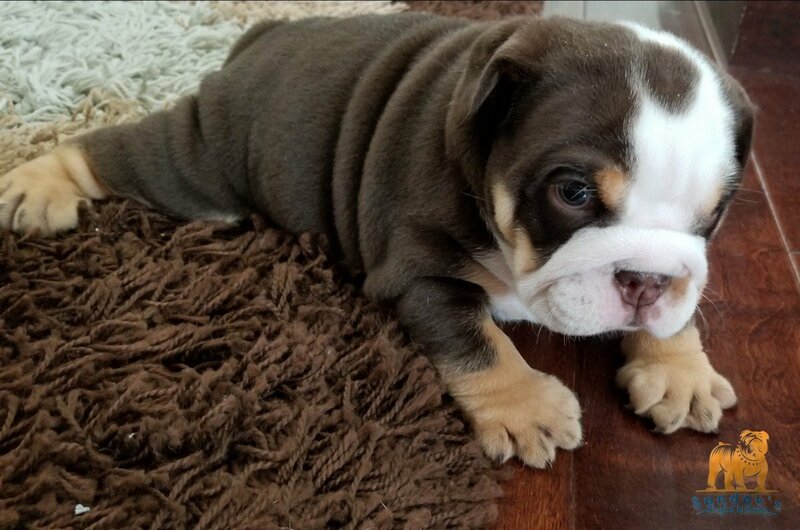 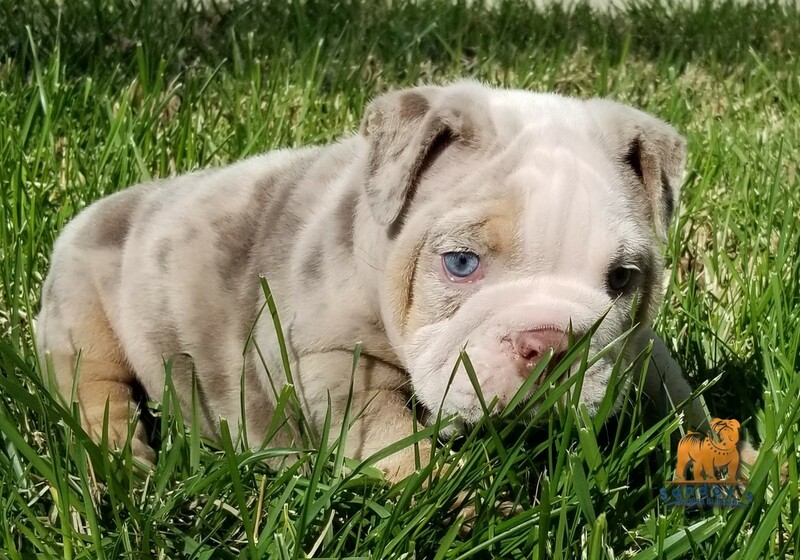 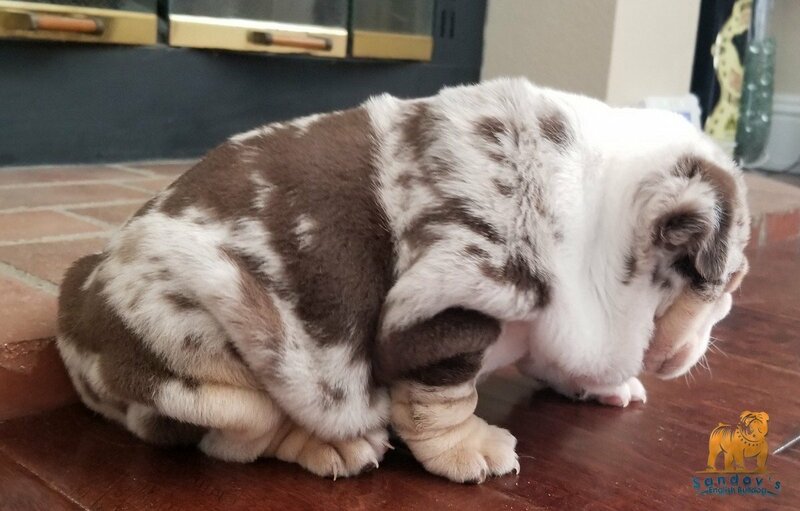 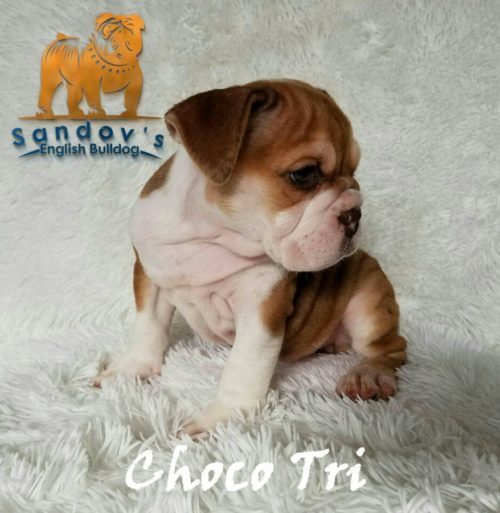 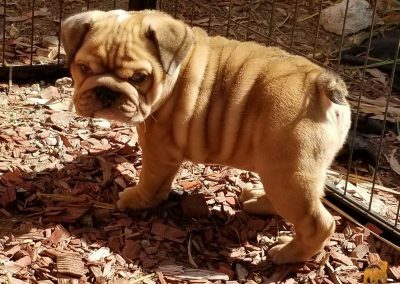 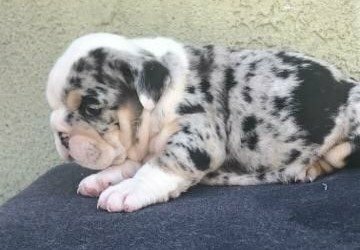 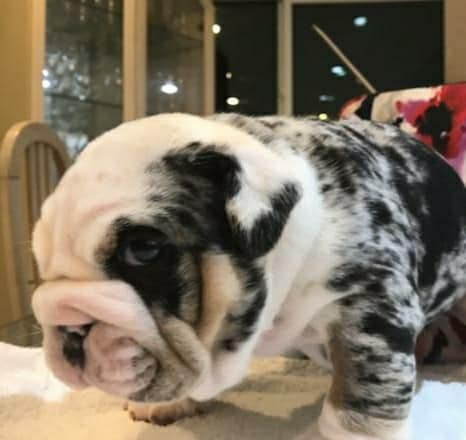 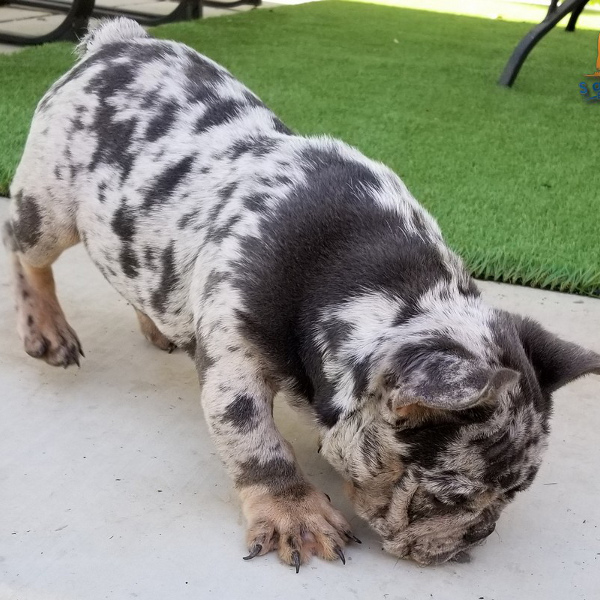 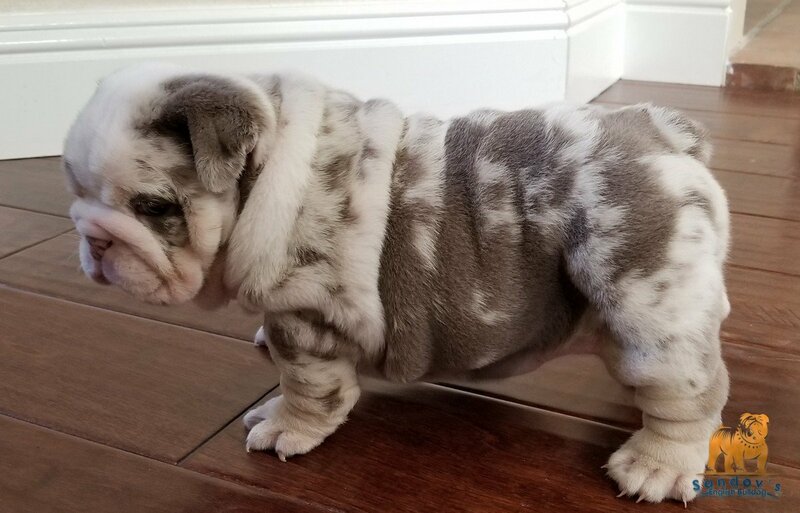 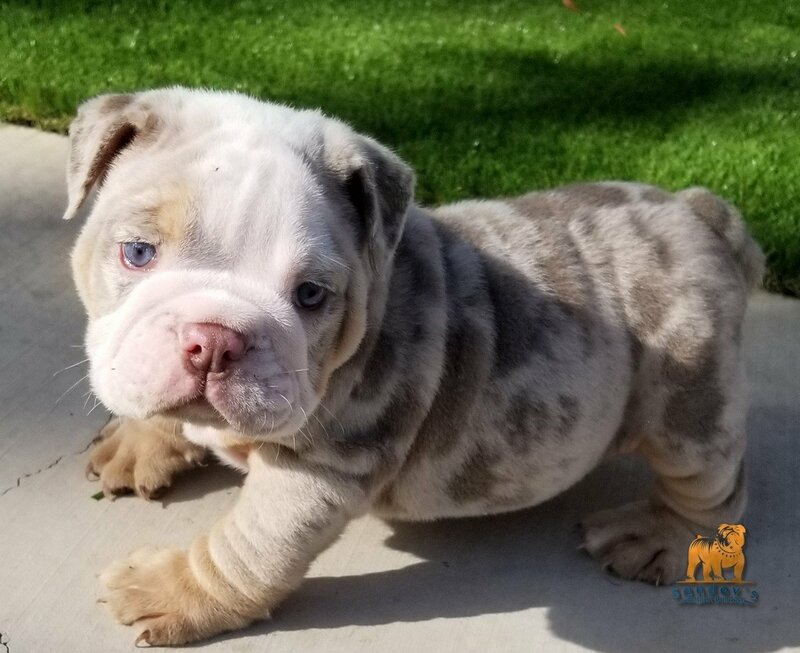 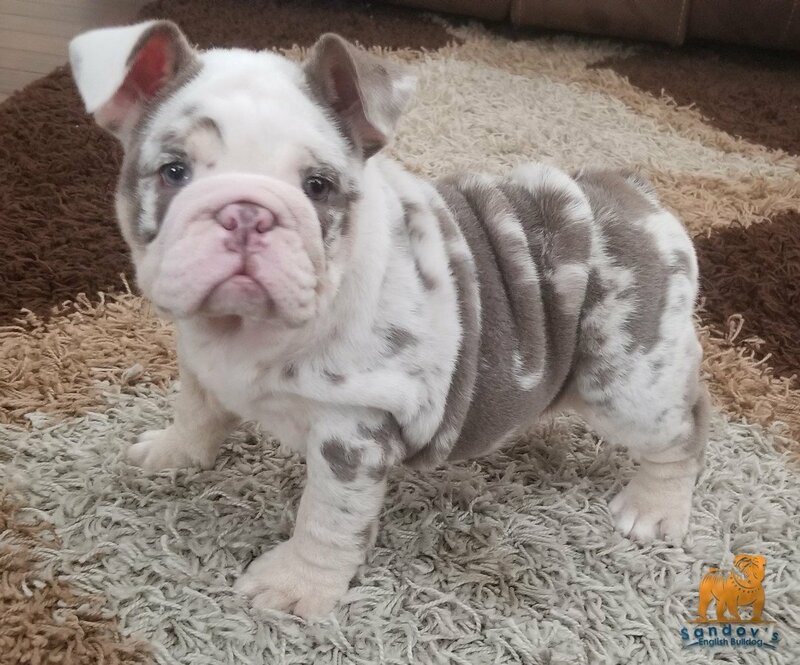 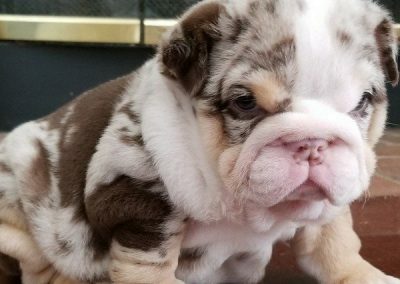 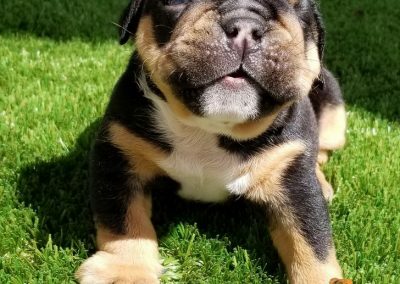 Exotics English Bulldogs Puppies are Instantly recognizable by their Rare Colors, wrinkled brow and ropes, hanging jowls and rolling gait, your Bulldog will also have a tough guy look and a teddy bear attitude. 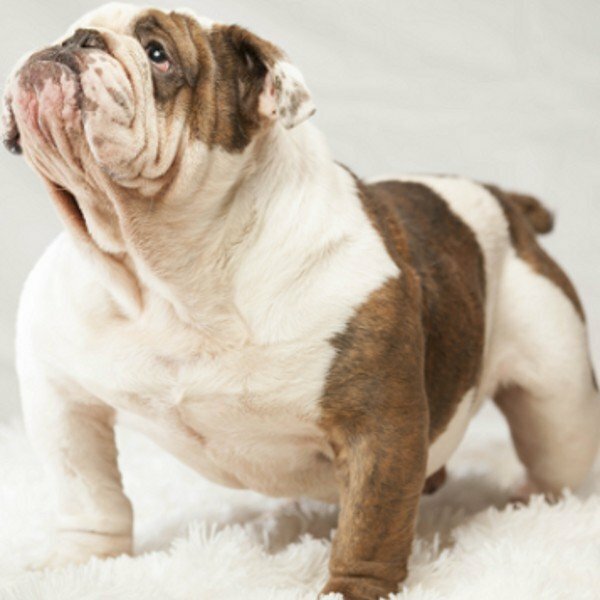 Their bodies are thick, muscled up, and extremely cuddly. 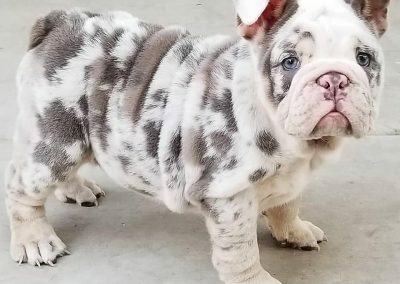 Look here your next beautiful and love puppy, you are not disappoint!